Situated on a peninsula surrounded by the sea on both sides, this resort boasts incredible rondovals, suites- in-the-round with 24-hour room service and personalized Butler Service; a full-service Red Lane Spa; fitness center; tennis pavilion; eight restaurants and five pools including a lagoon pool where guests can swim right up to their rooms. 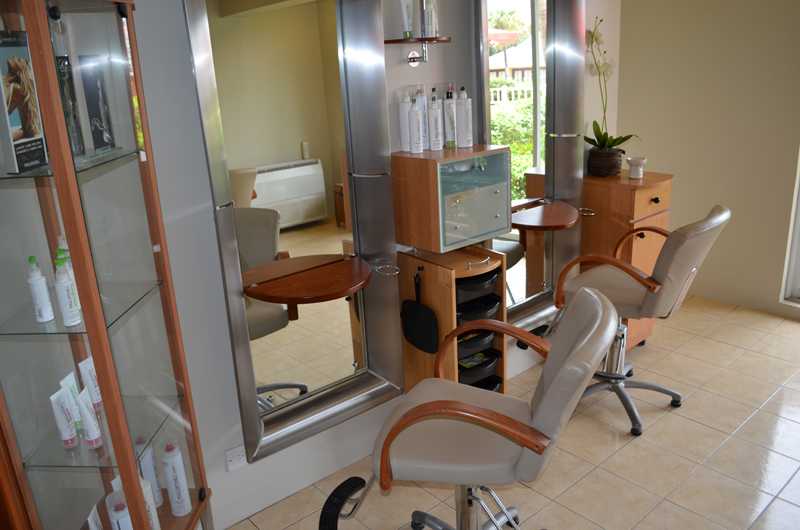 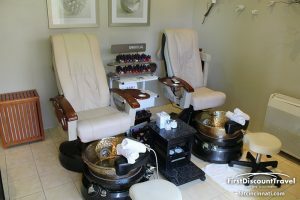 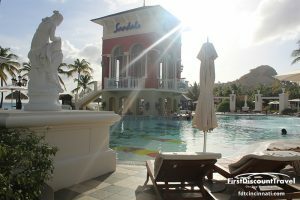 With Sandals exchange program, guests can also enjoy all the amenities and services of the nearby Sandals Regency and Sandals Halcyon including complimentary golf greens fees (transfers included). 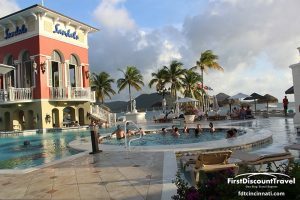 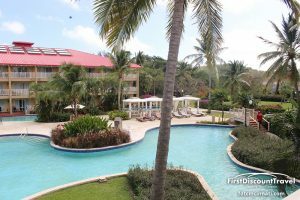 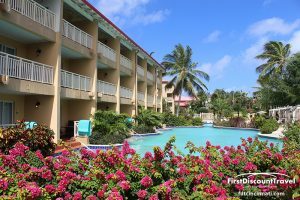 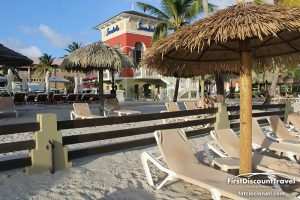 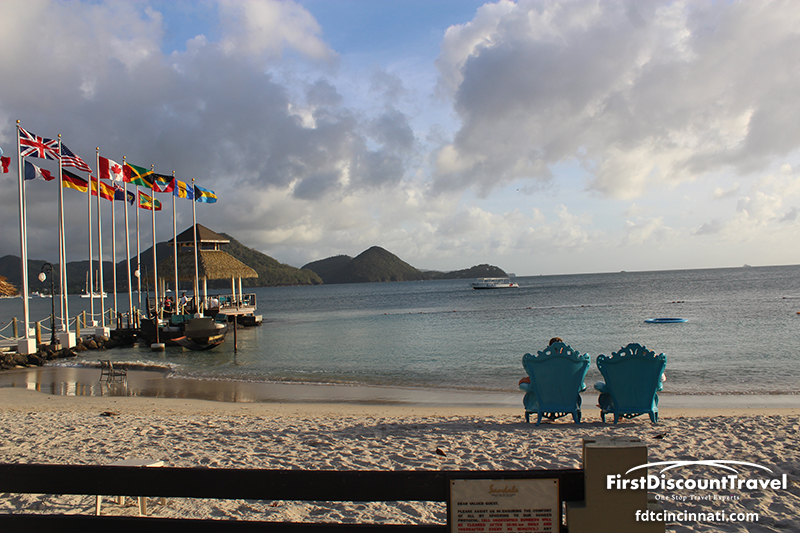 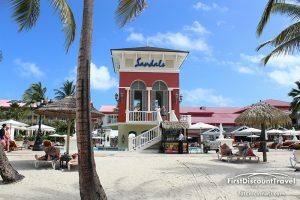 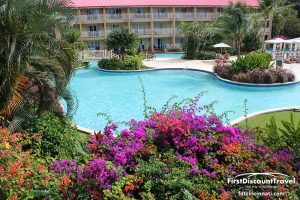 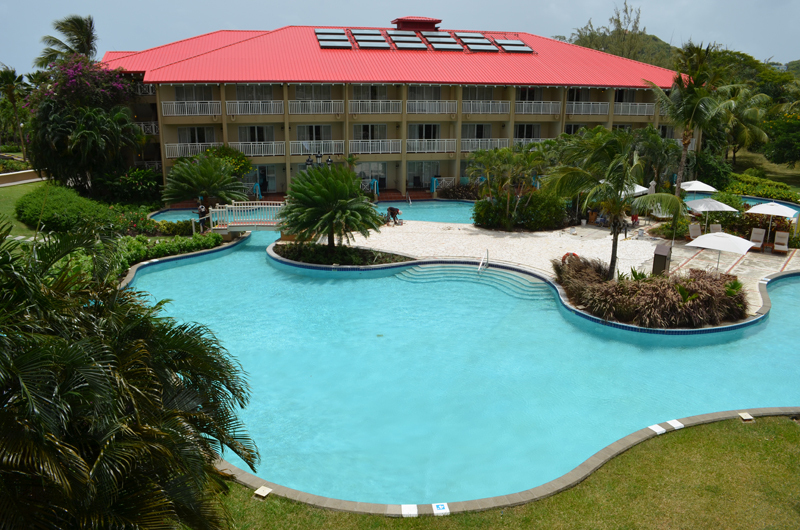 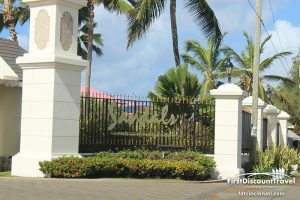 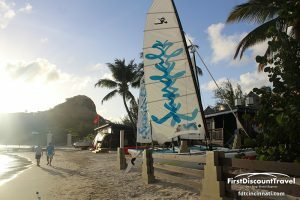 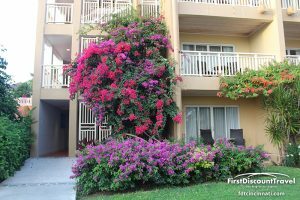 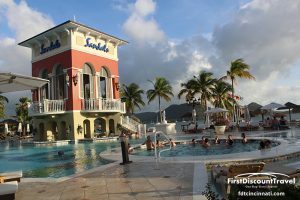 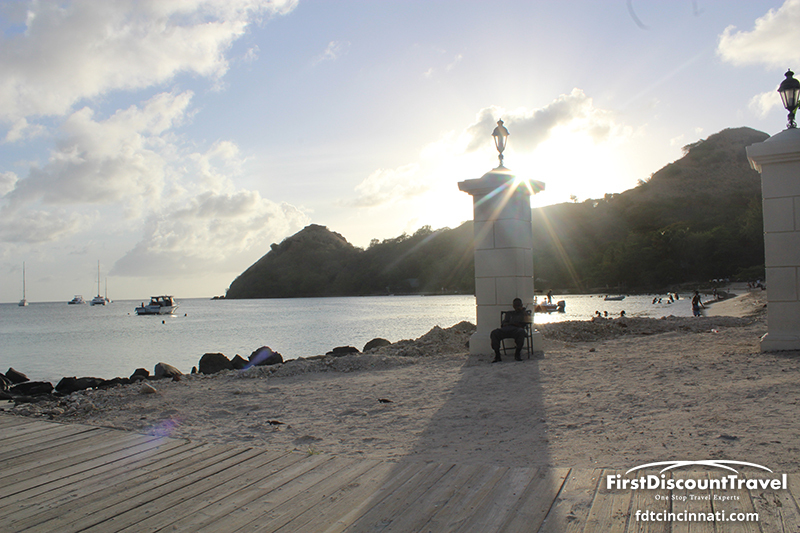 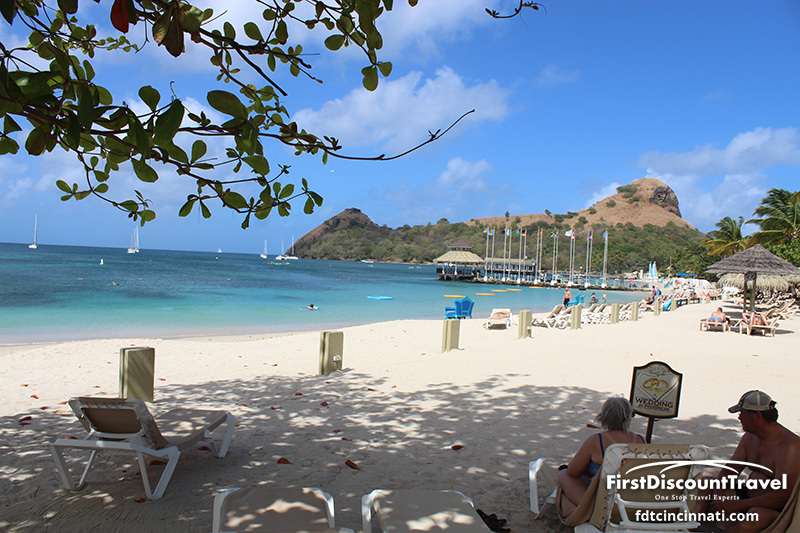 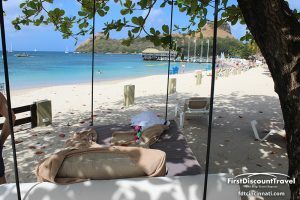 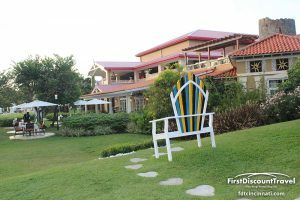 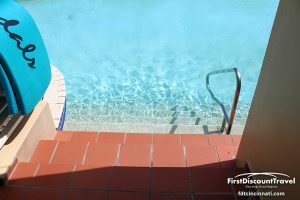 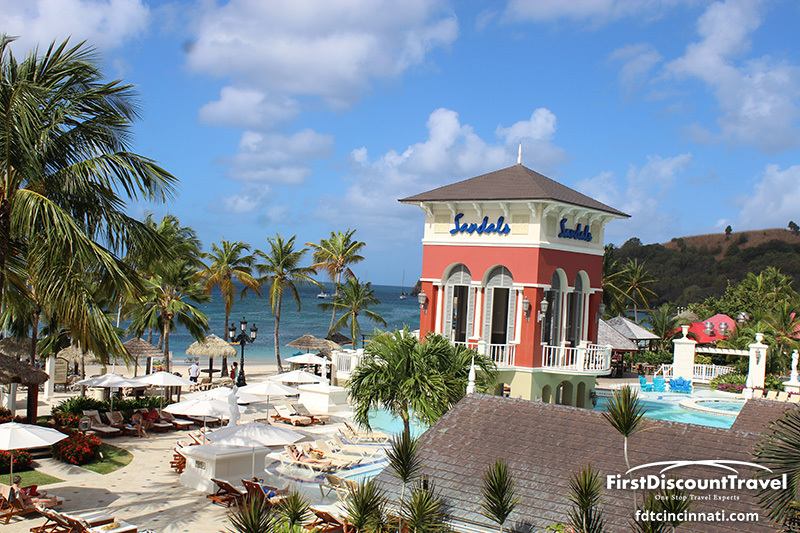 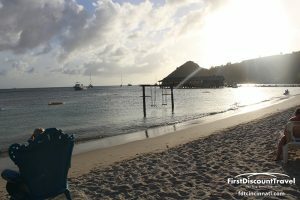 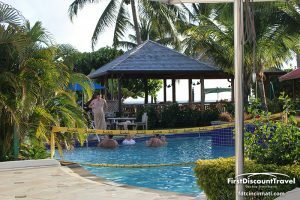 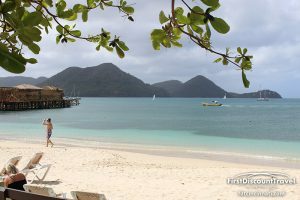 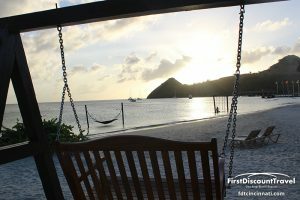 Sandals Grande St Lucian is located on the best beach on St Lucia near the town of Rodney Bay, 90 minutes from the Hewanorra Airport. 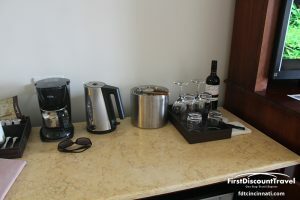 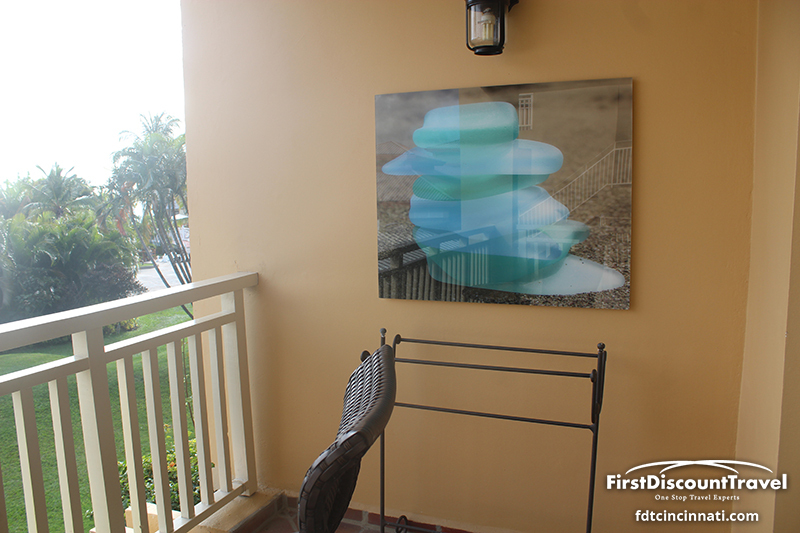 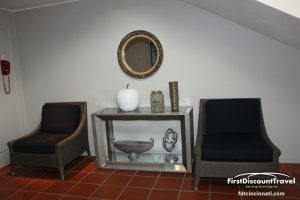 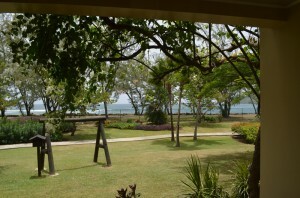 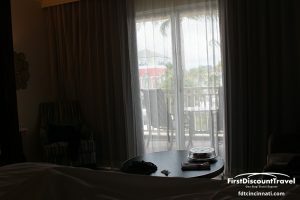 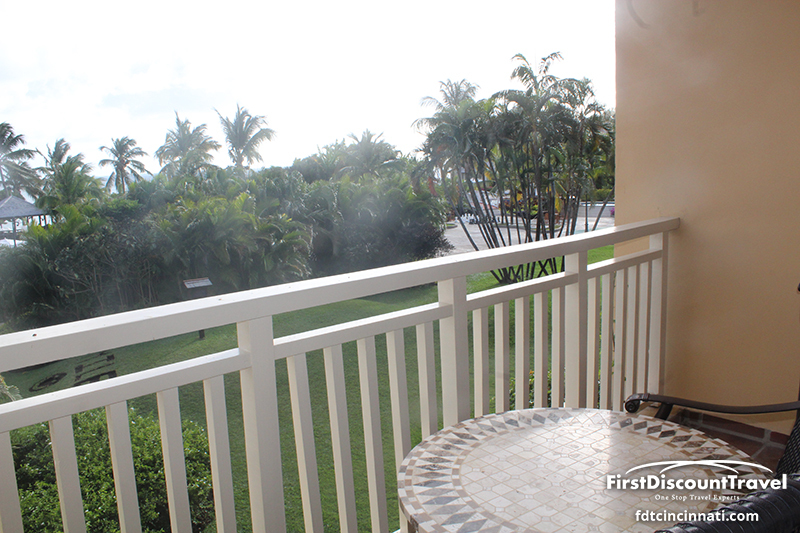 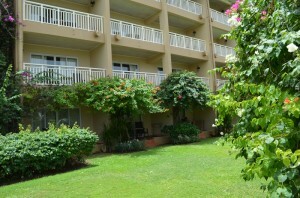 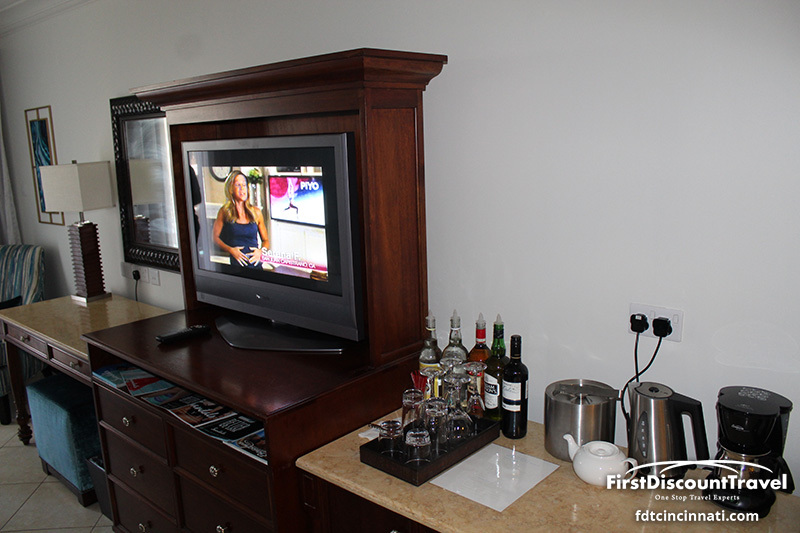 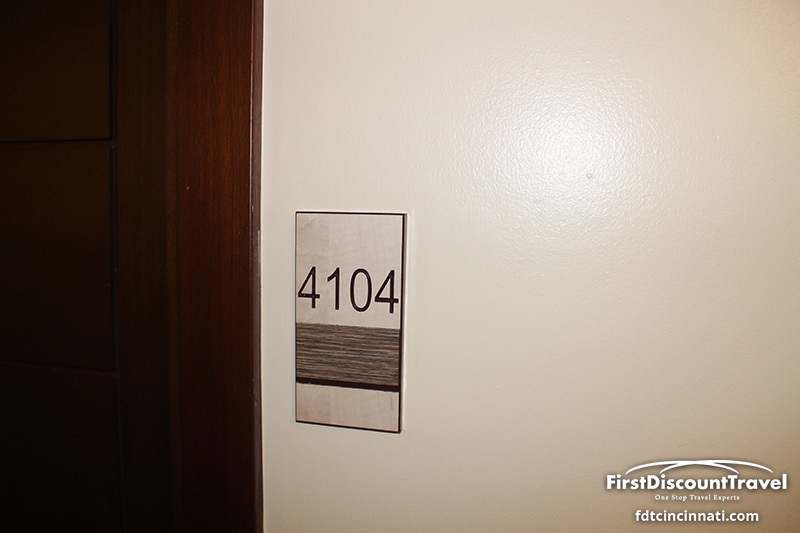 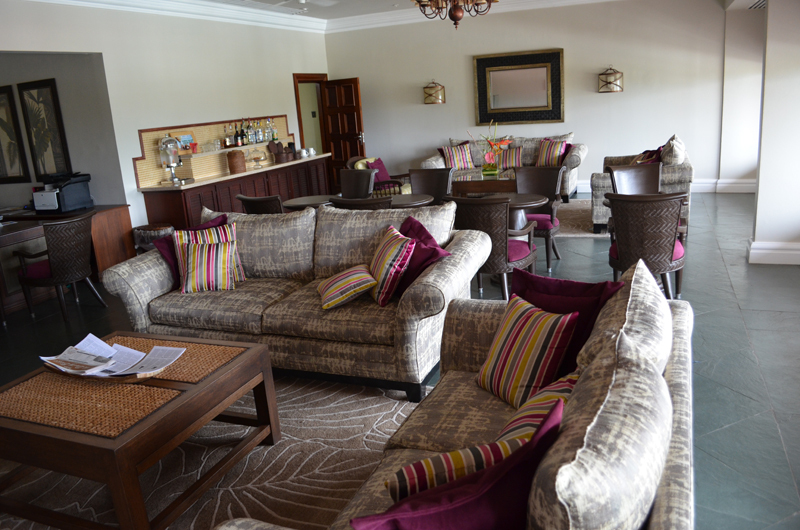 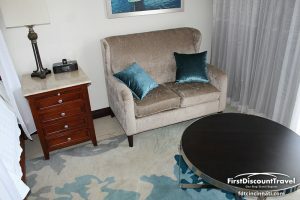 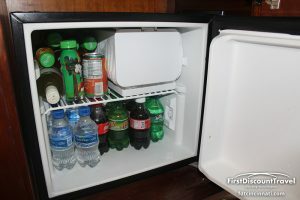 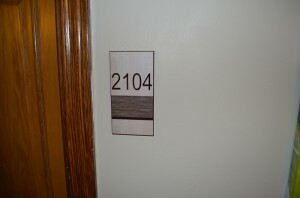 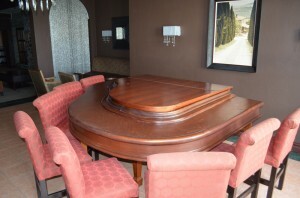 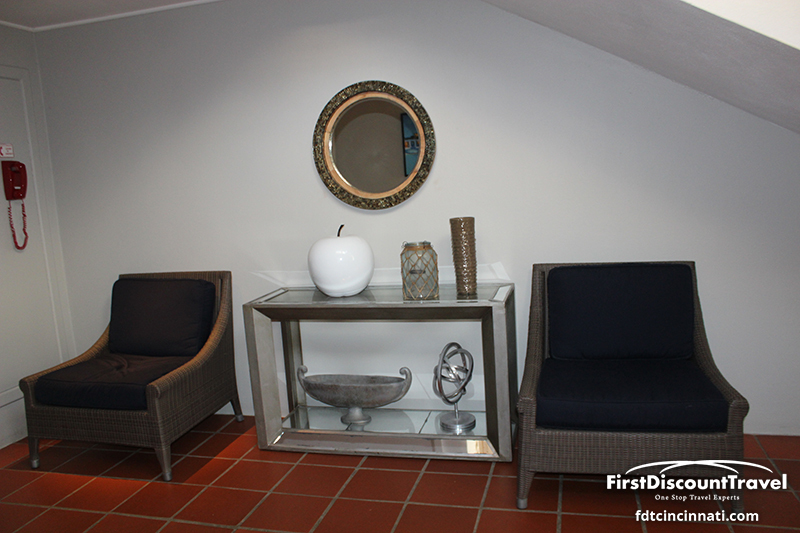 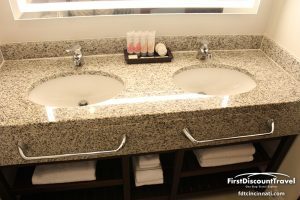 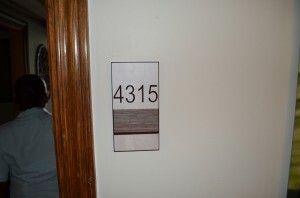 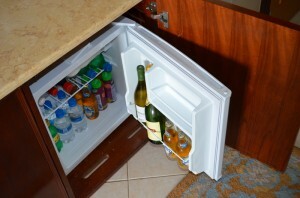 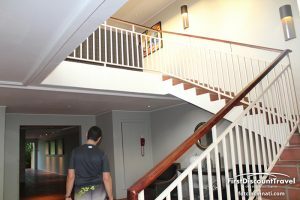 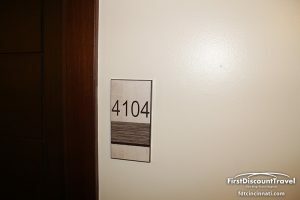 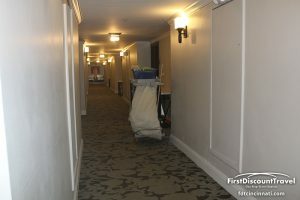 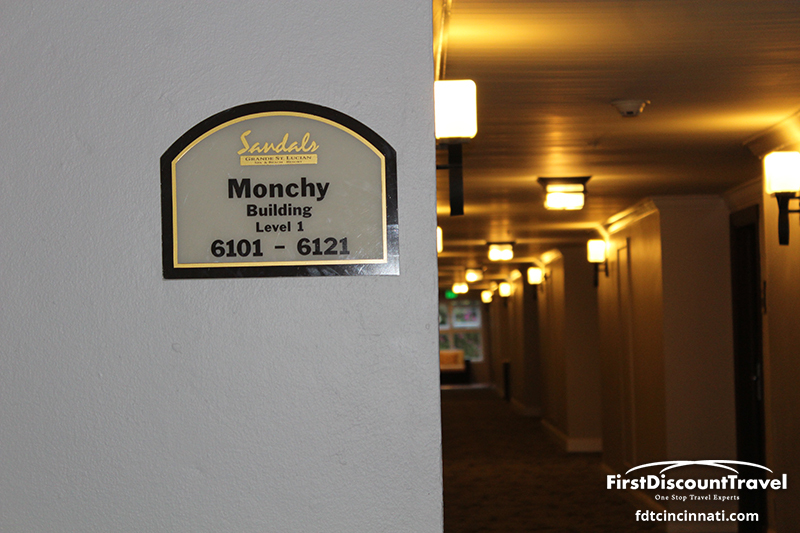 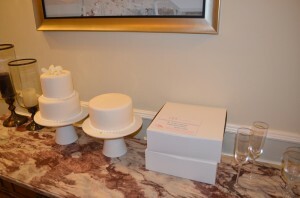 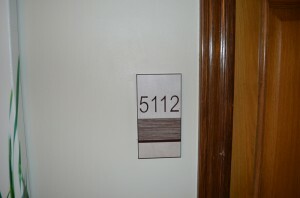 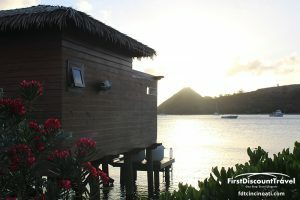 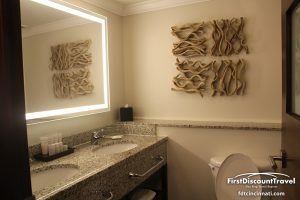 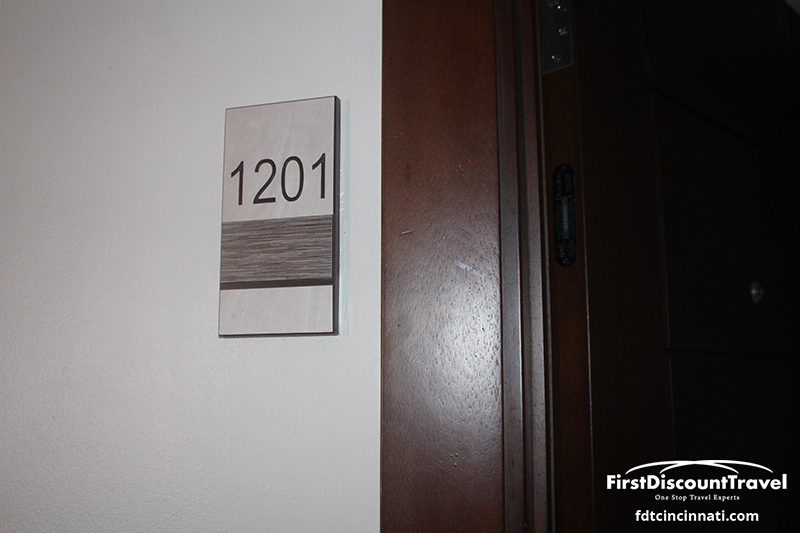 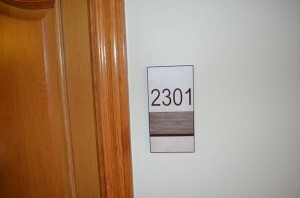 There are 304 room and suites and the views are amazing!! 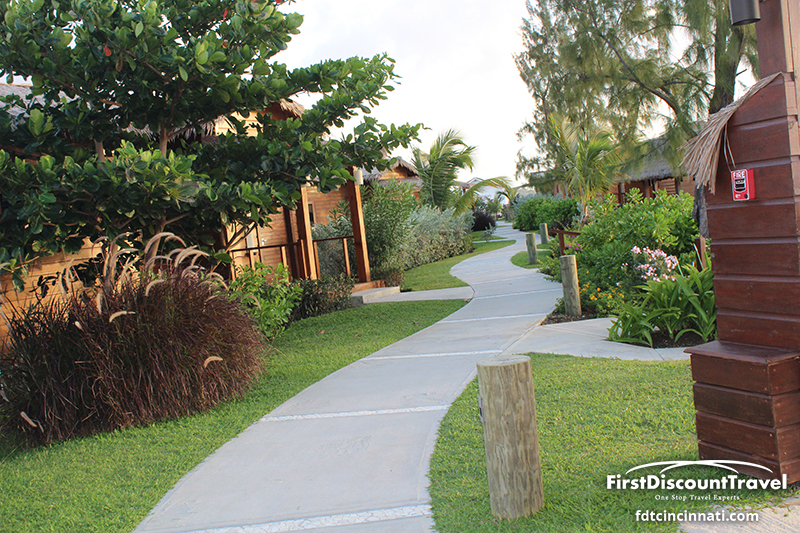 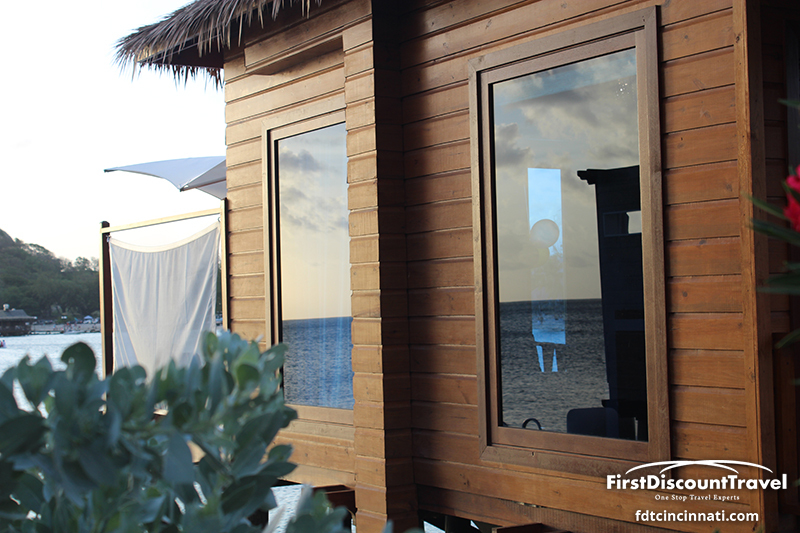 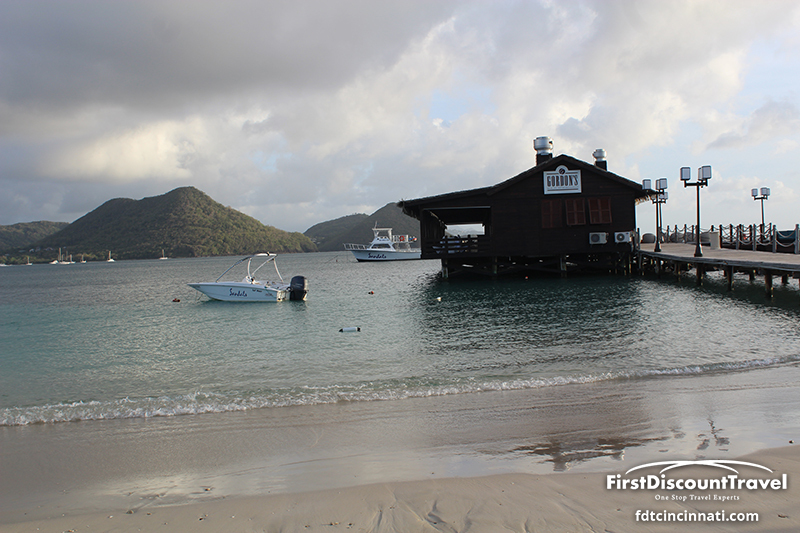 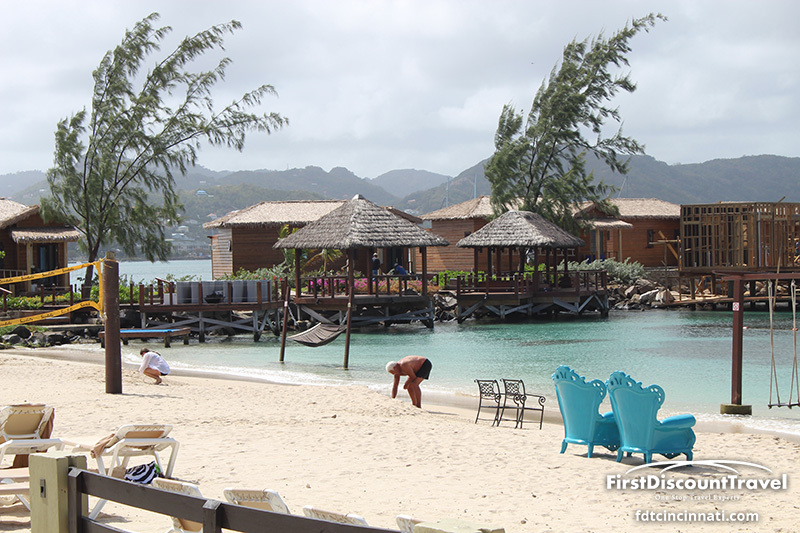 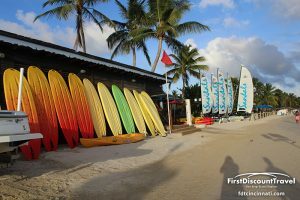 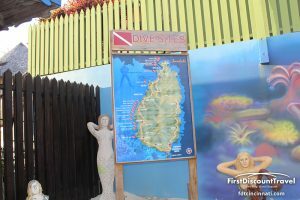 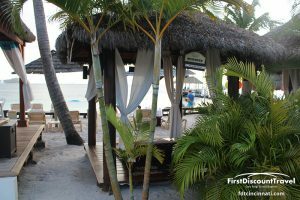 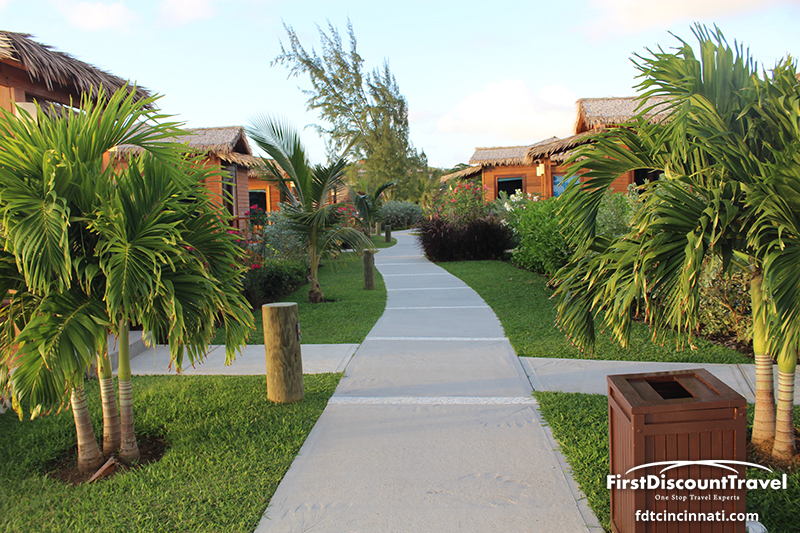 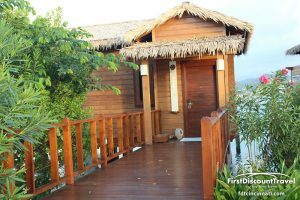 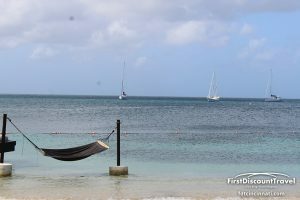 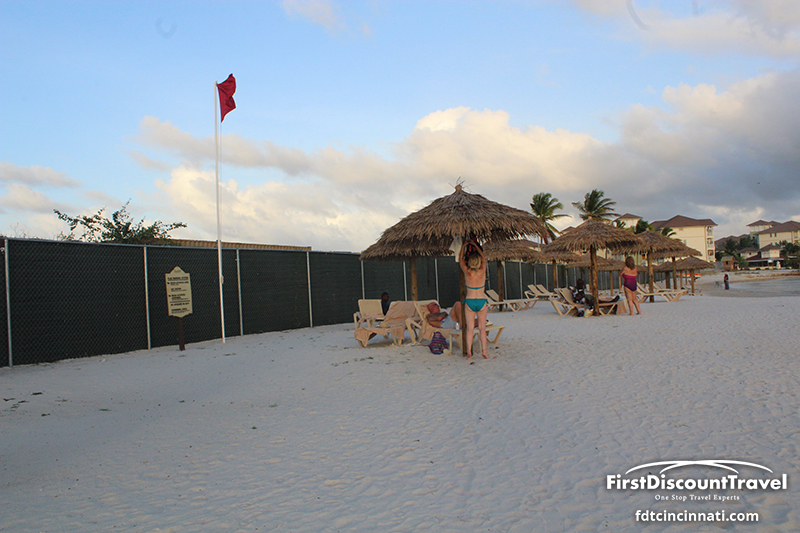 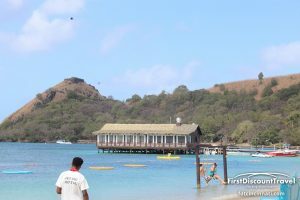 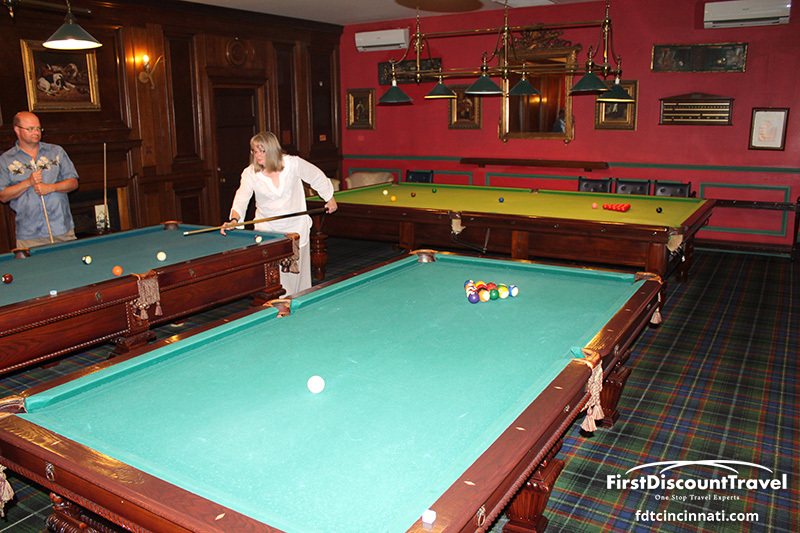 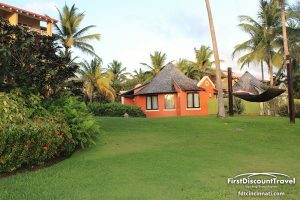 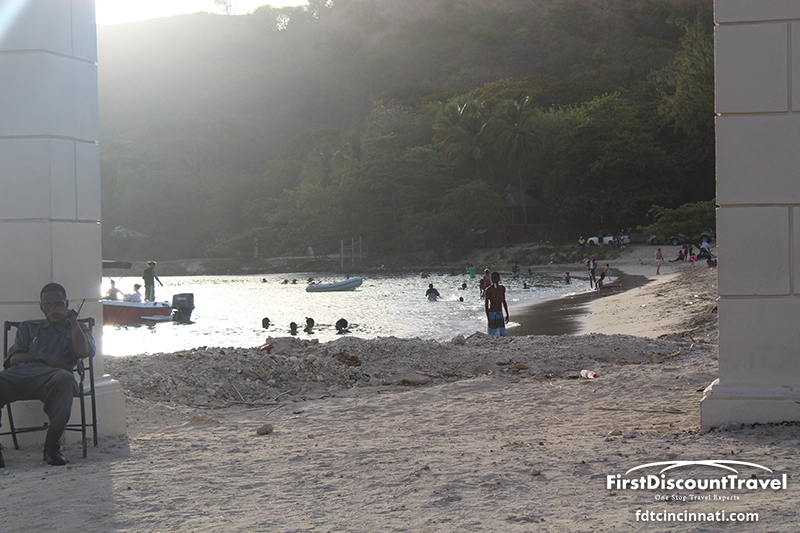 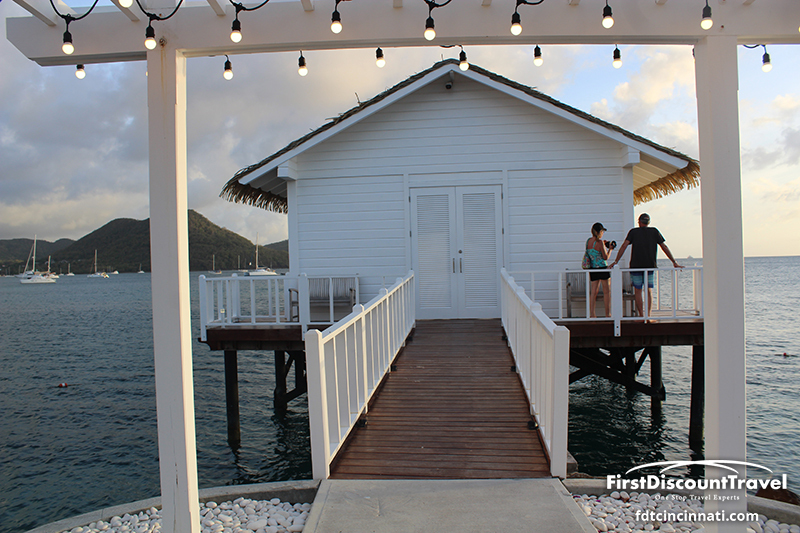 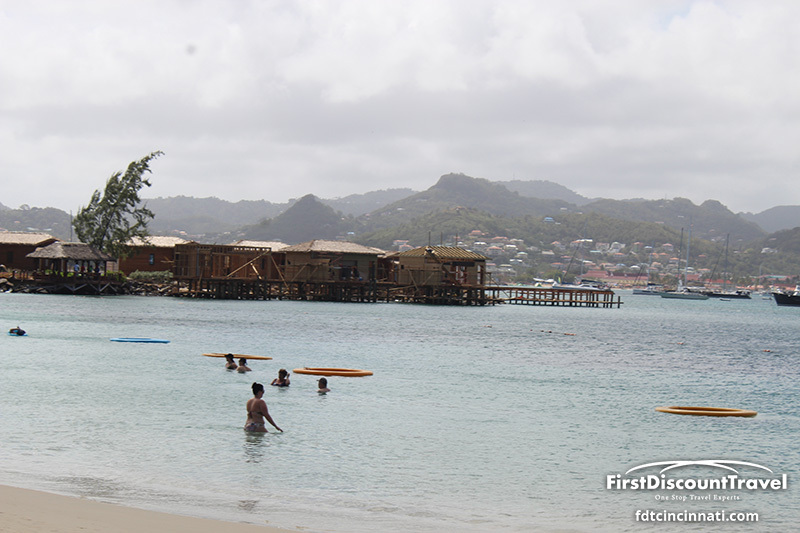 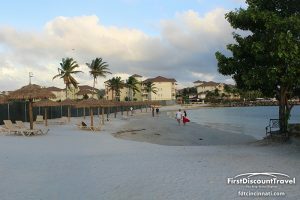 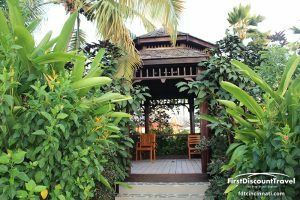 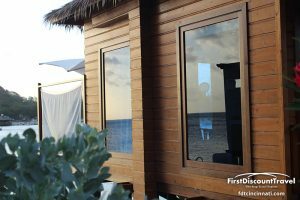 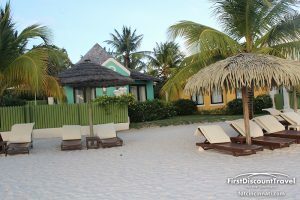 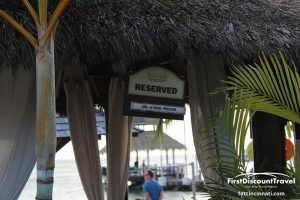 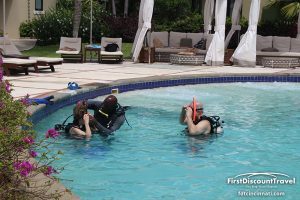 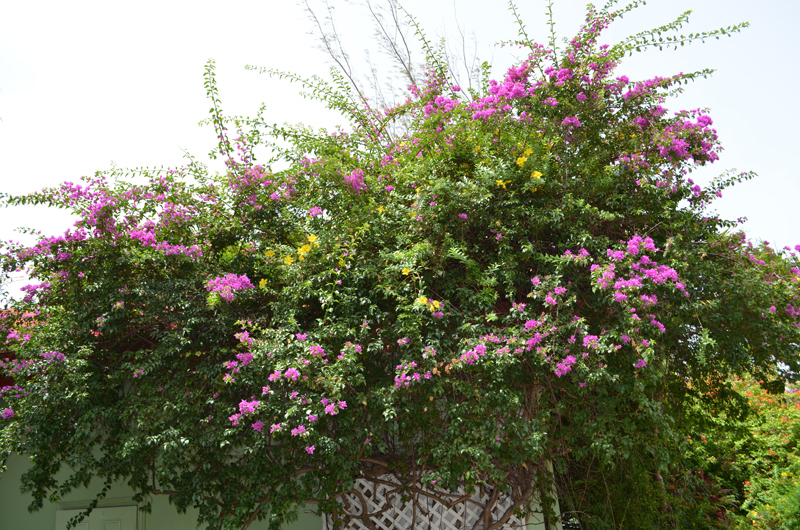 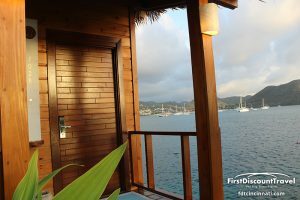 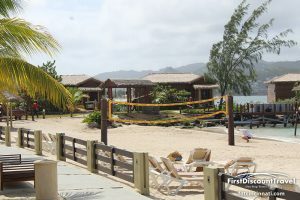 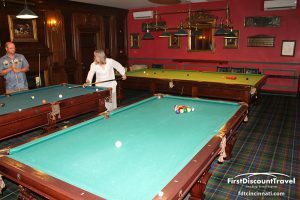 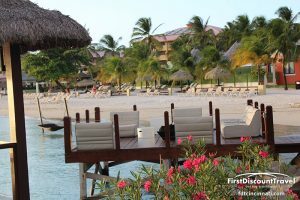 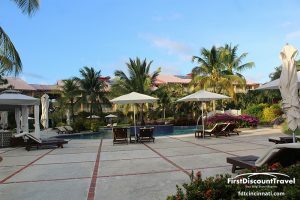 The resort is located on an isthmus with one side facing the Atlantic Ocean and the other facing the white sand and turquois water of the Caribbean Sea (this is the more desired view). 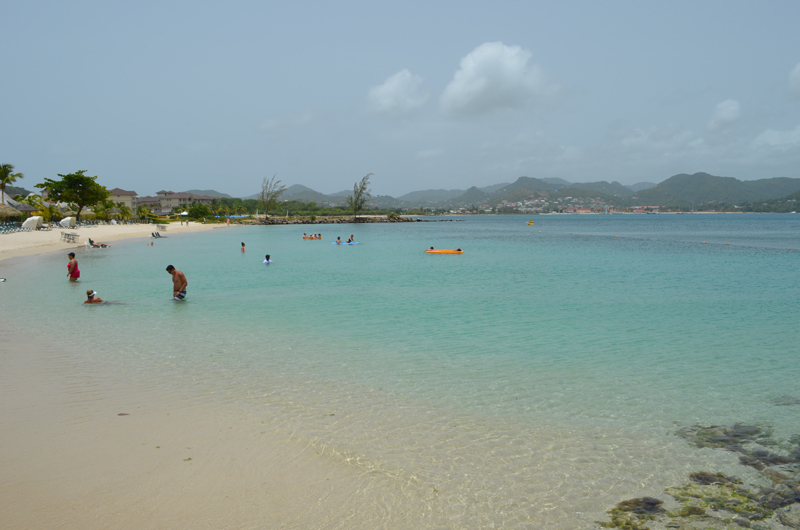 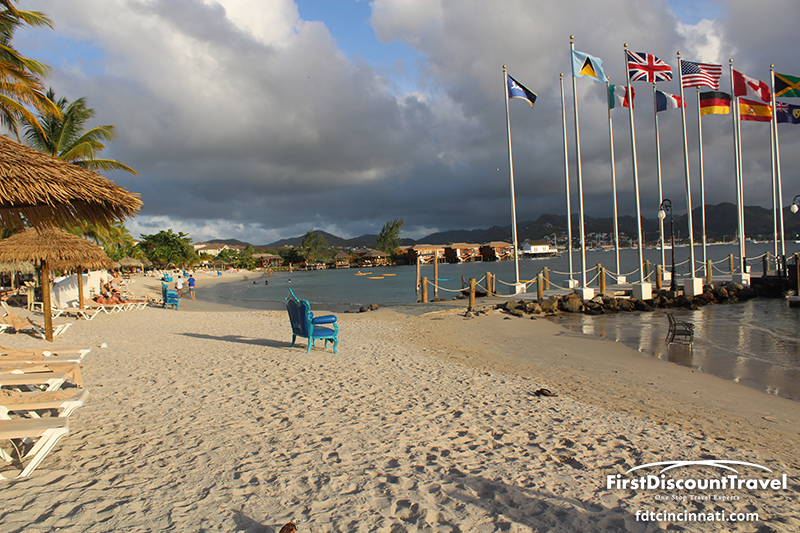 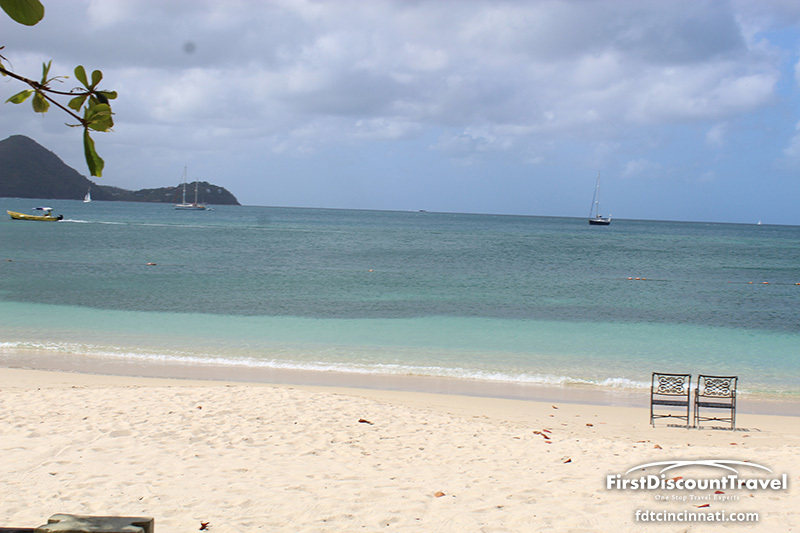 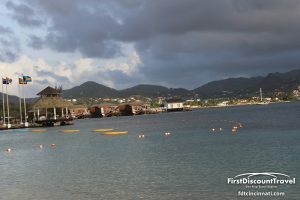 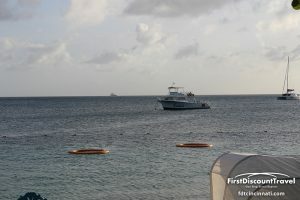 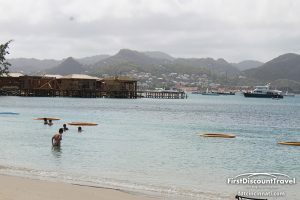 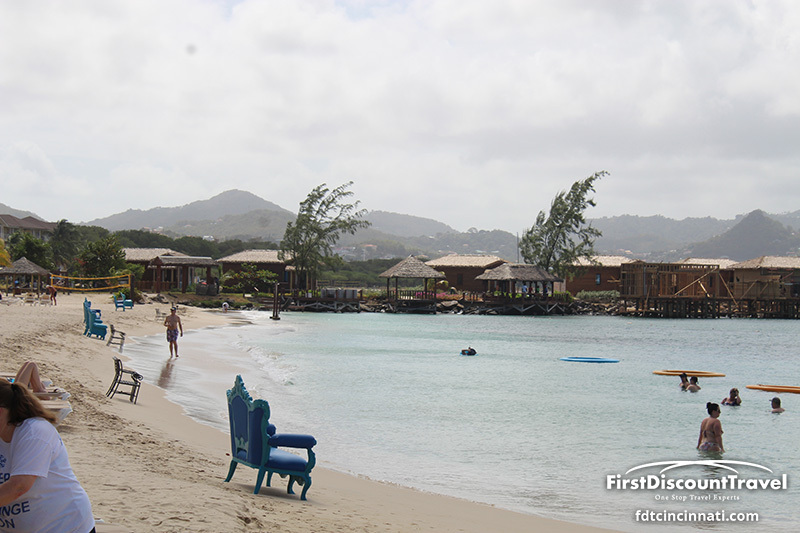 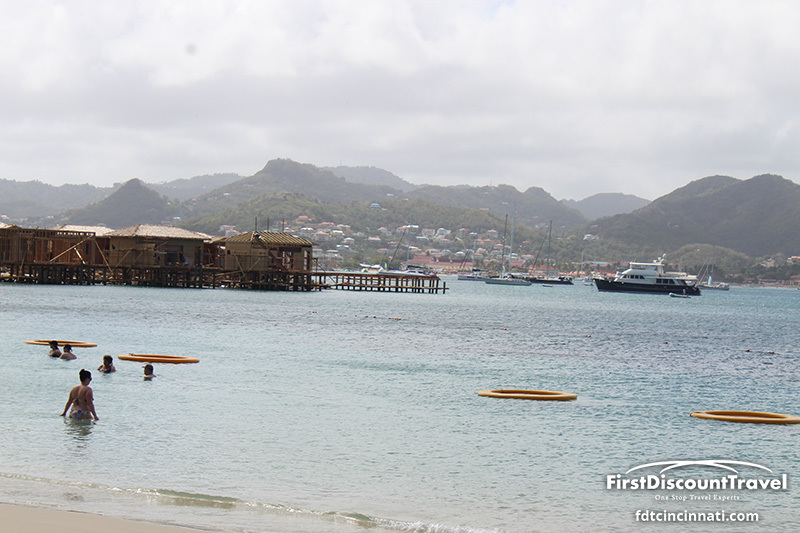 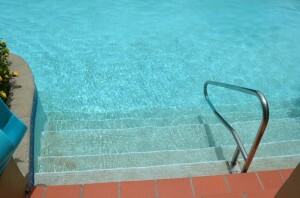 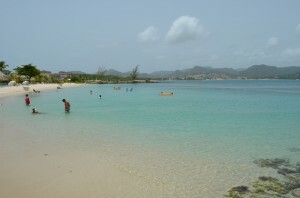 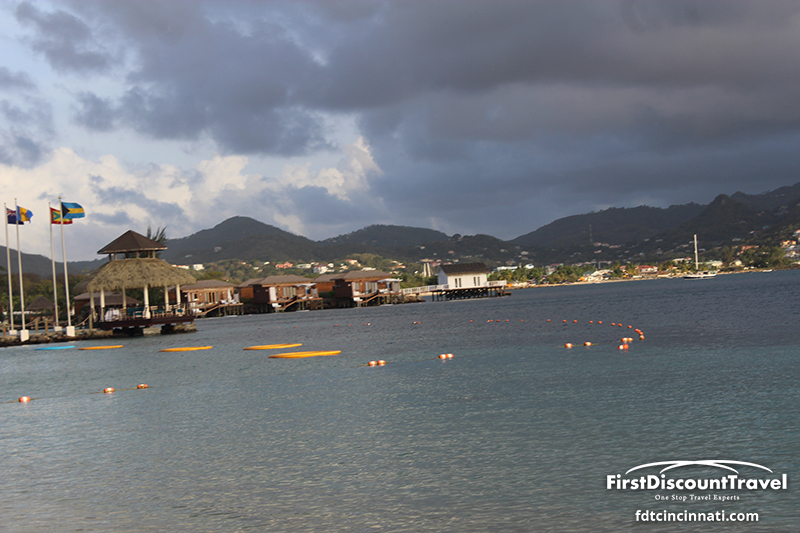 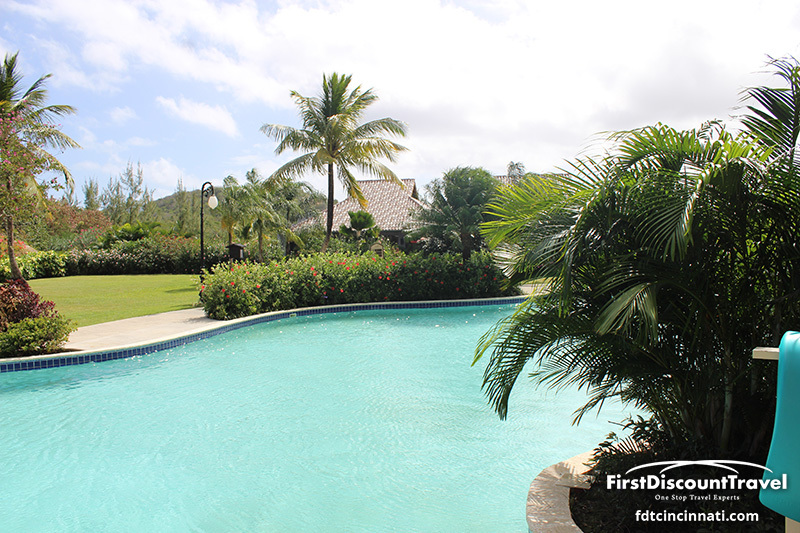 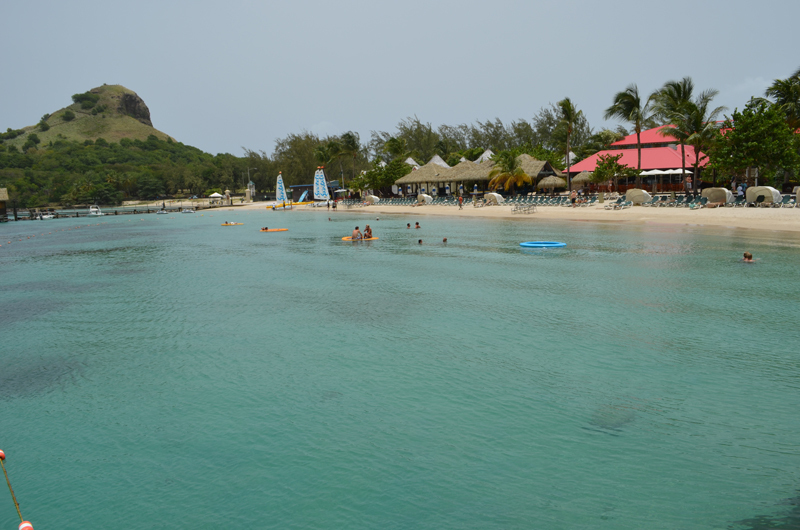 There are two huge pools and Pigeon Island is in the horizon. 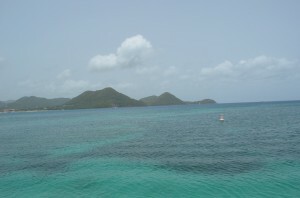 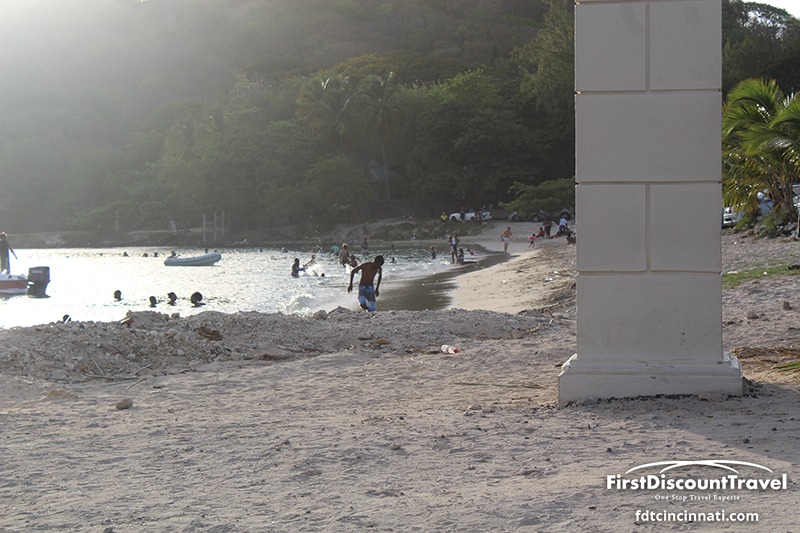 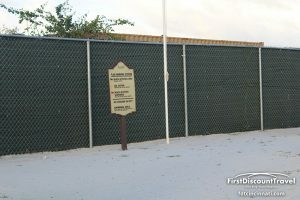 Hiking is available with the adjacent Fort Rodney Park. 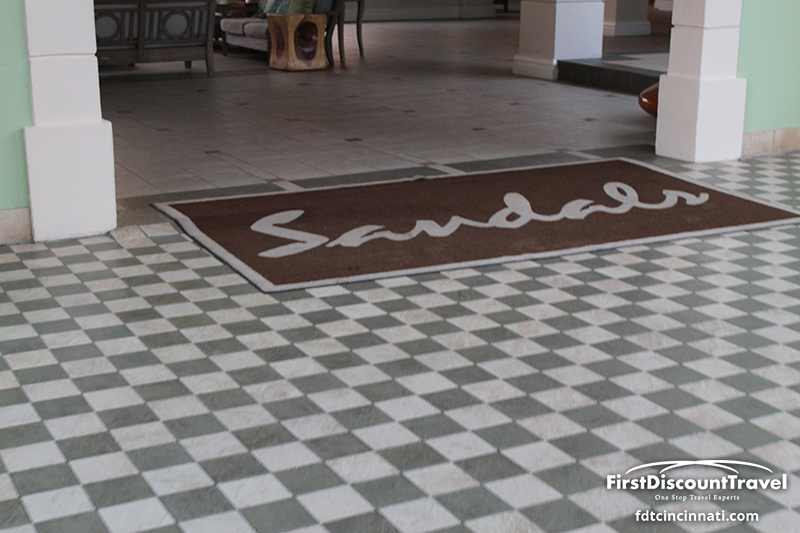 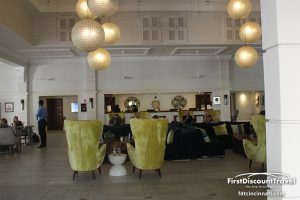 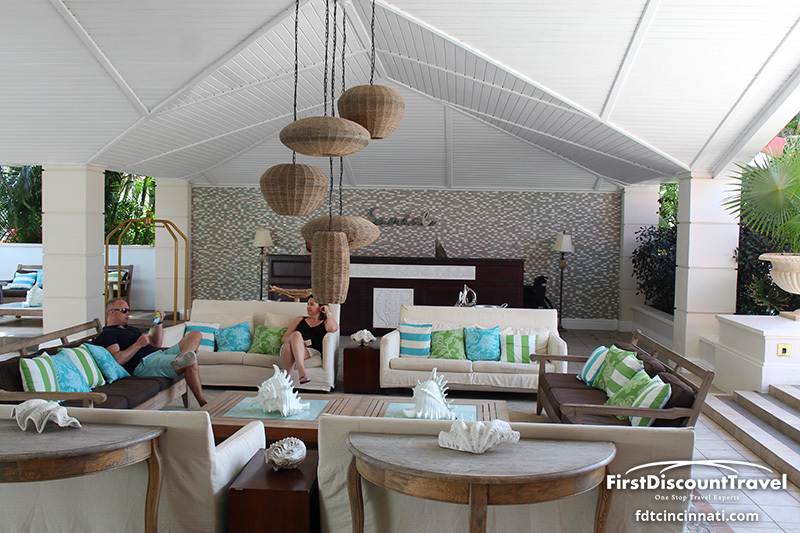 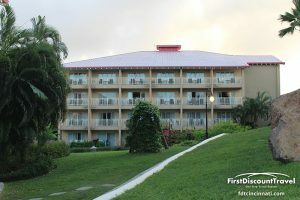 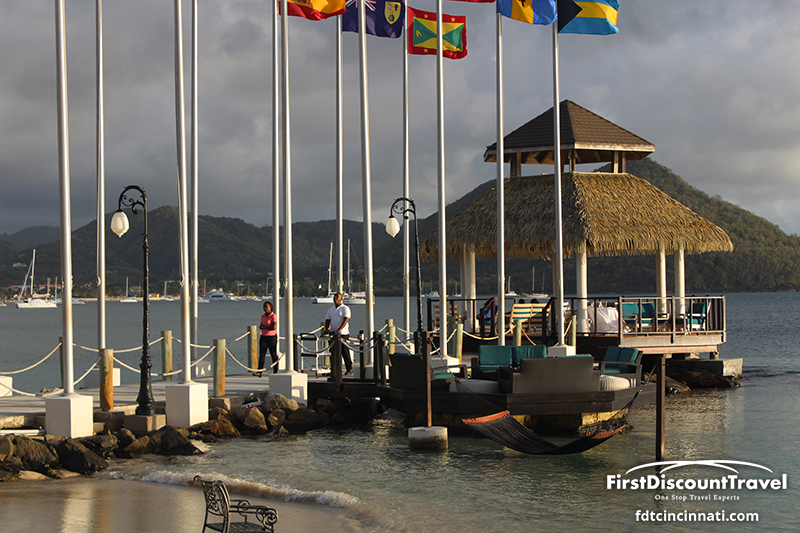 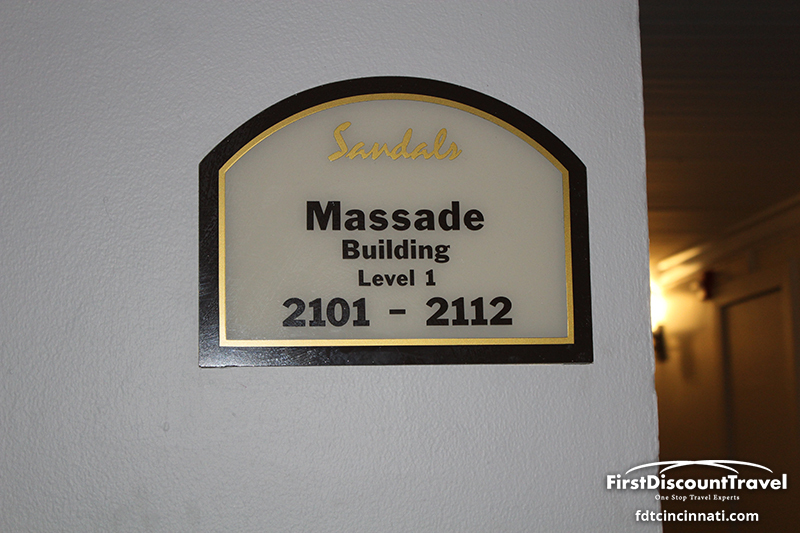 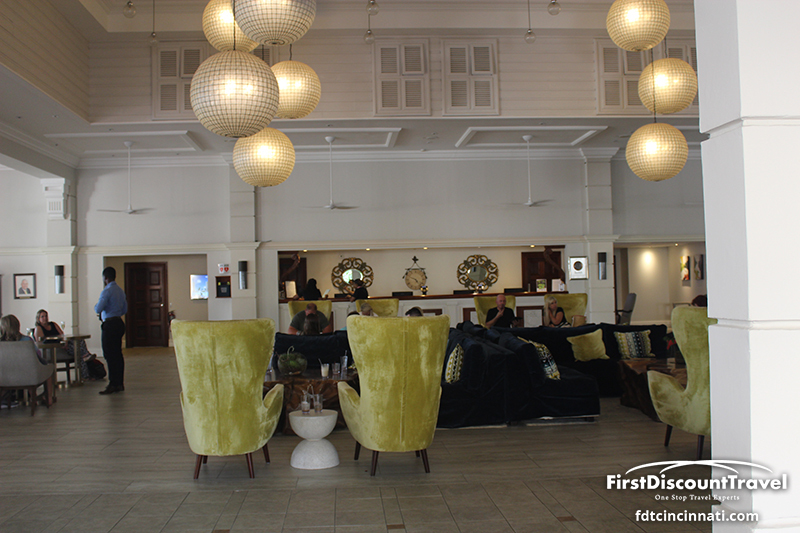 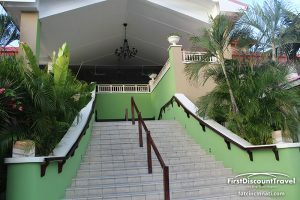 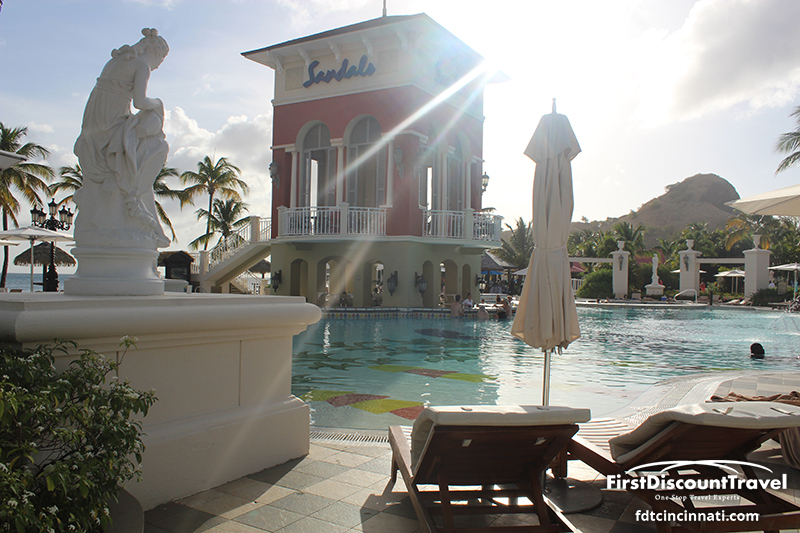 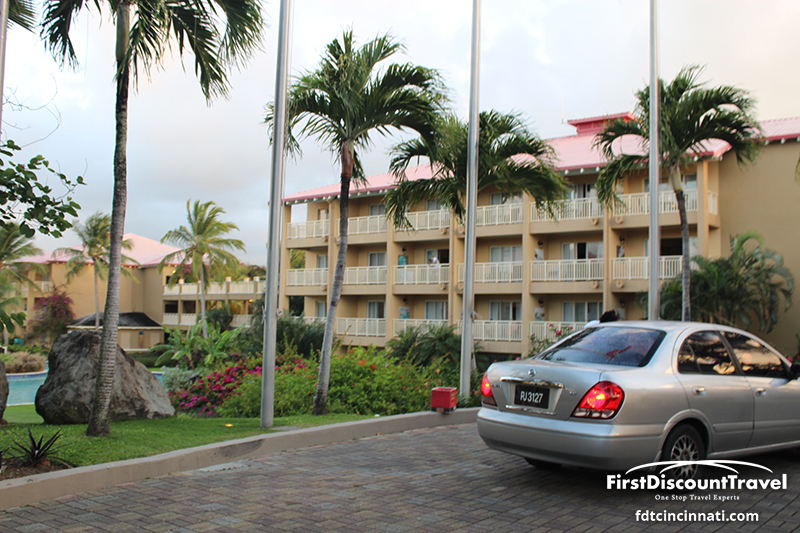 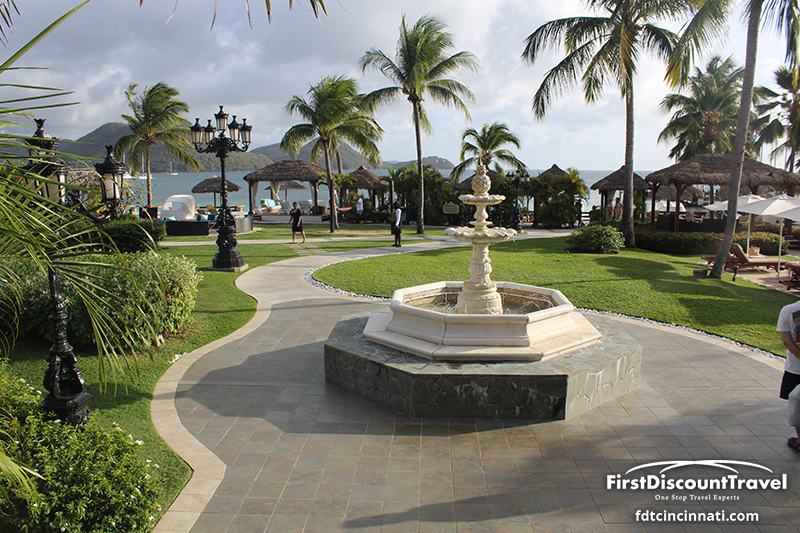 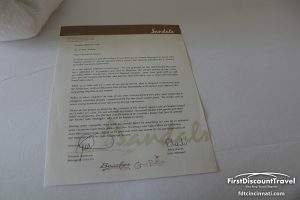 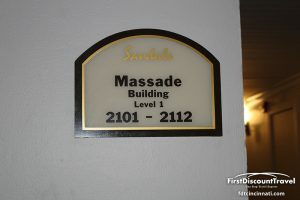 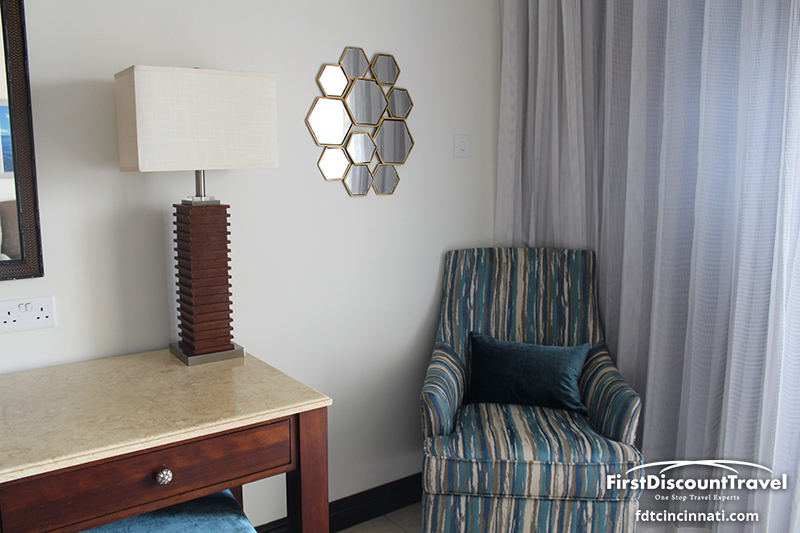 Sandals Grande St Lucian is more modern than the other two in St Lucia as it was built in 1999. 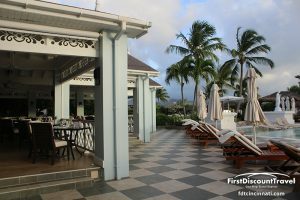 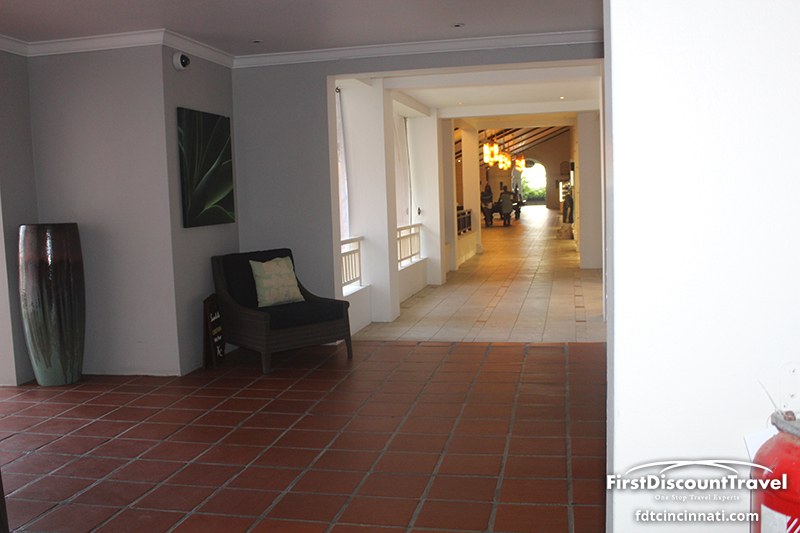 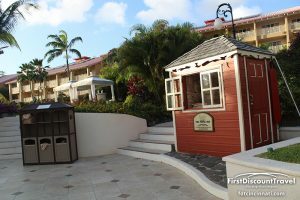 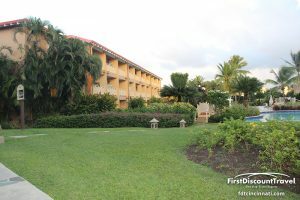 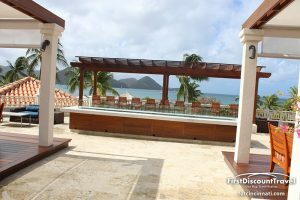 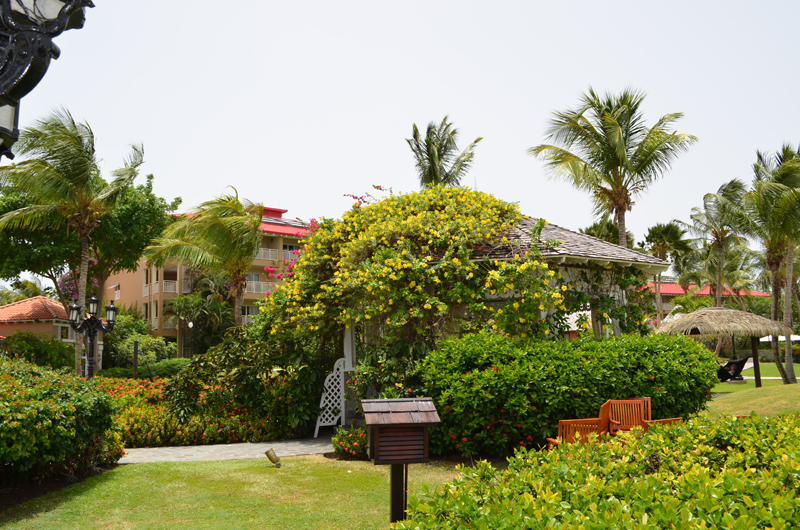 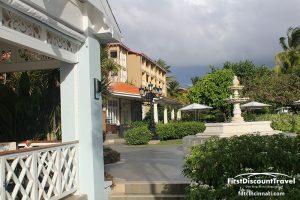 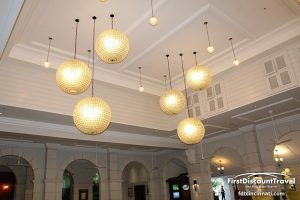 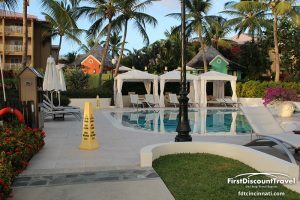 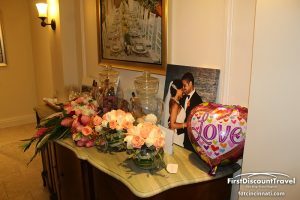 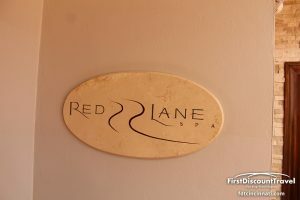 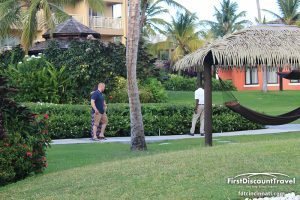 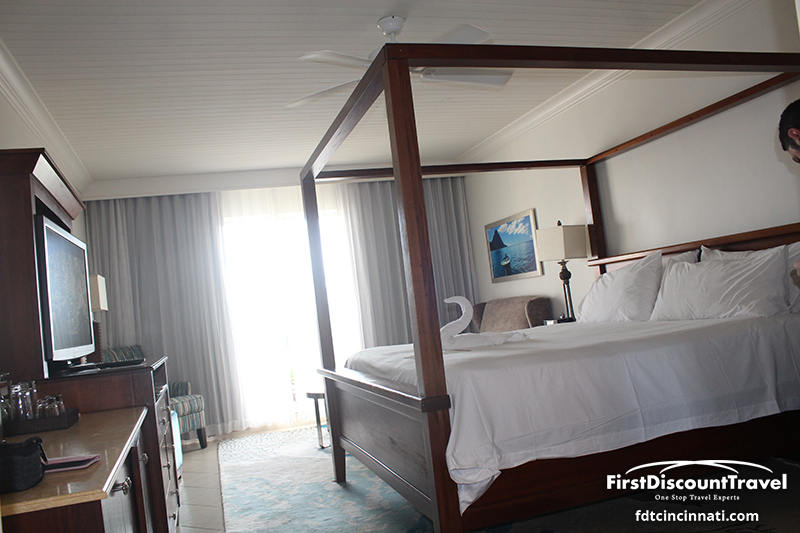 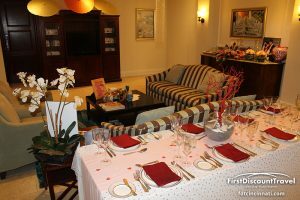 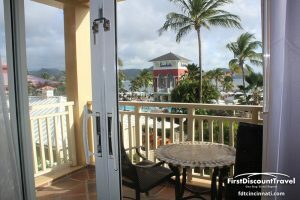 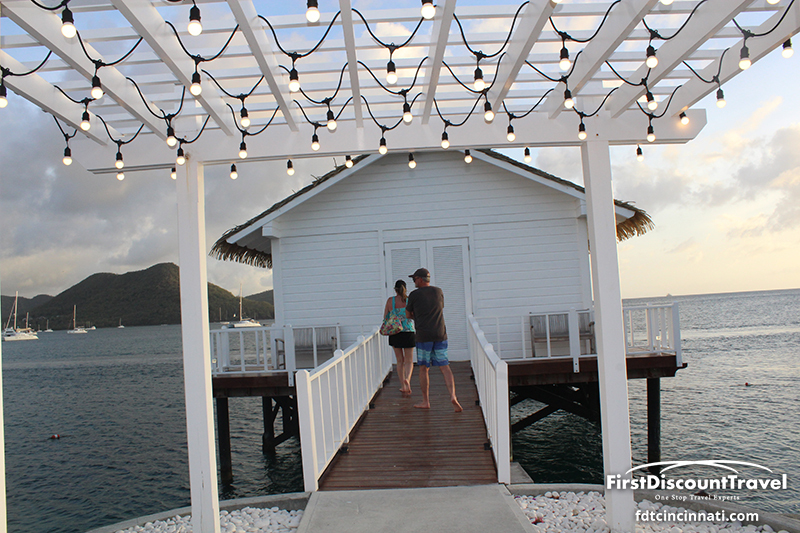 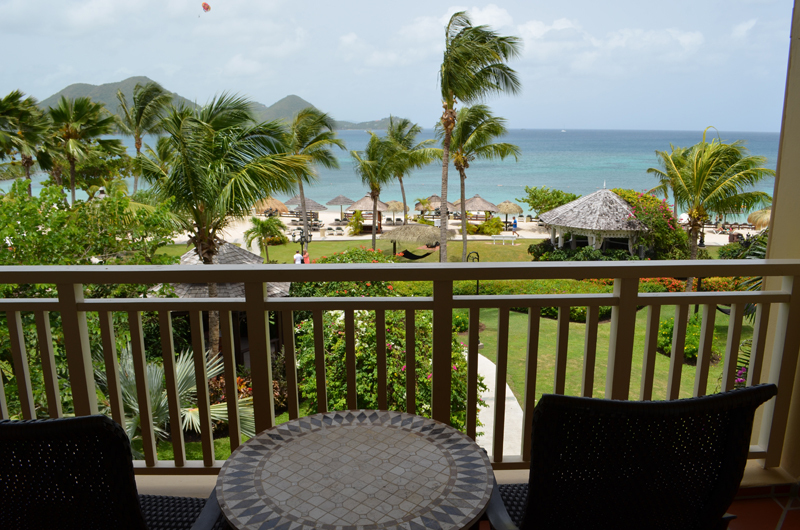 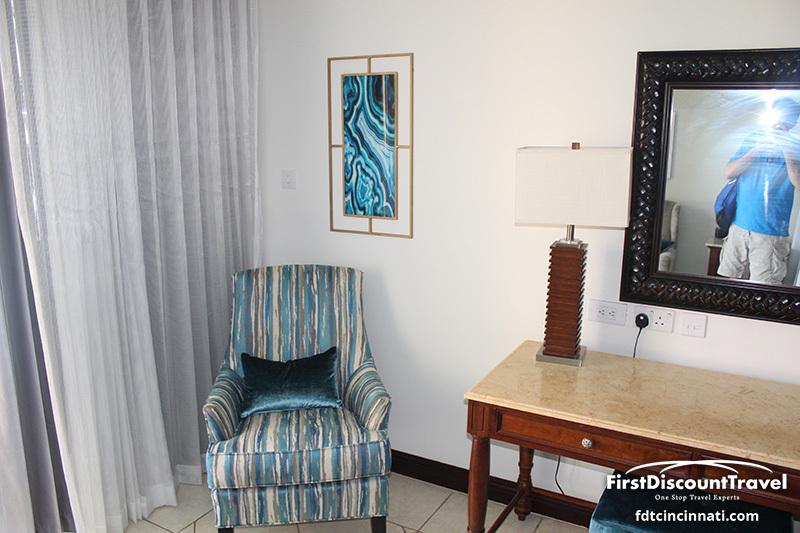 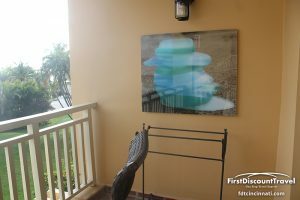 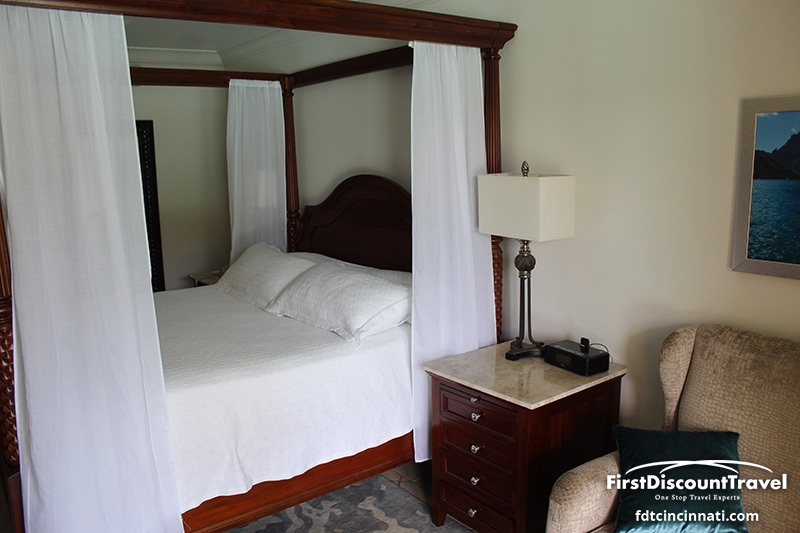 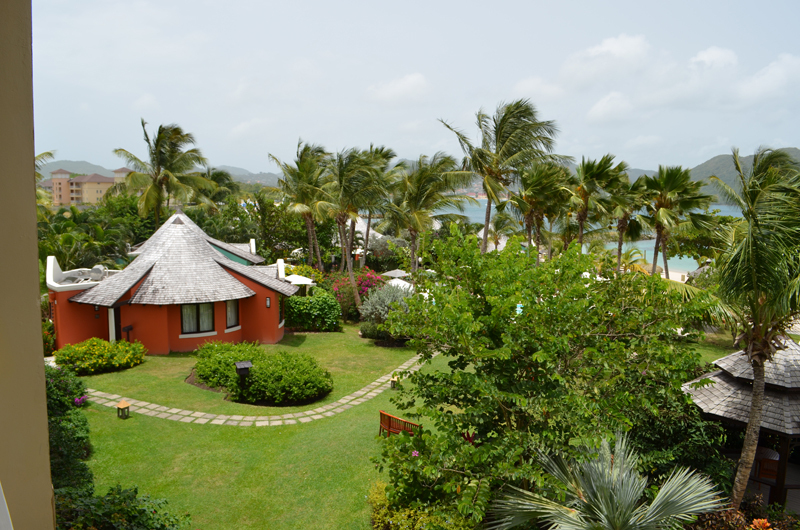 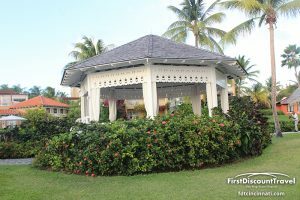 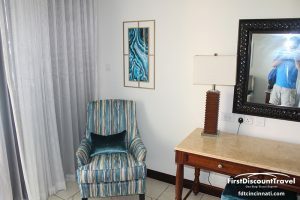 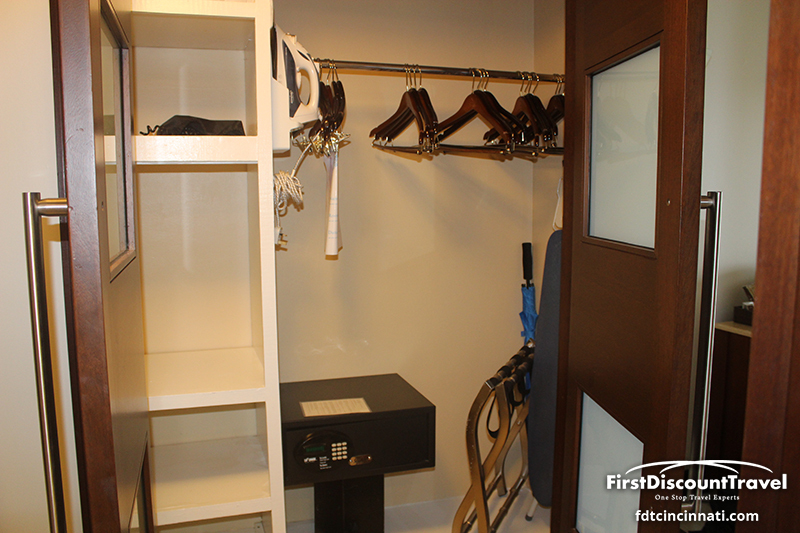 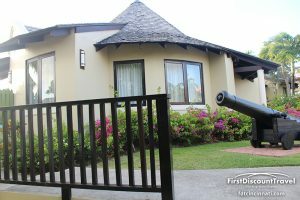 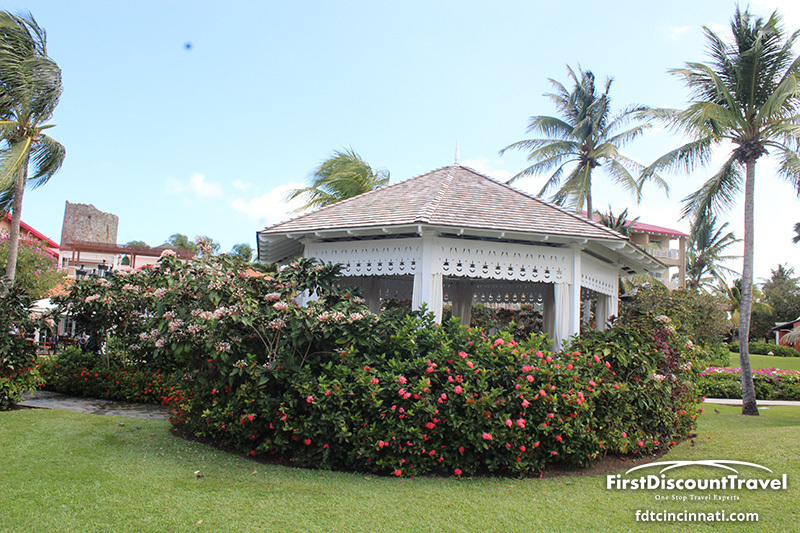 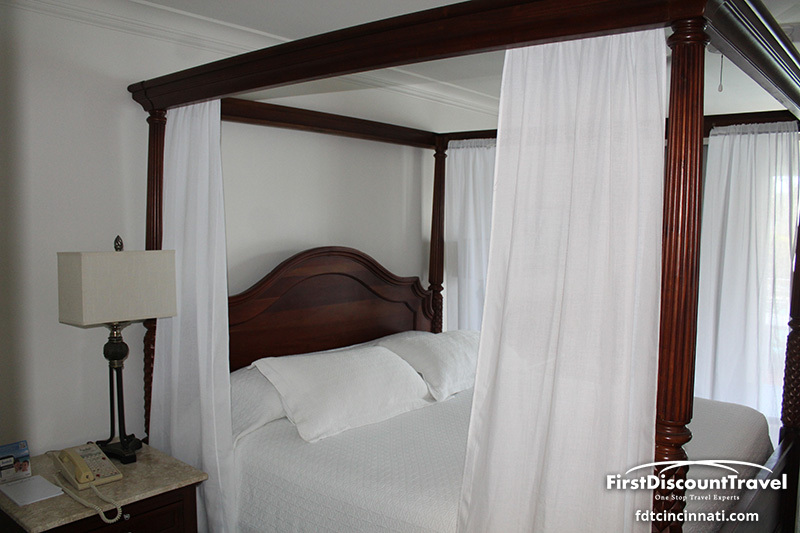 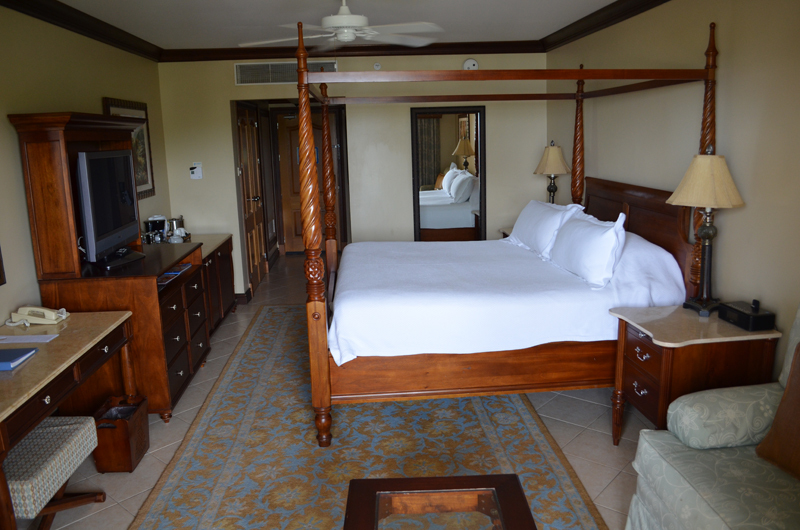 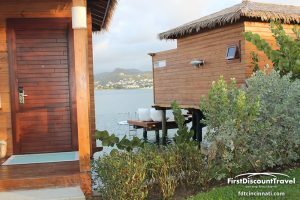 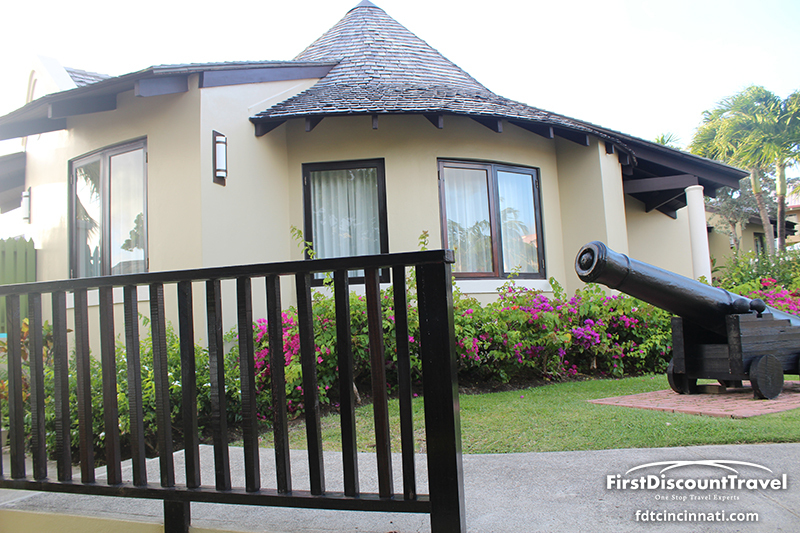 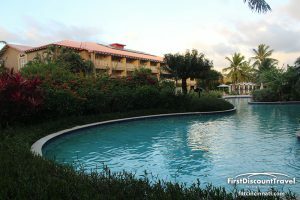 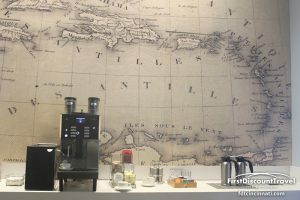 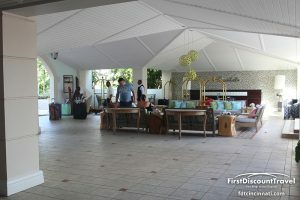 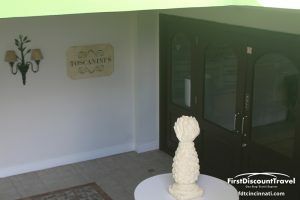 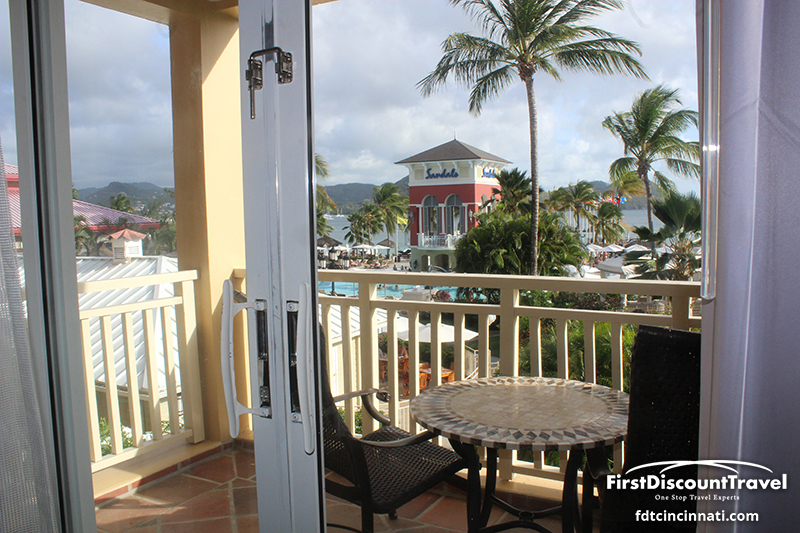 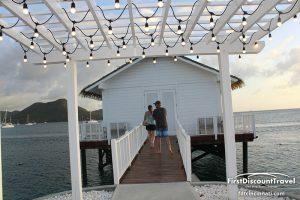 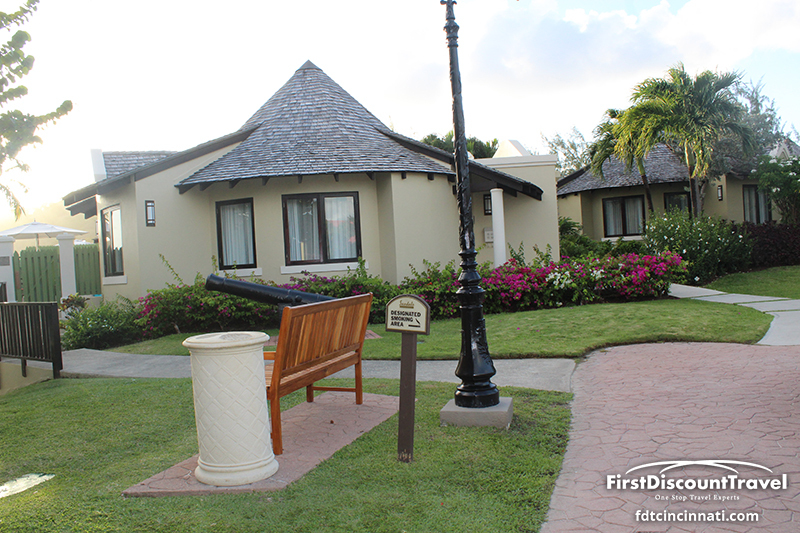 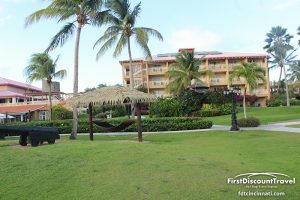 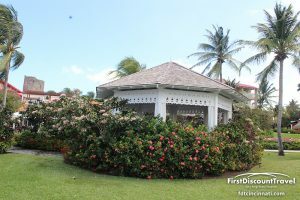 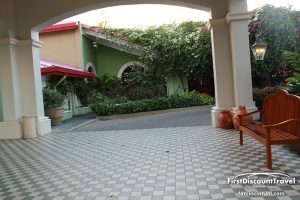 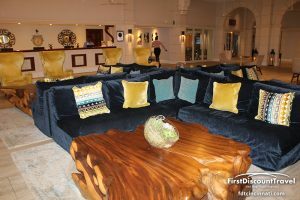 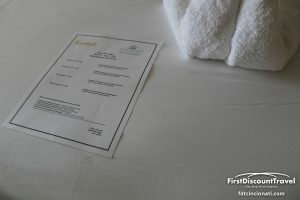 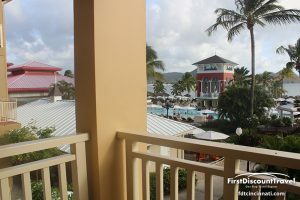 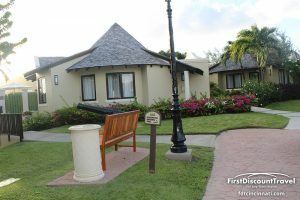 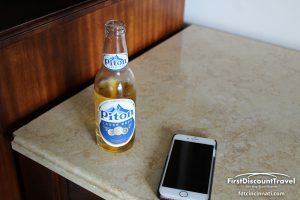 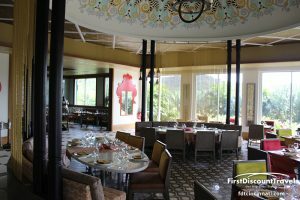 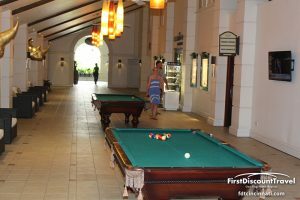 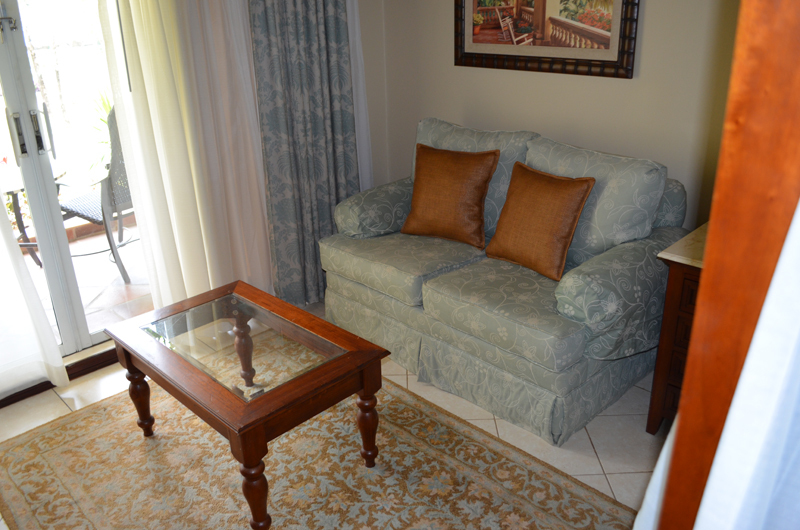 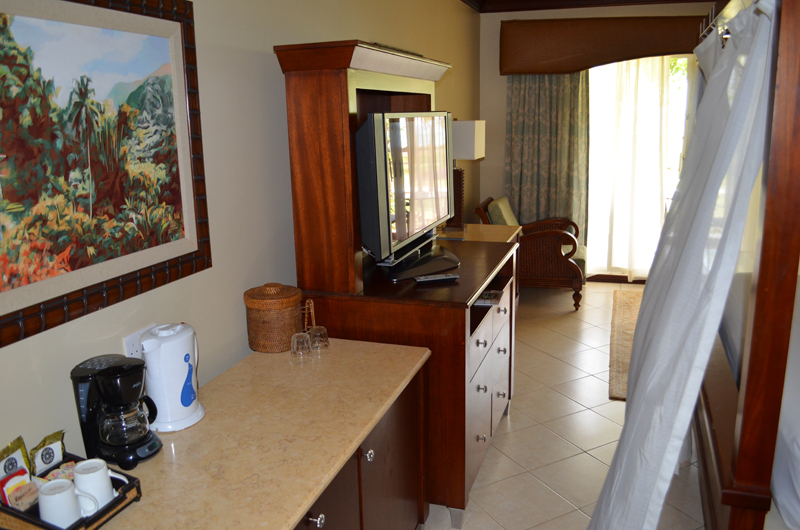 All of the rooms at Sandals Grande St Lucian are the same size (except for the suites) with view and level of service being the primary difference. 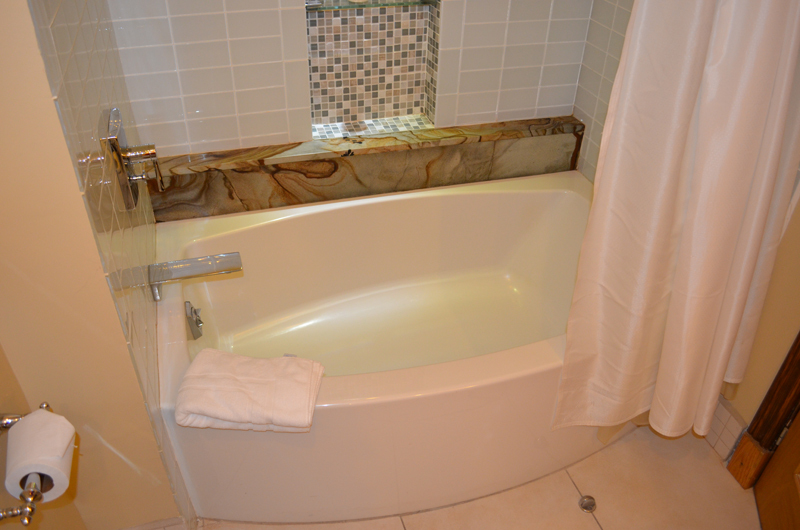 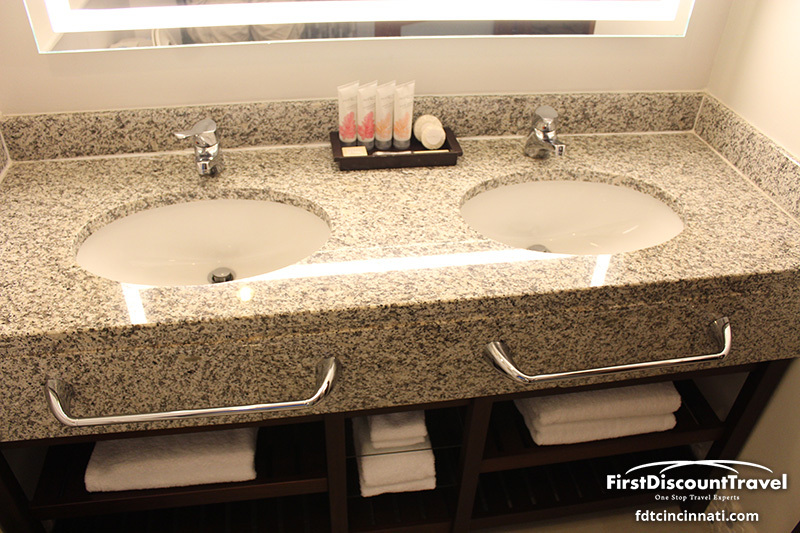 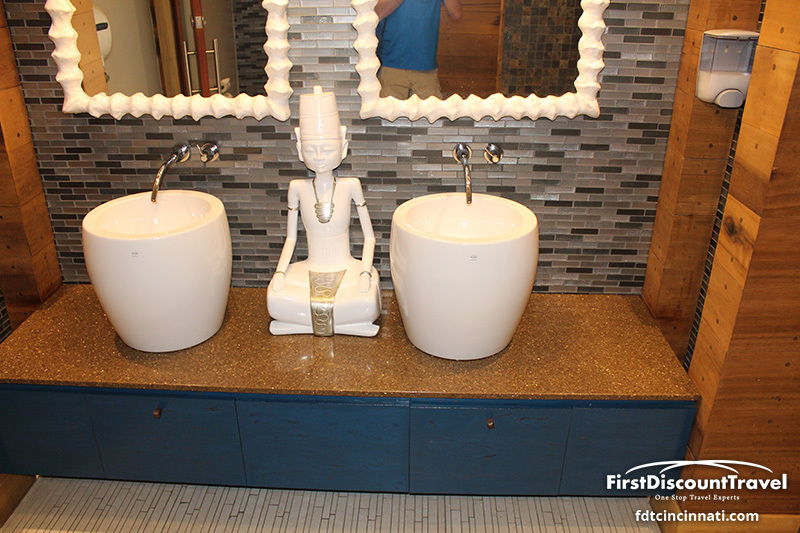 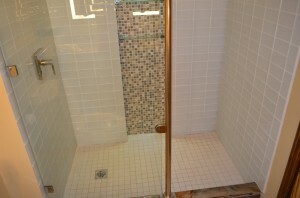 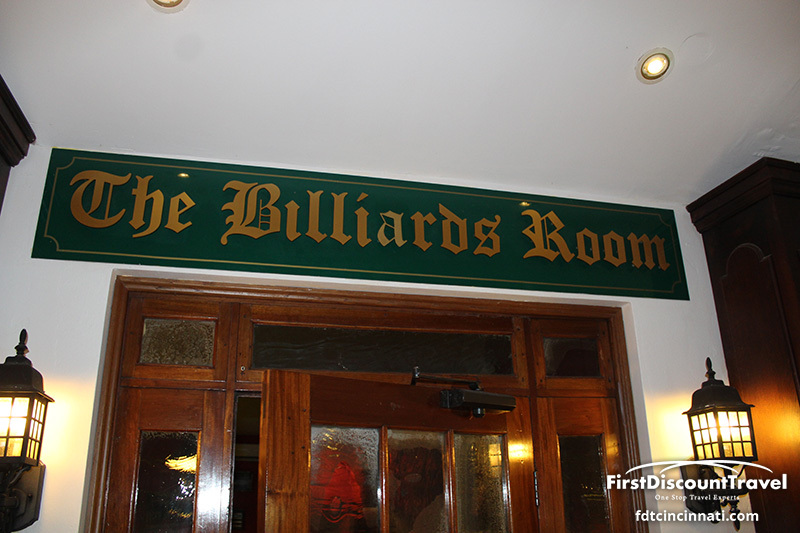 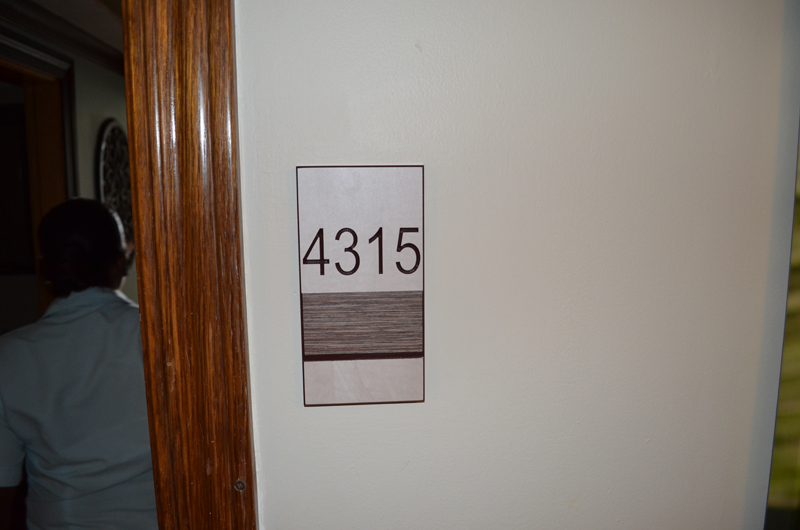 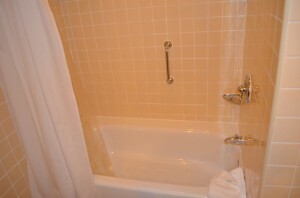 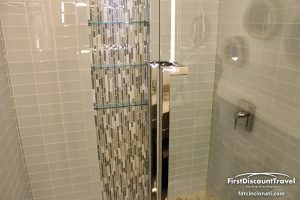 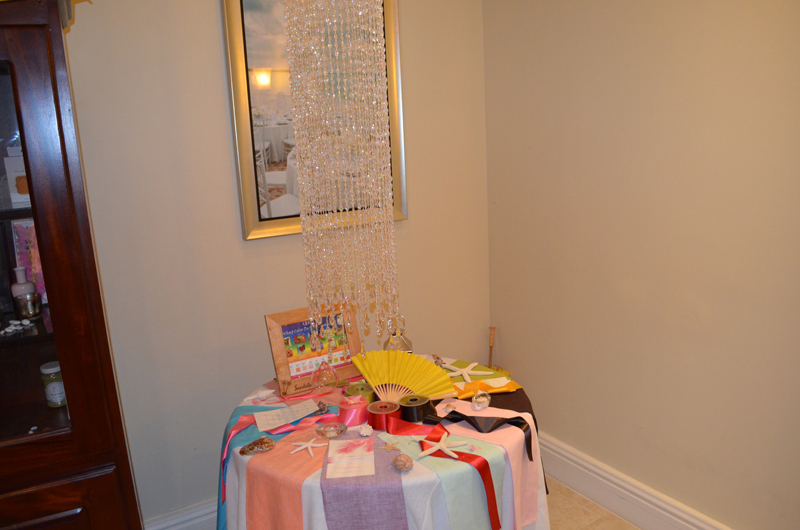 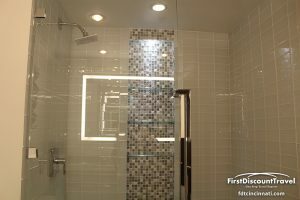 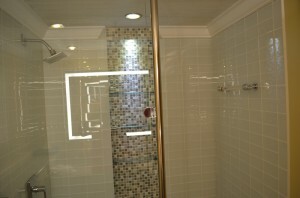 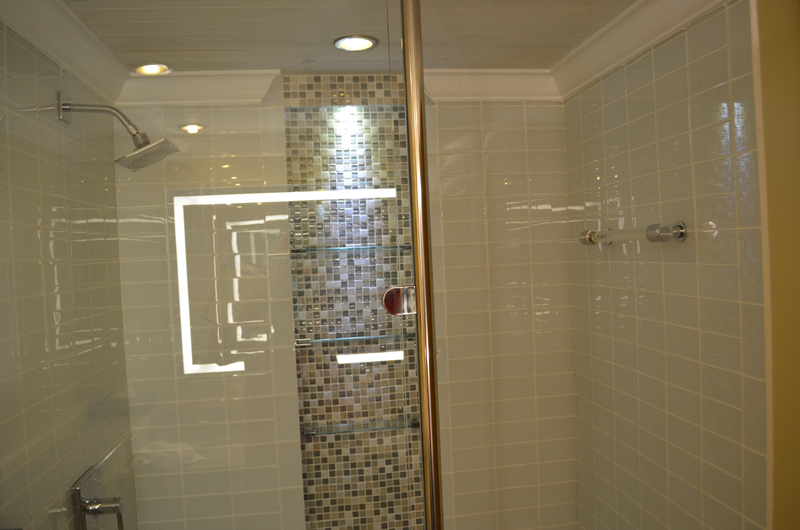 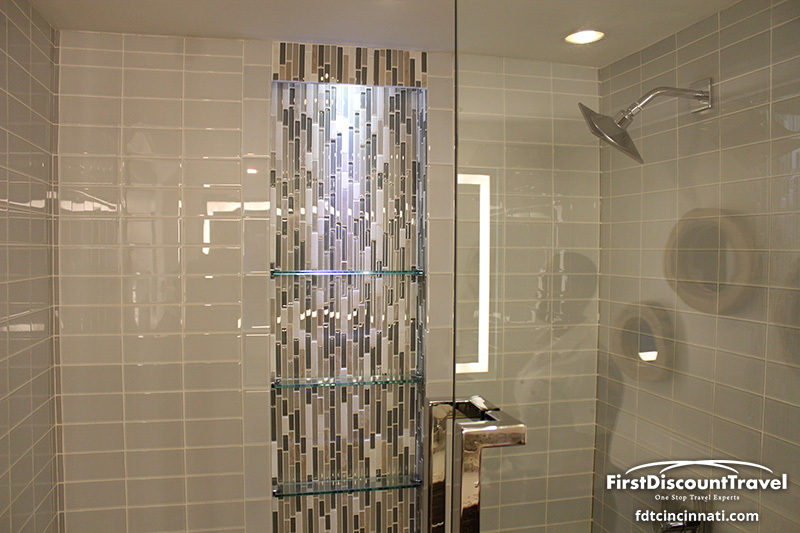 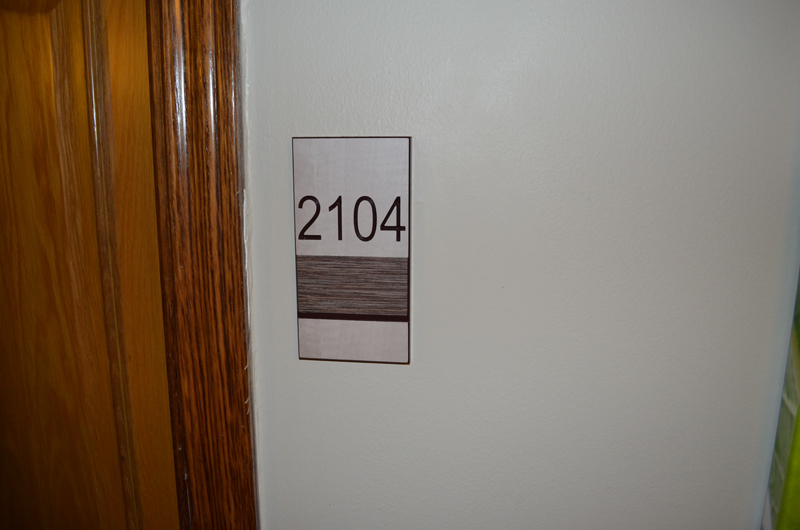 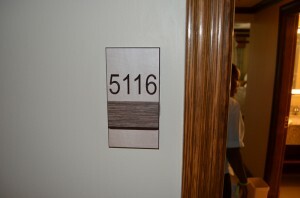 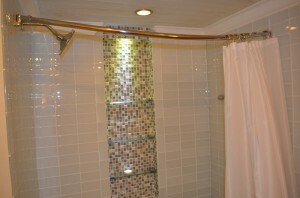 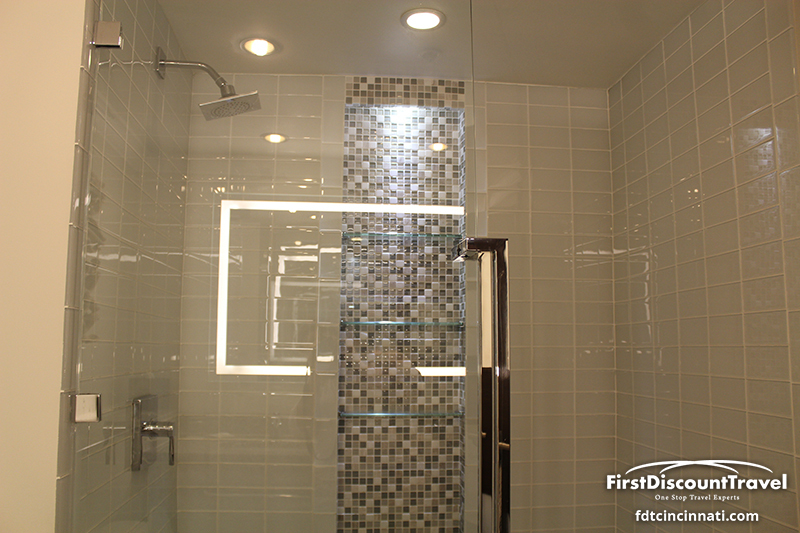 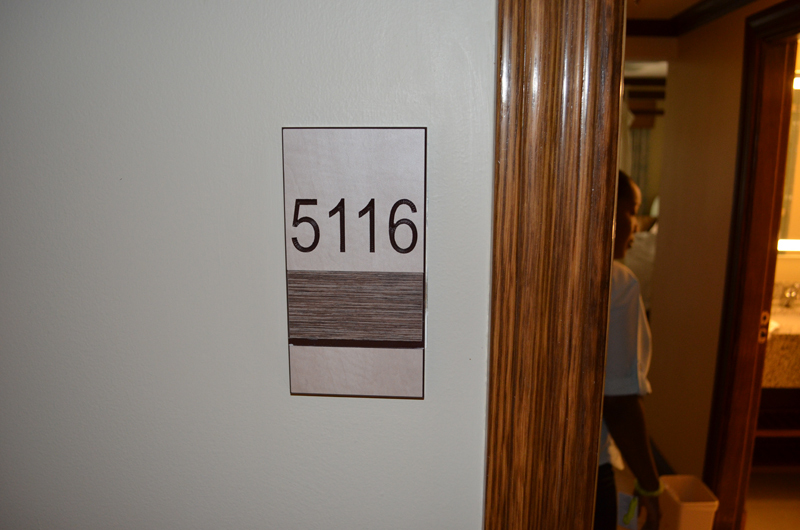 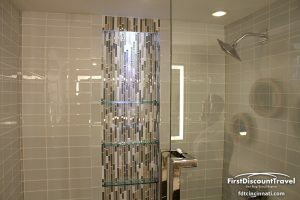 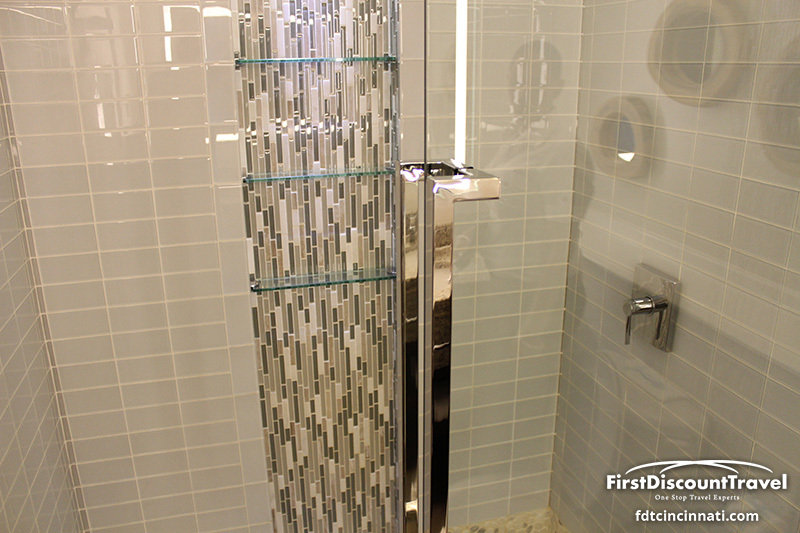 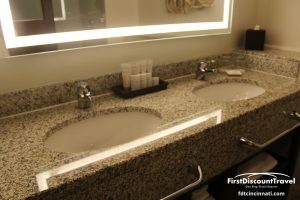 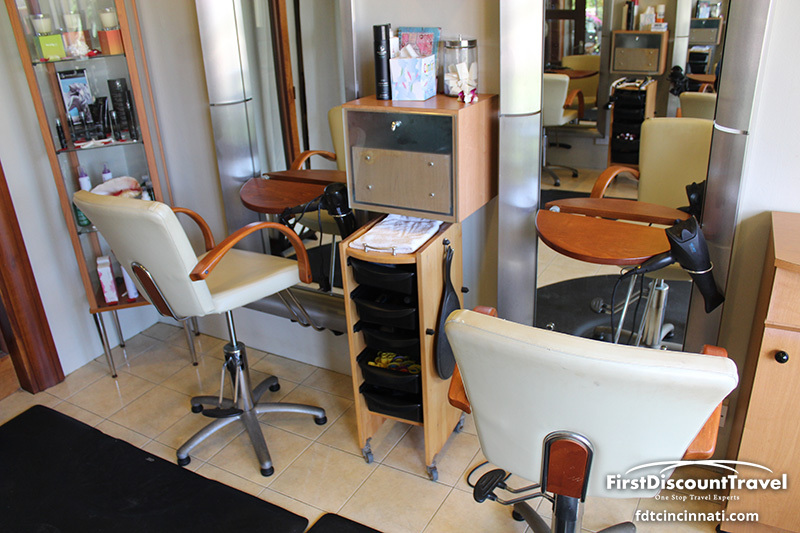 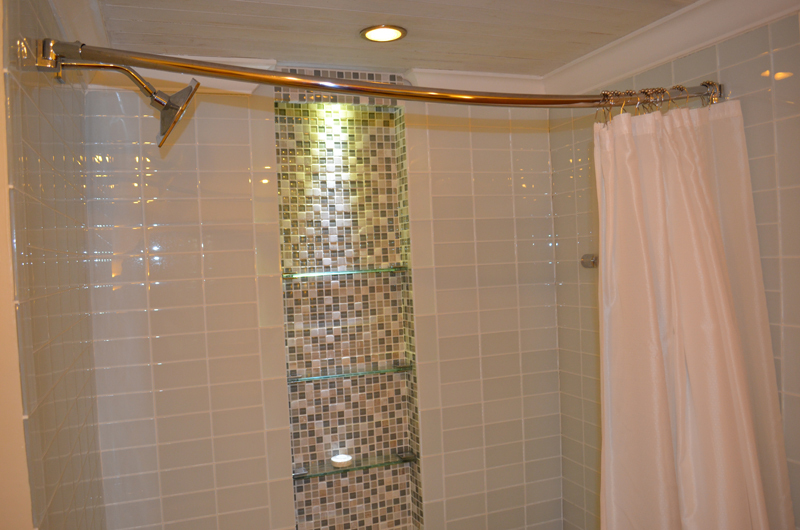 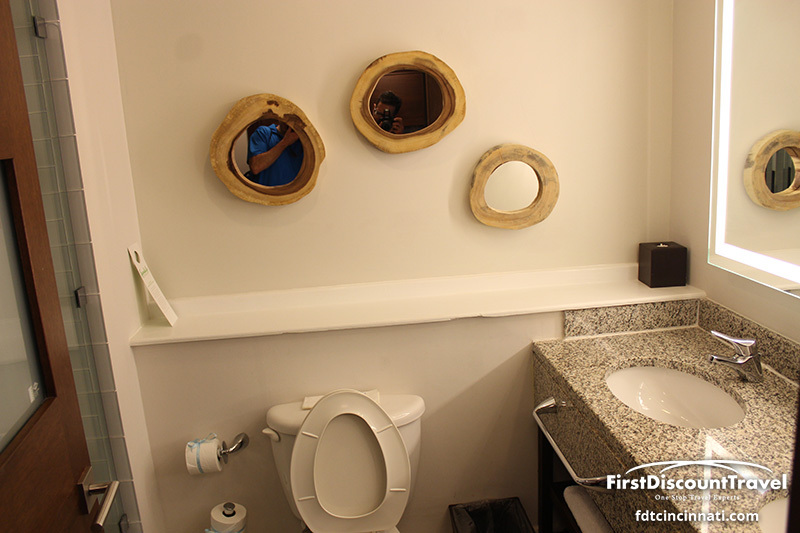 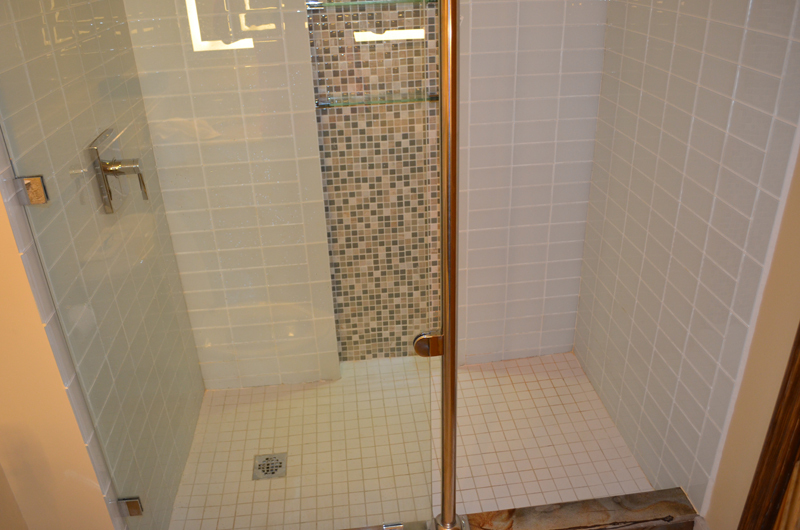 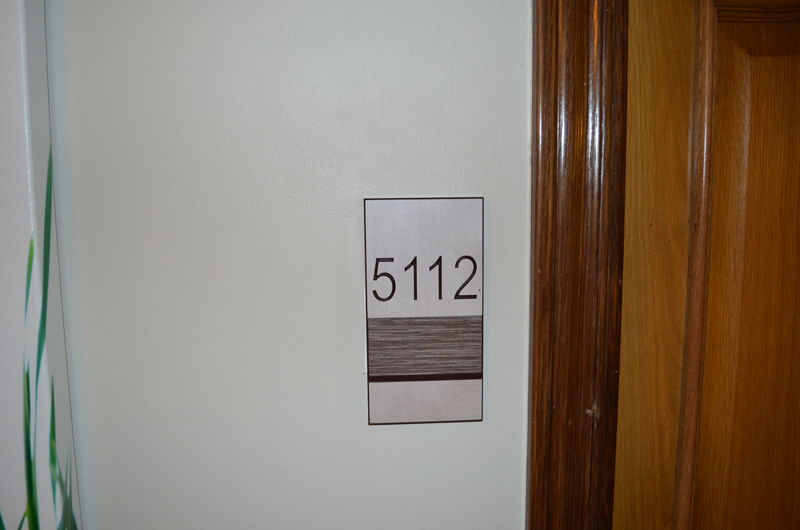 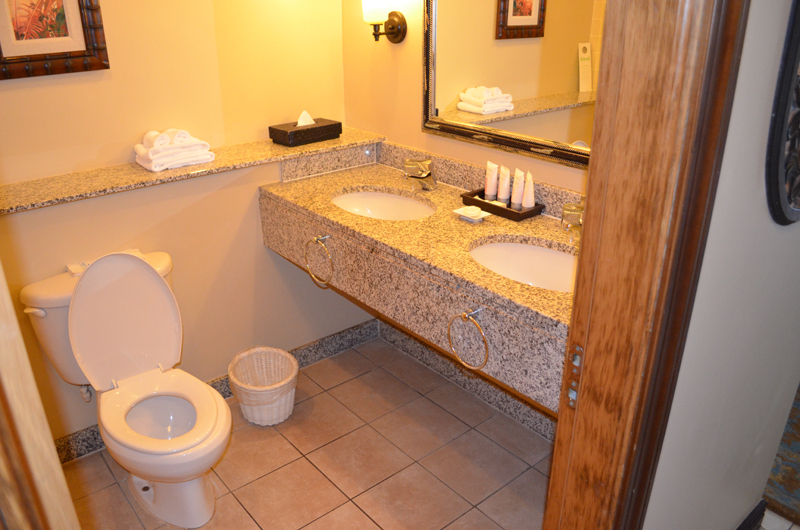 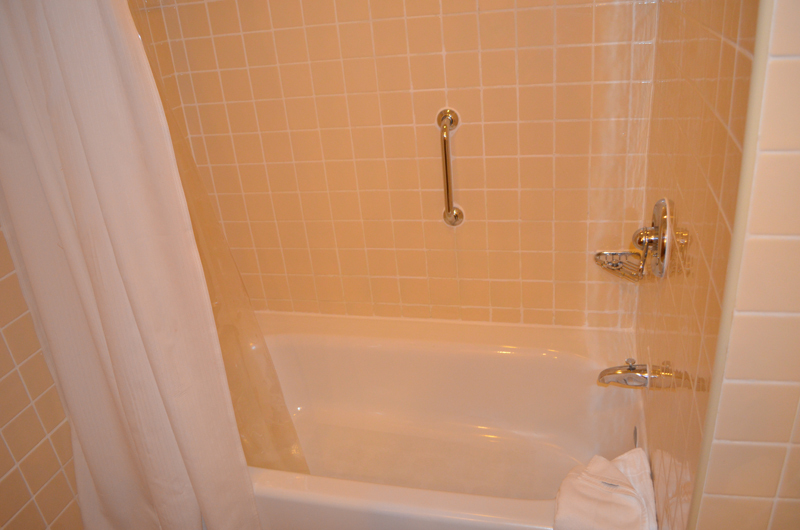 There is no bad room, and the showers and bath tubs were being renovated when I visited in August of 2013. 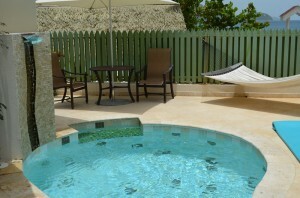 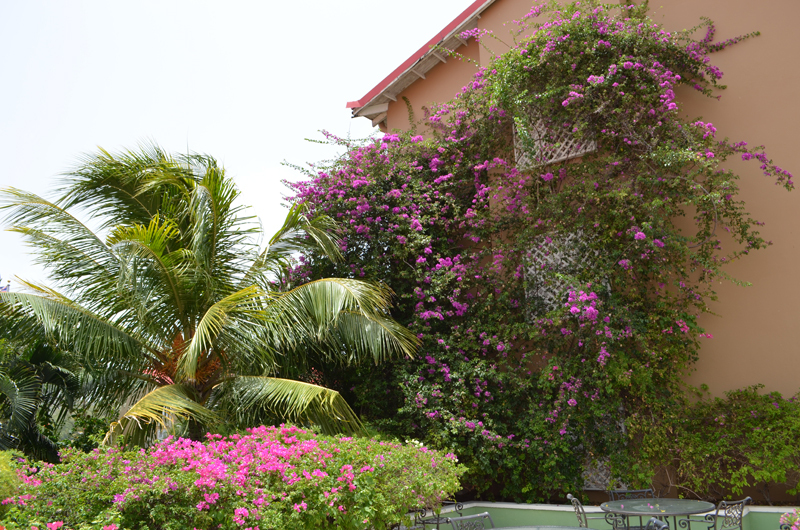 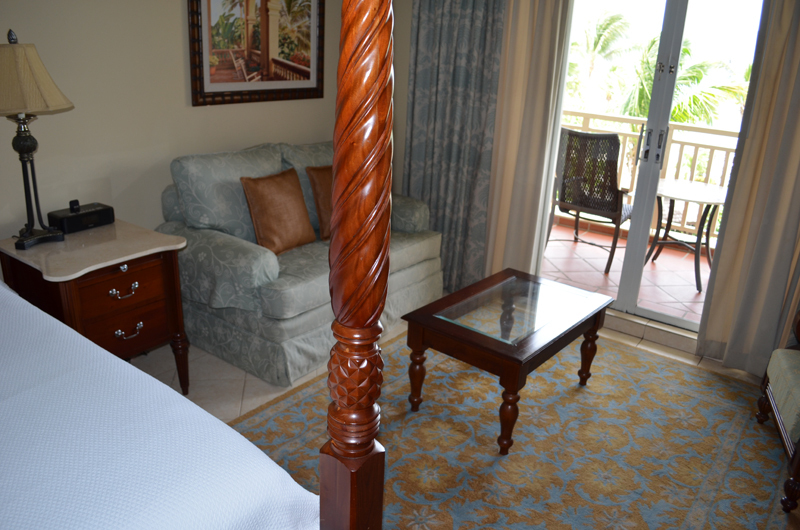 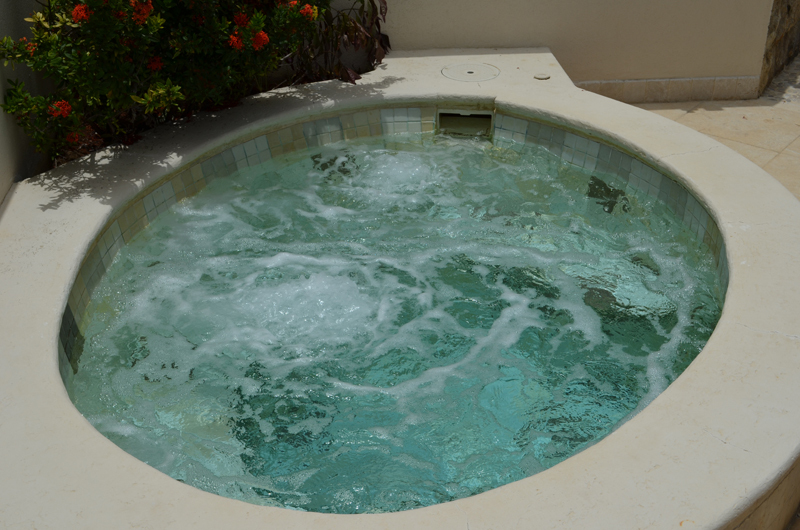 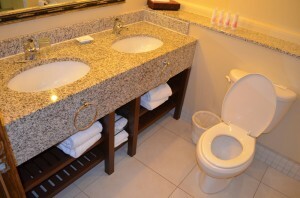 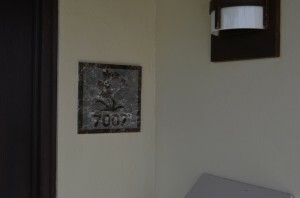 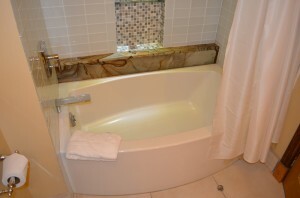 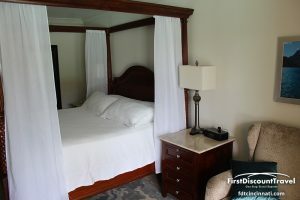 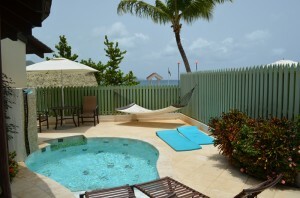 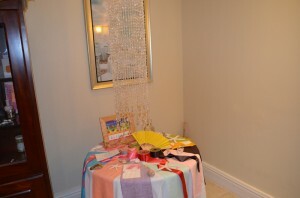 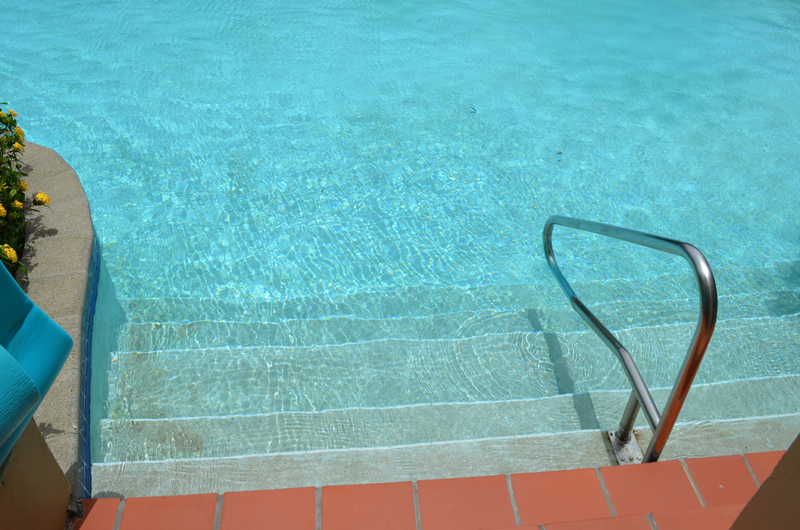 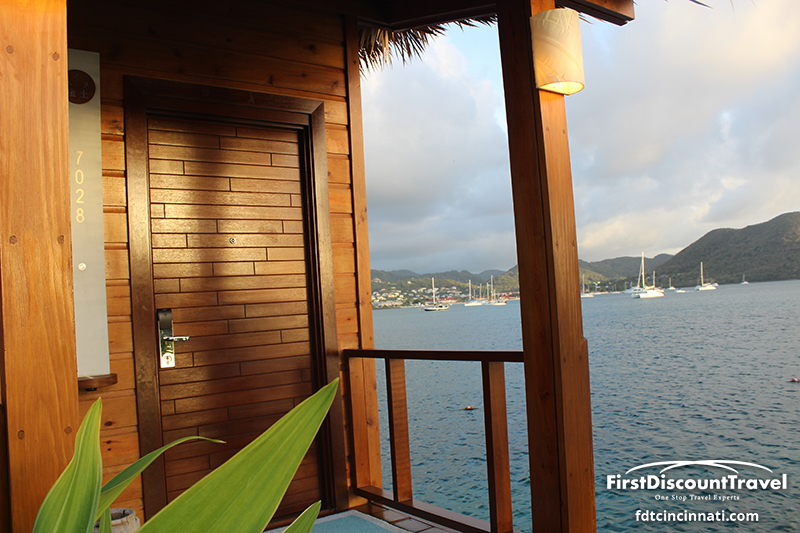 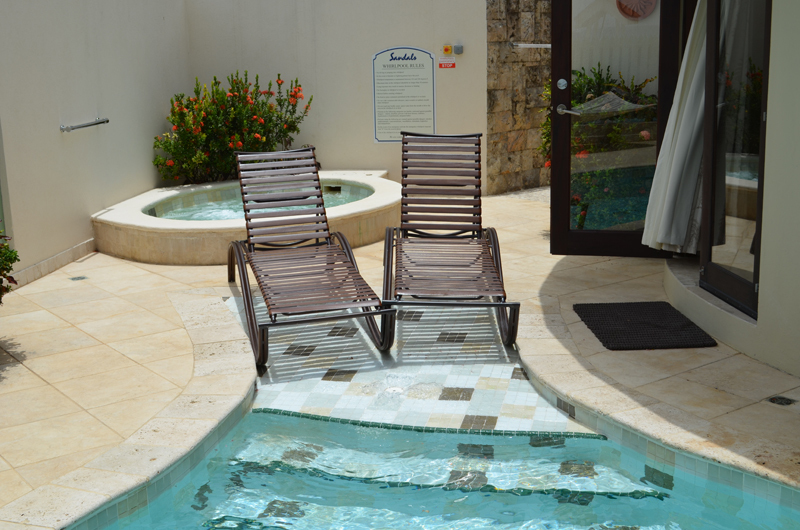 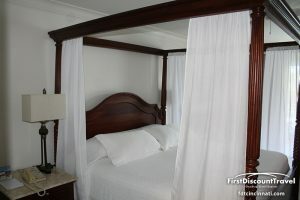 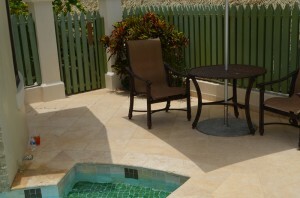 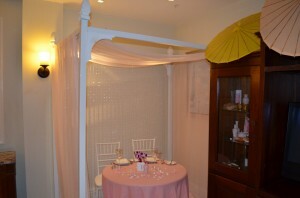 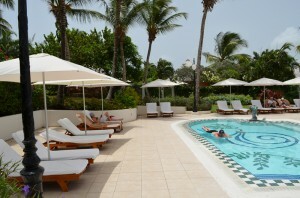 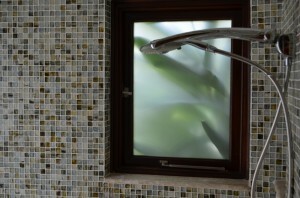 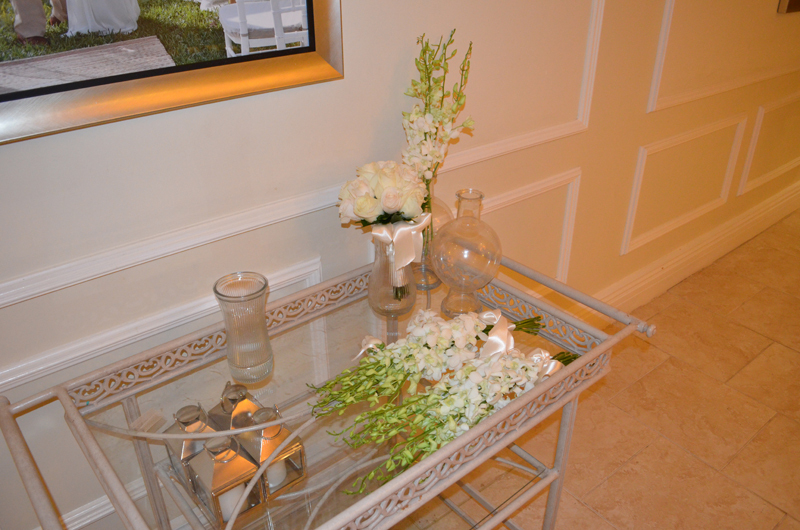 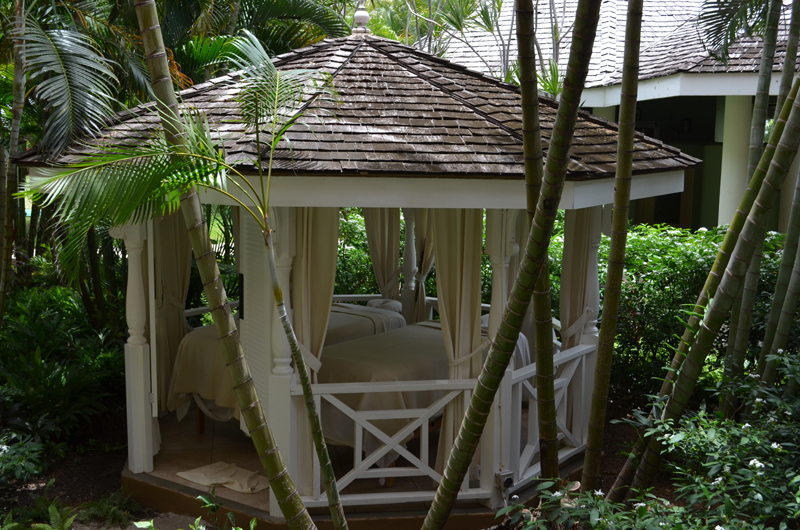 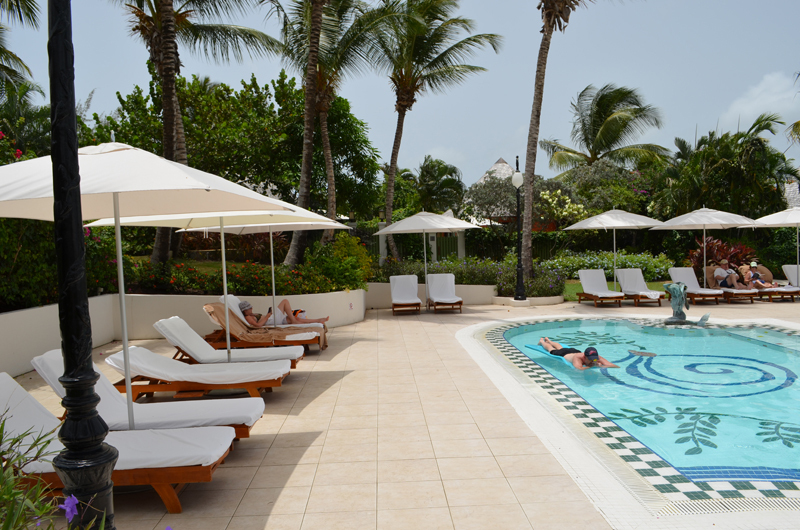 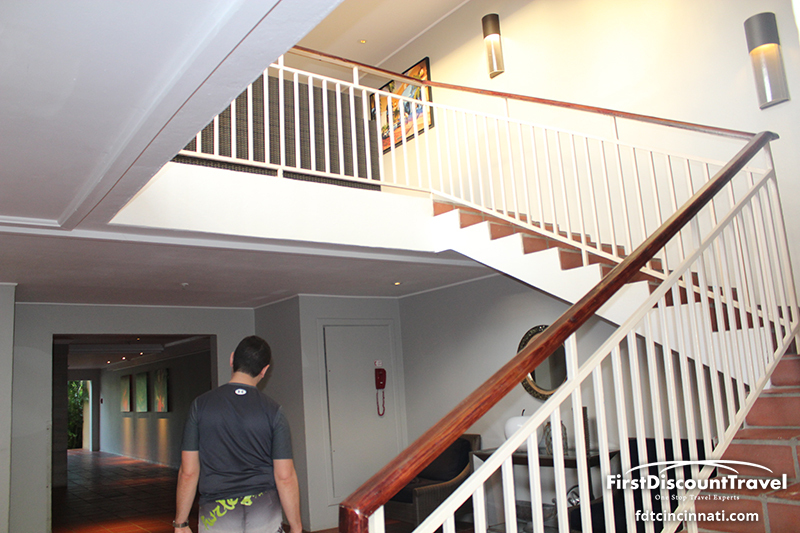 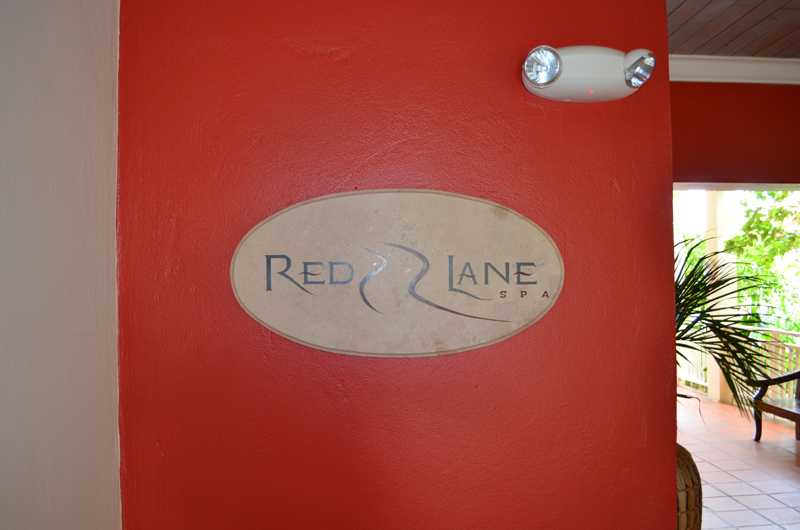 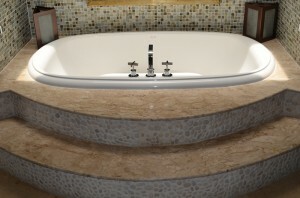 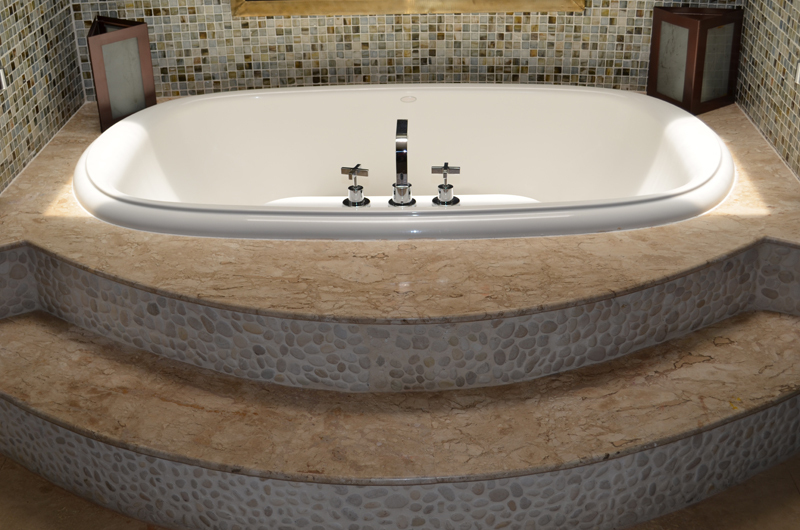 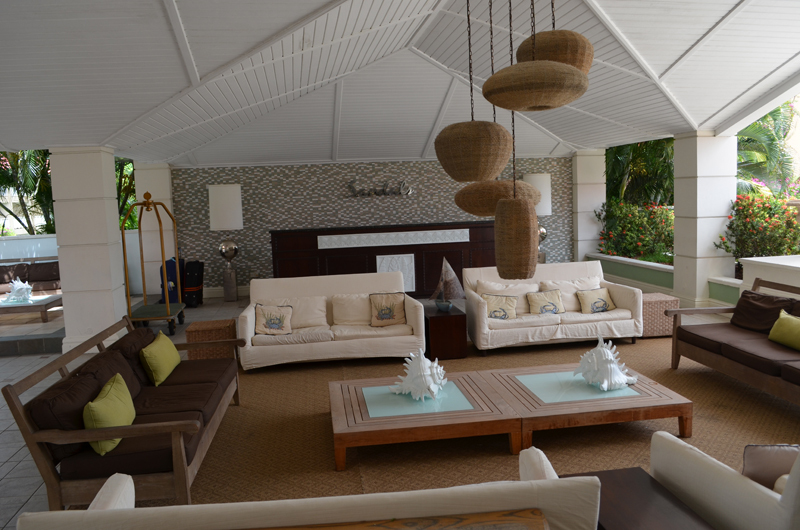 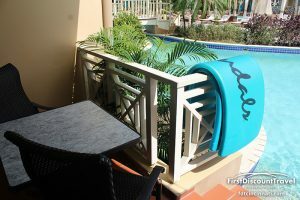 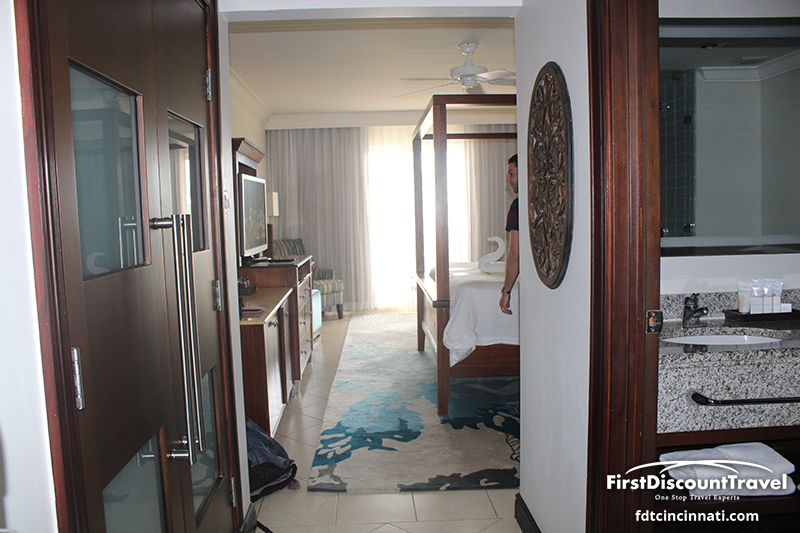 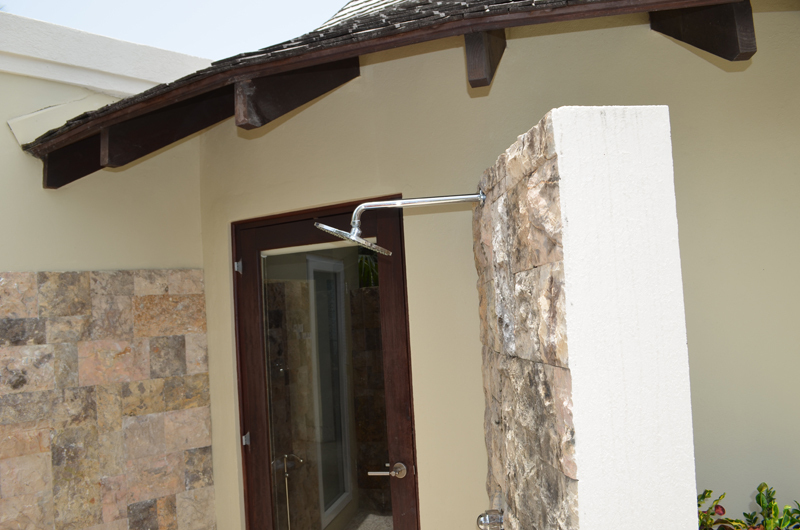 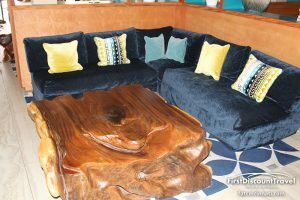 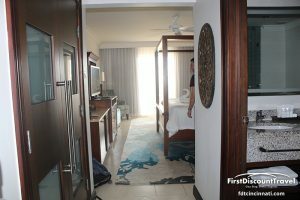 The Rondoval Suites are beyond fabulous with private pool, outdoor shower, and inside and outdoor Jacuzzis. 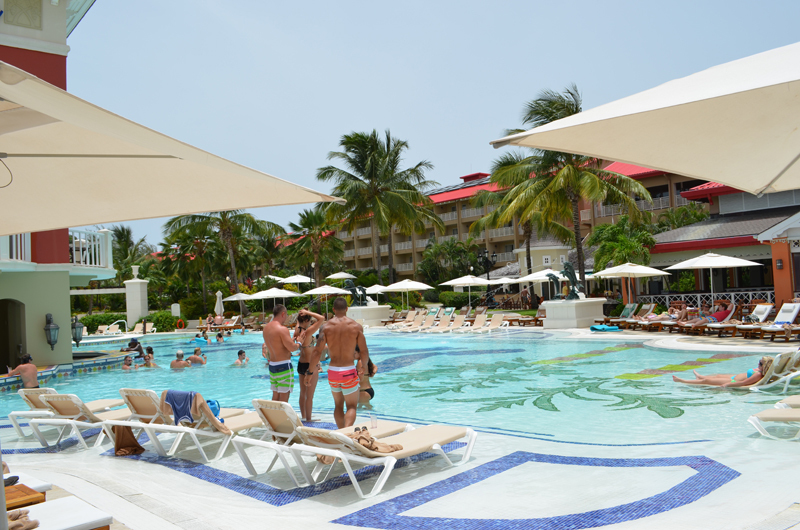 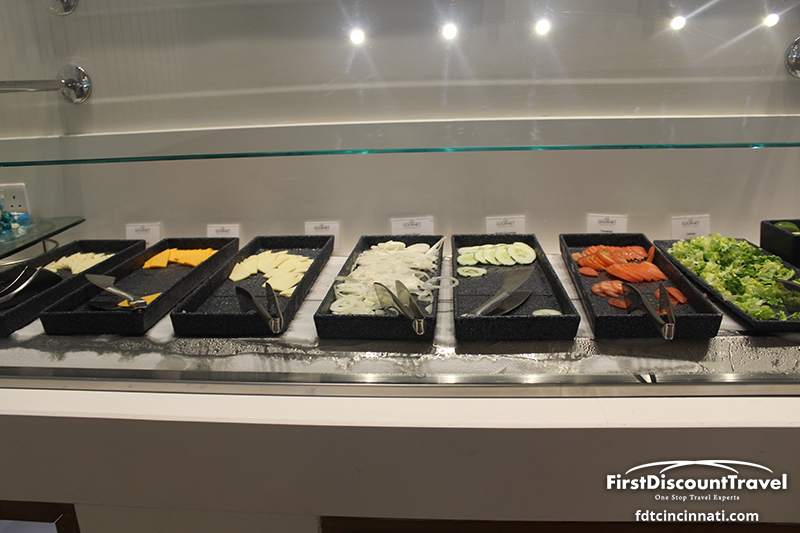 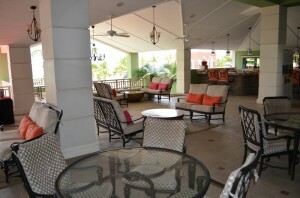 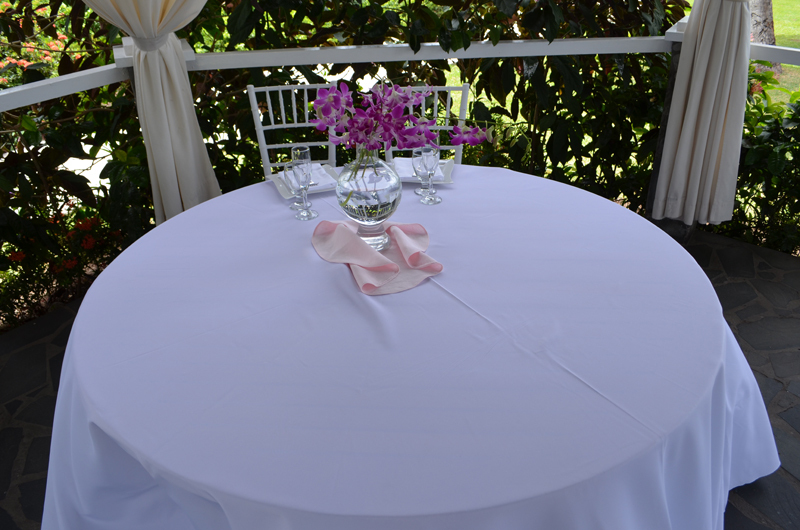 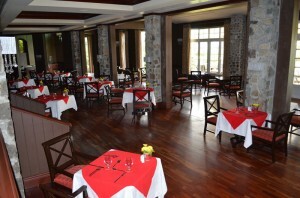 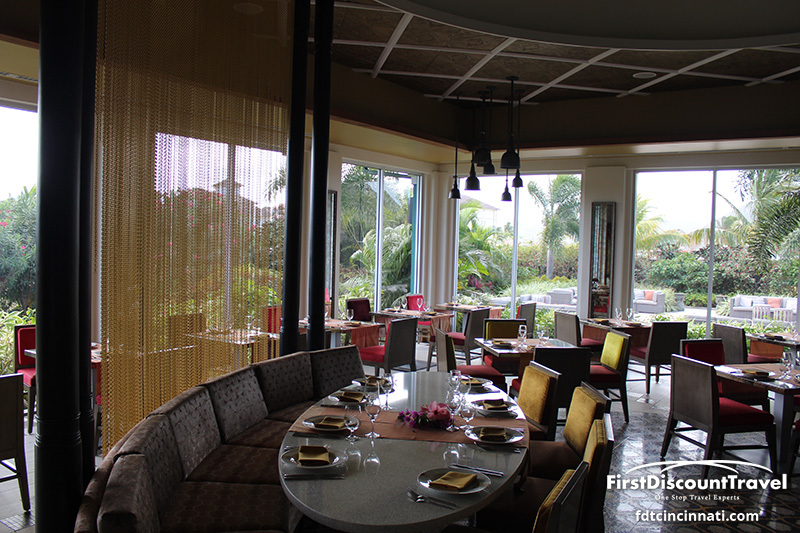 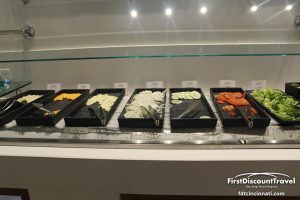 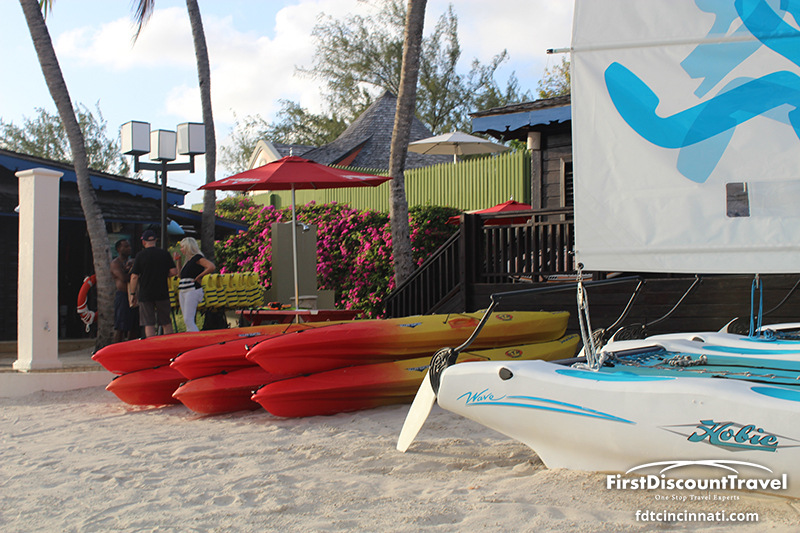 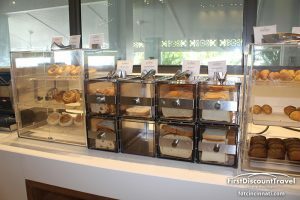 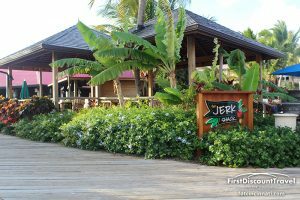 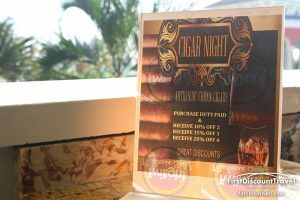 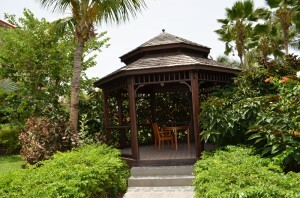 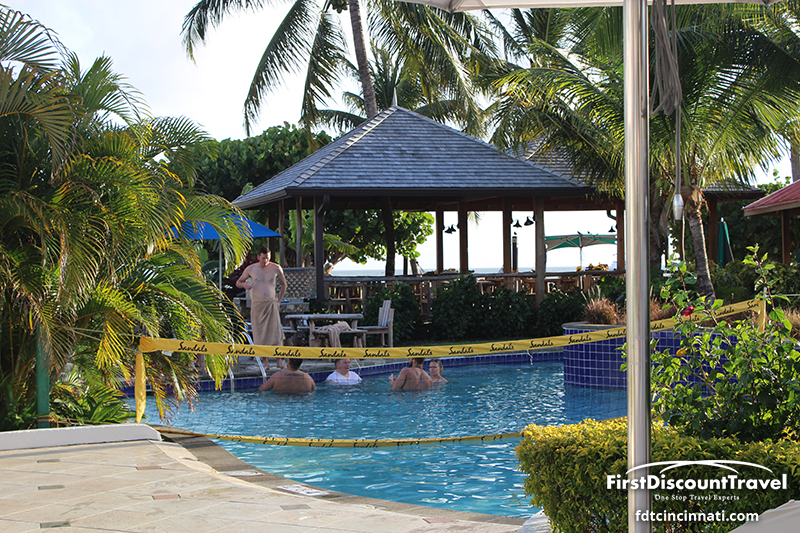 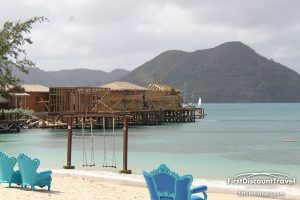 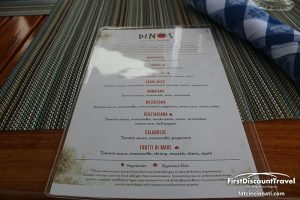 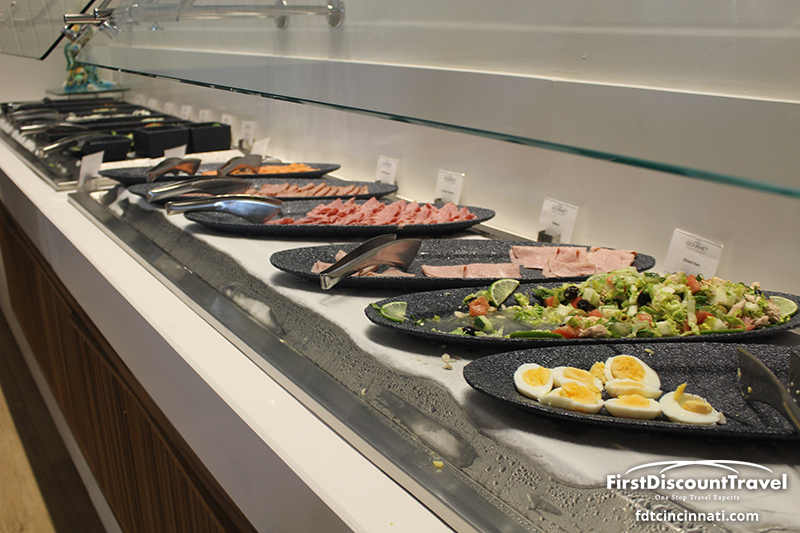 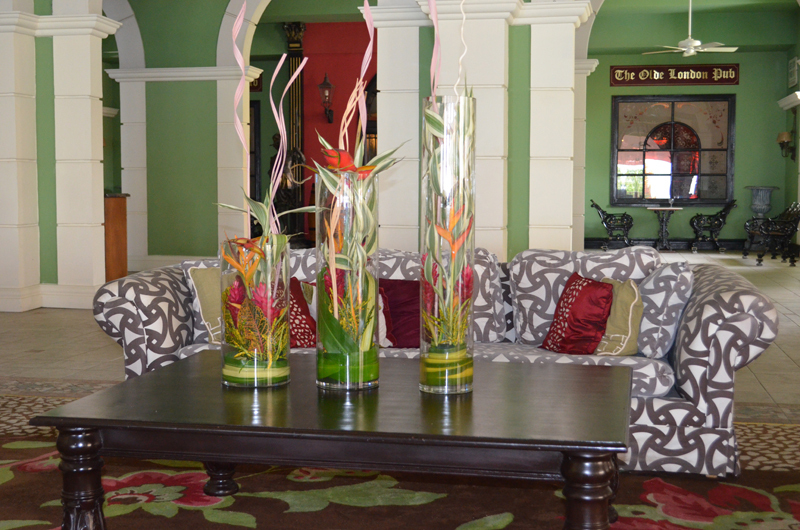 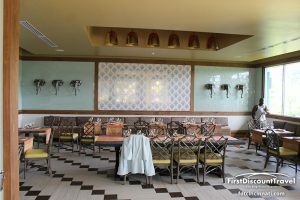 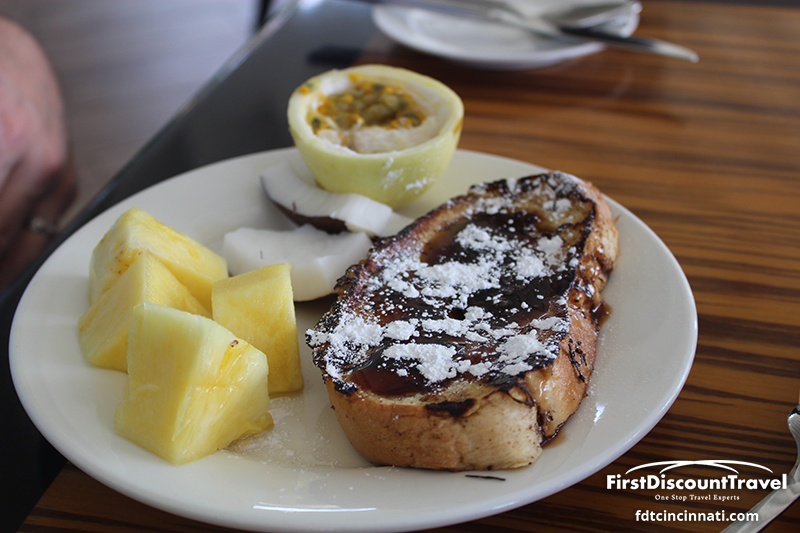 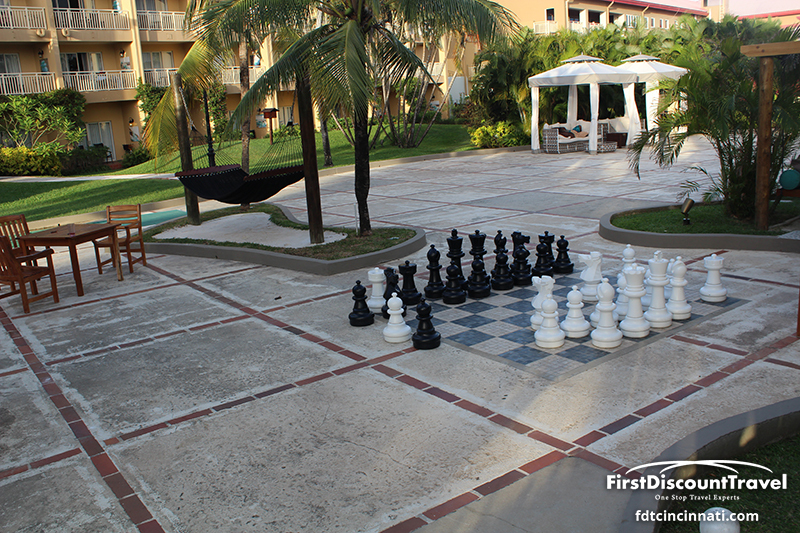 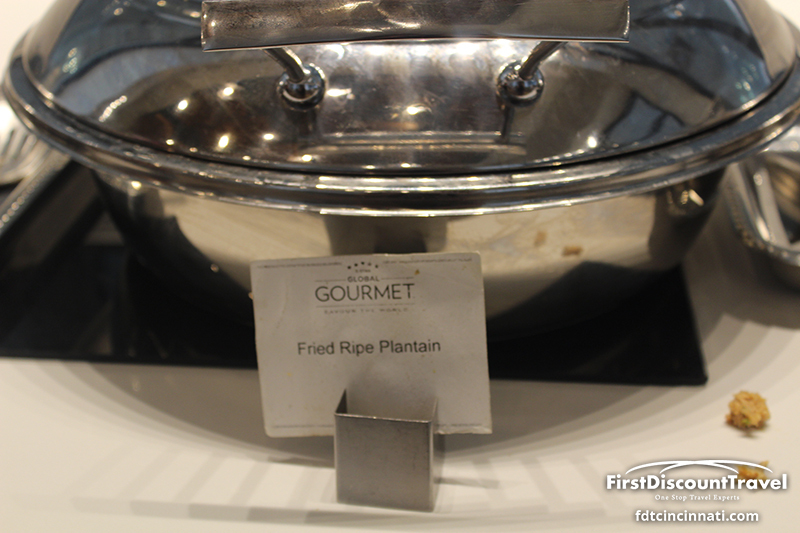 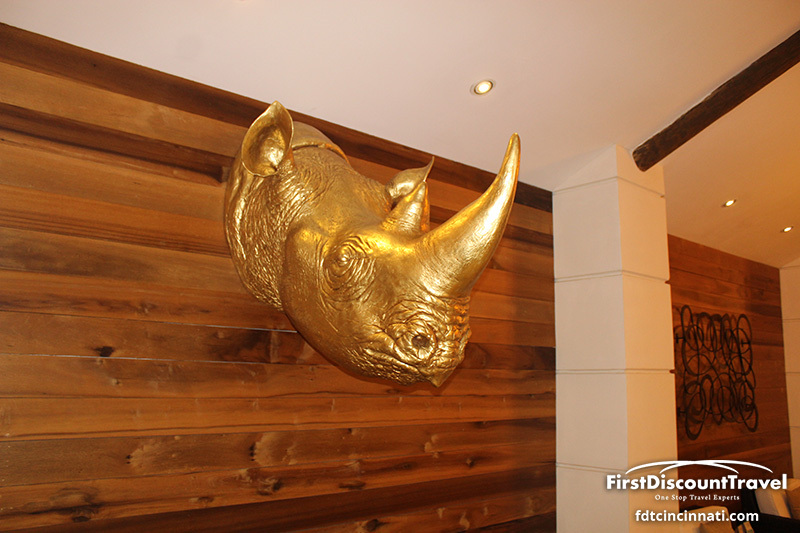 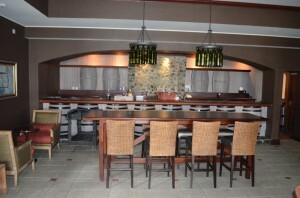 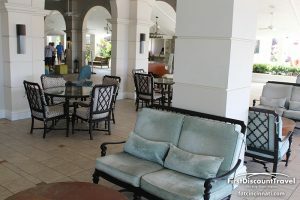 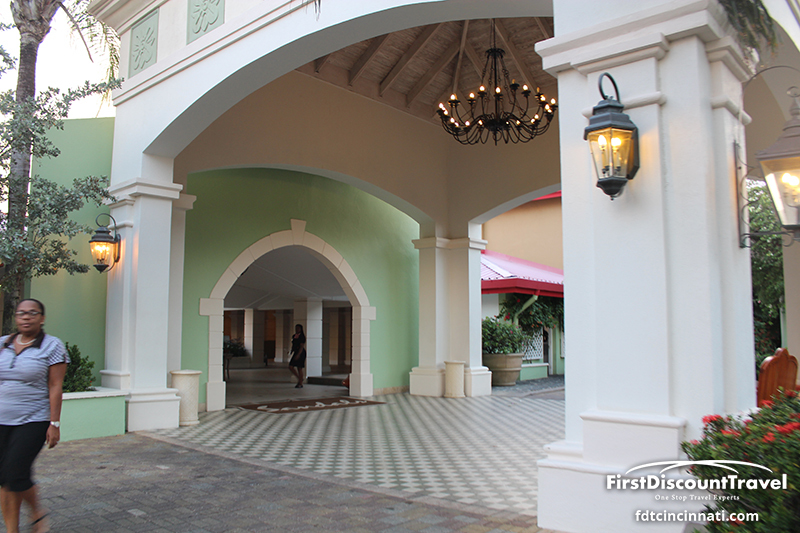 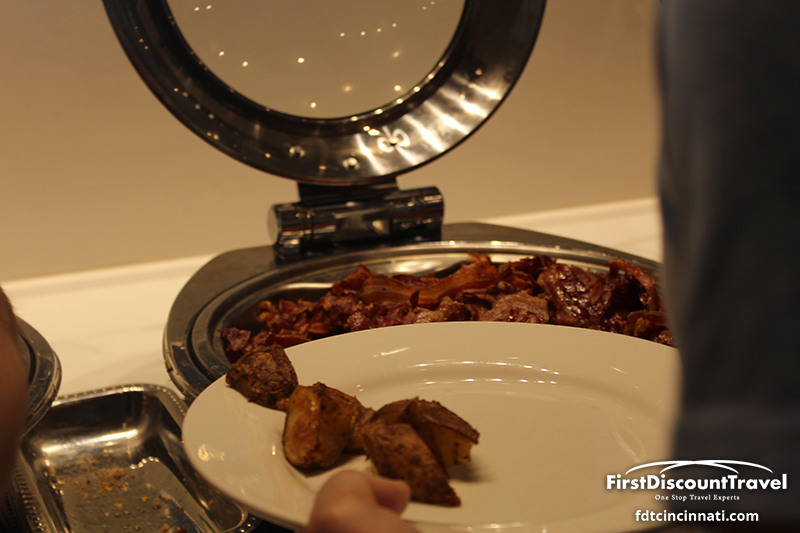 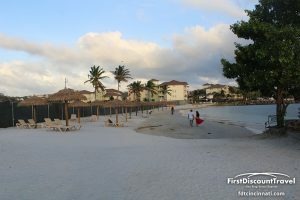 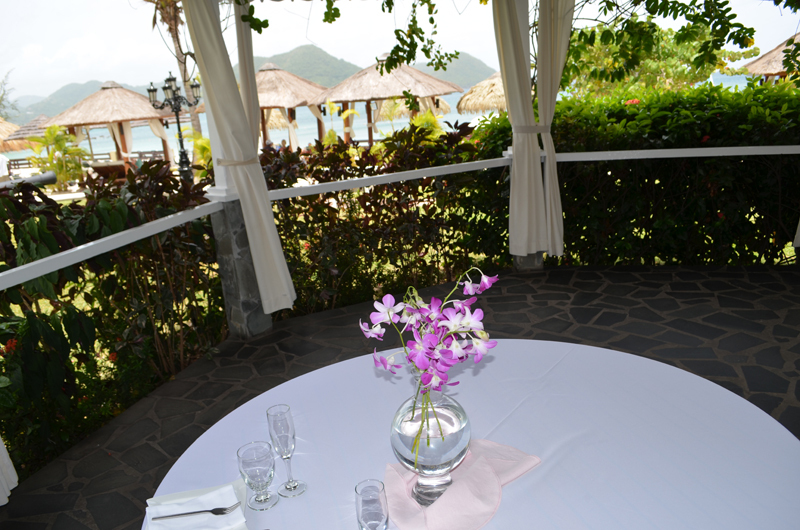 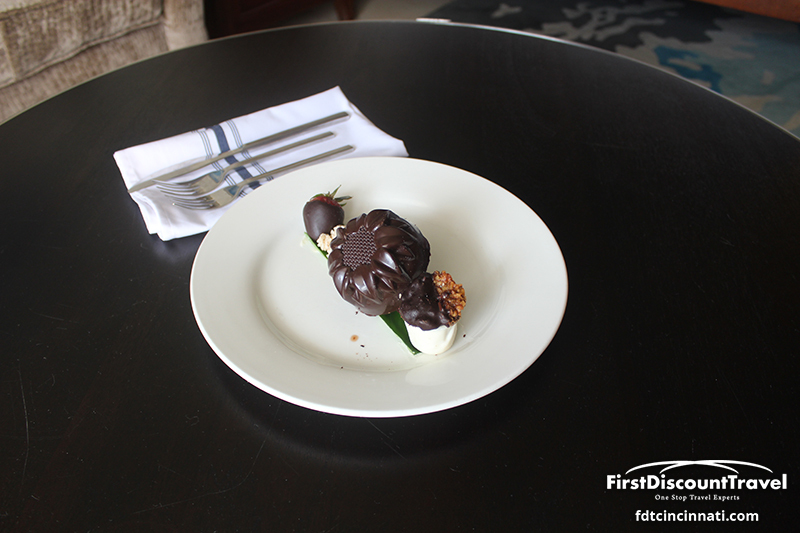 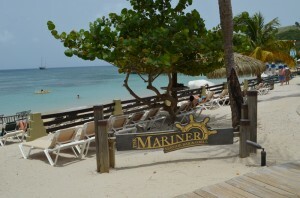 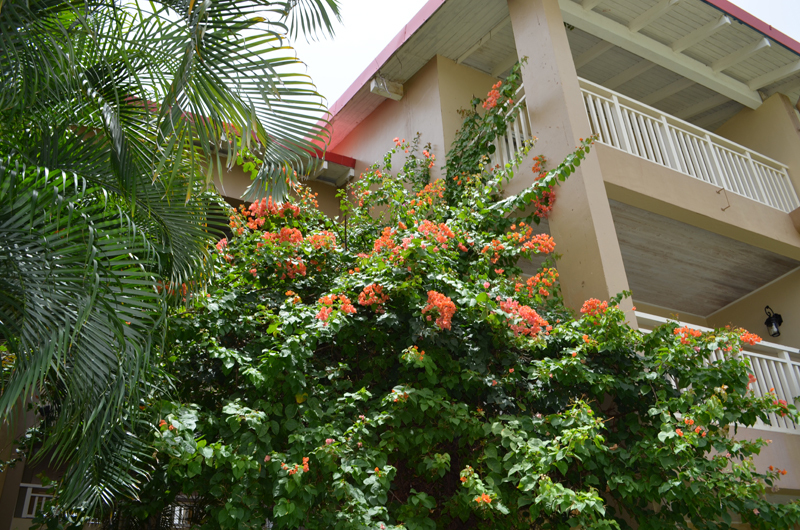 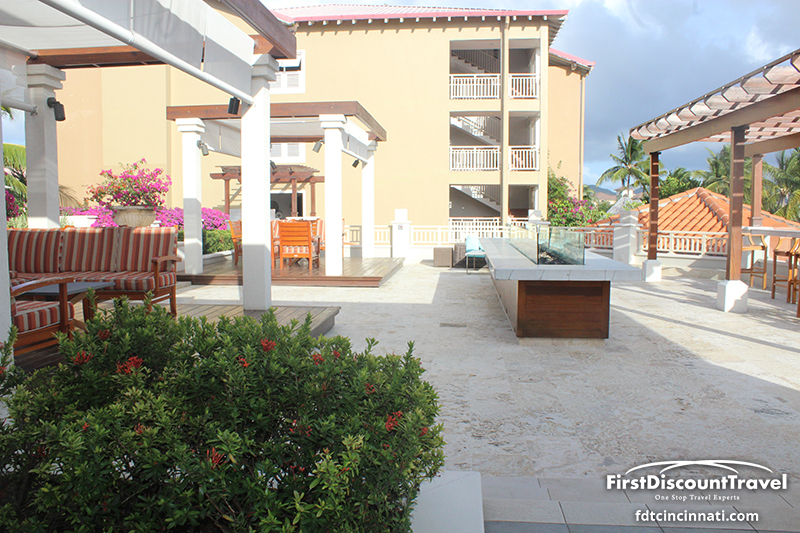 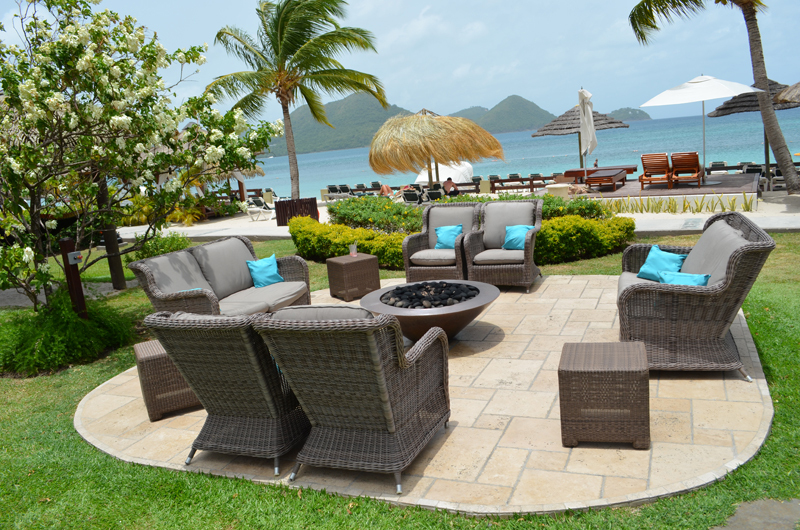 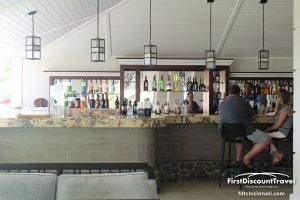 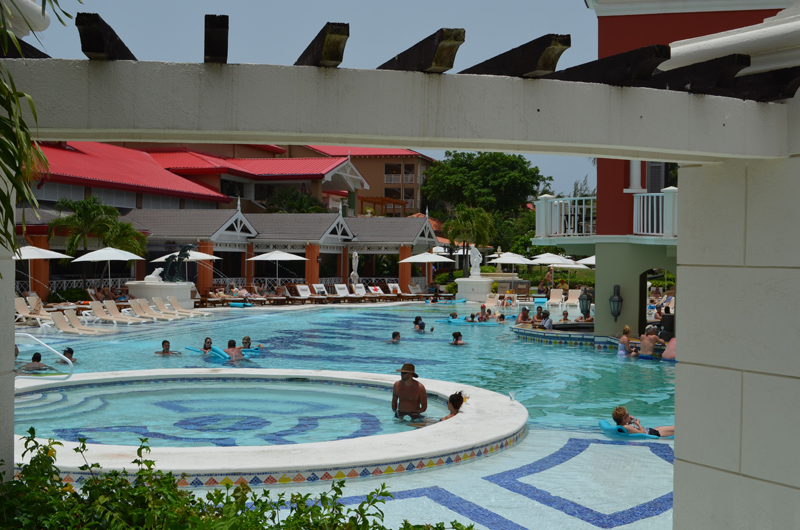 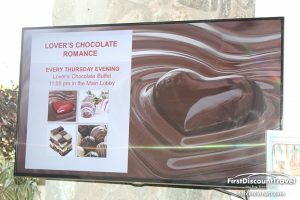 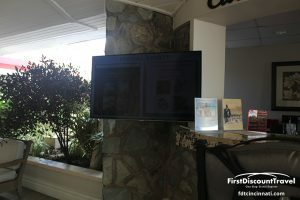 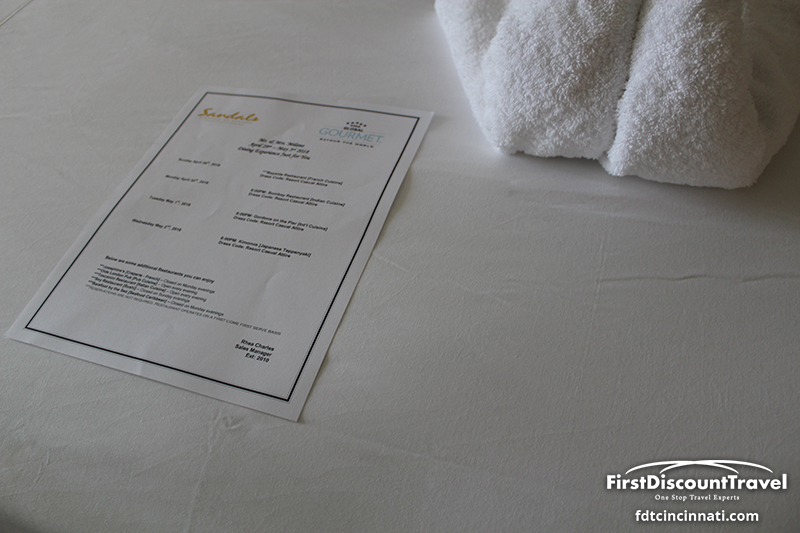 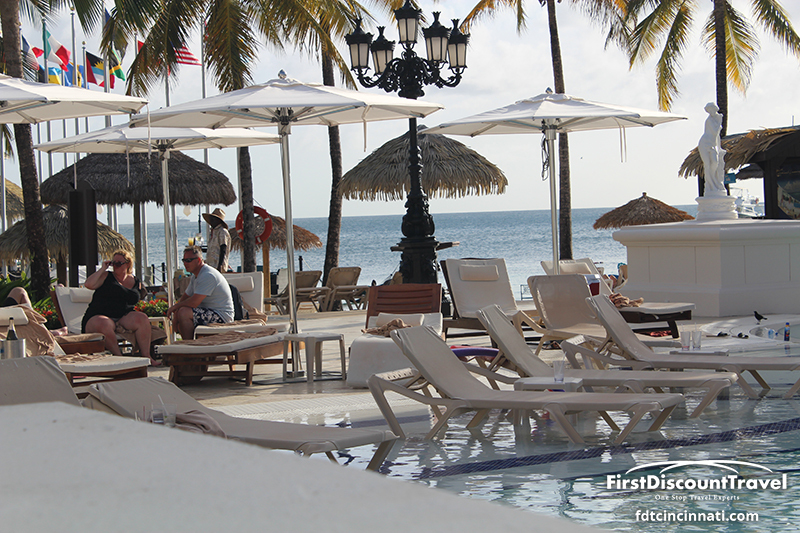 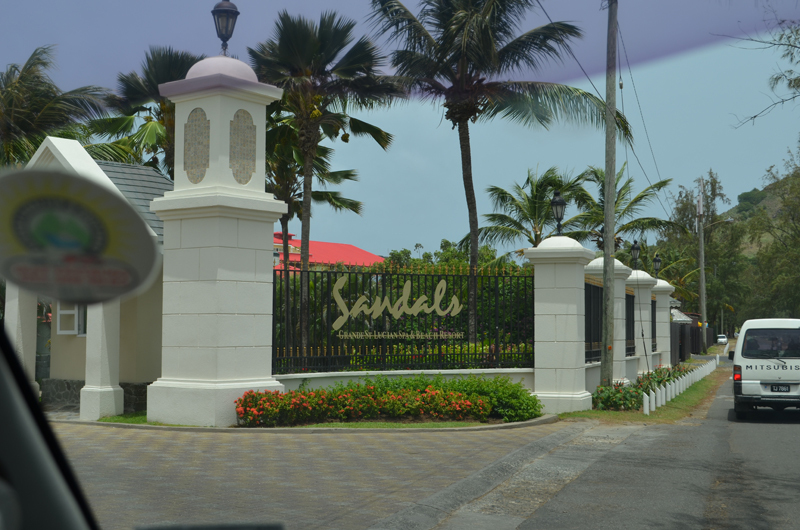 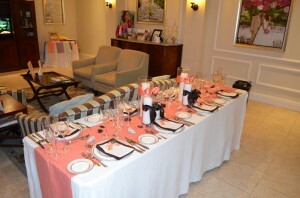 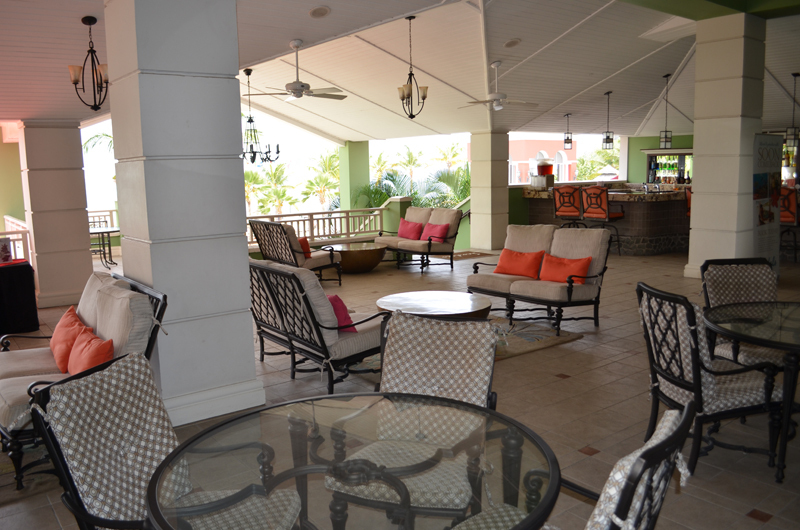 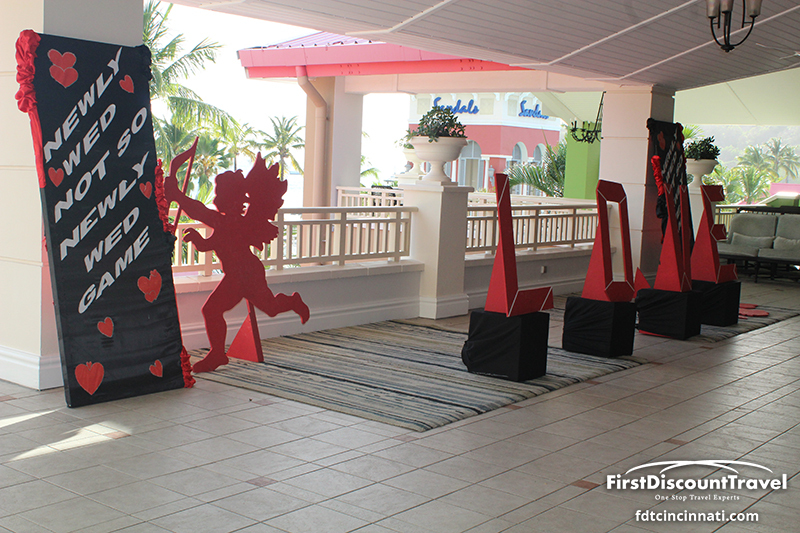 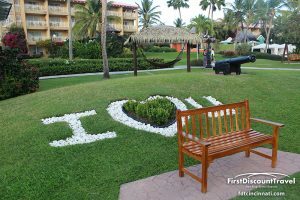 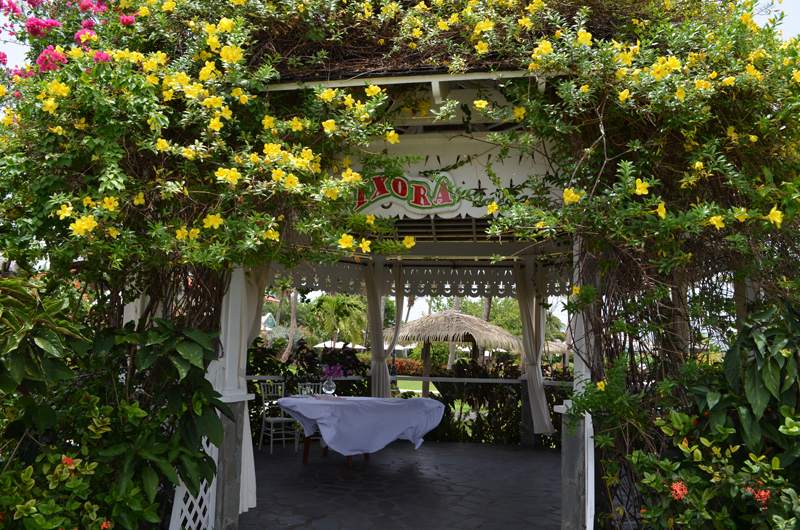 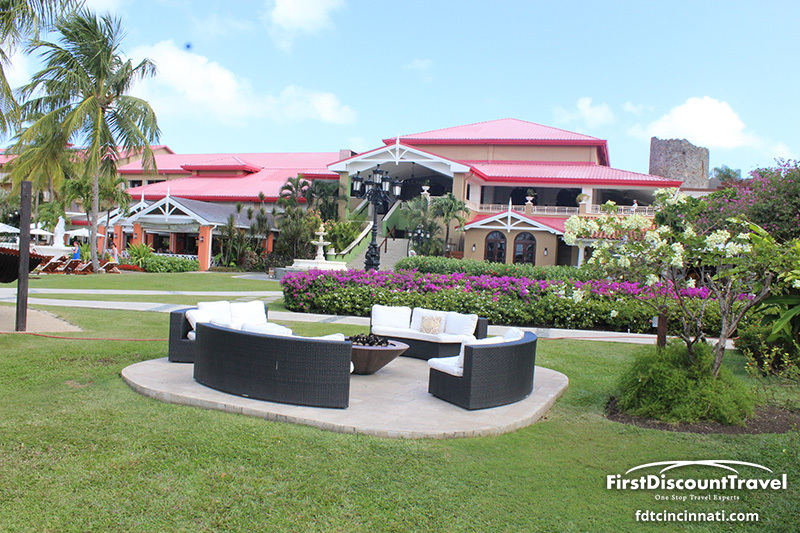 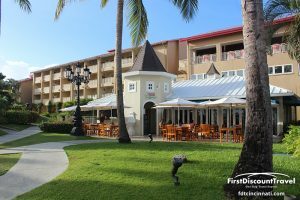 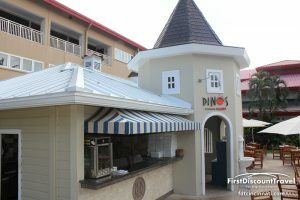 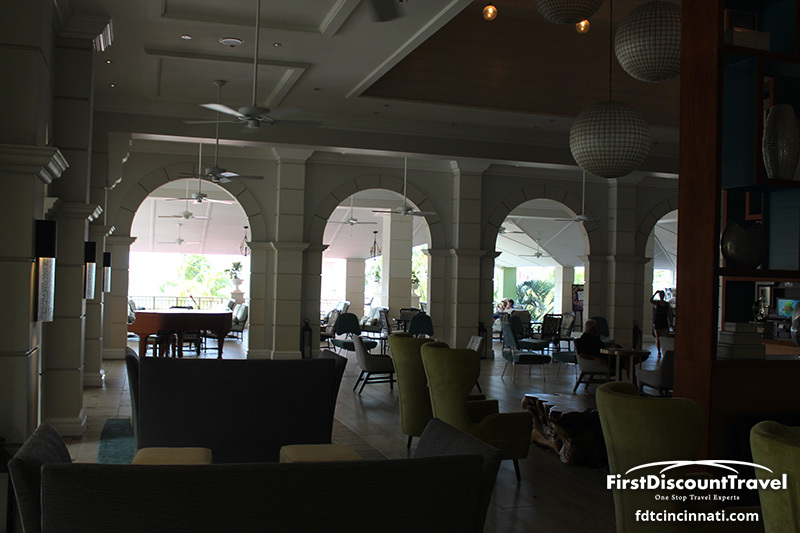 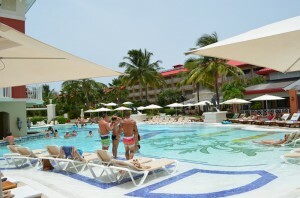 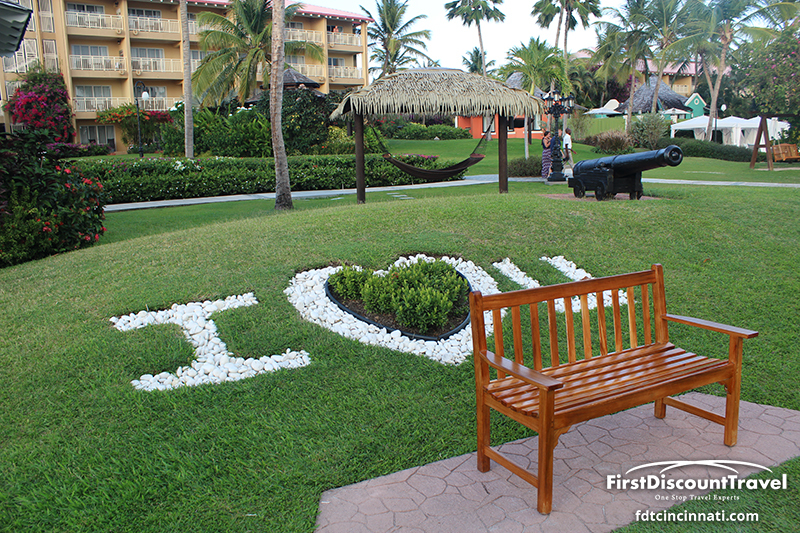 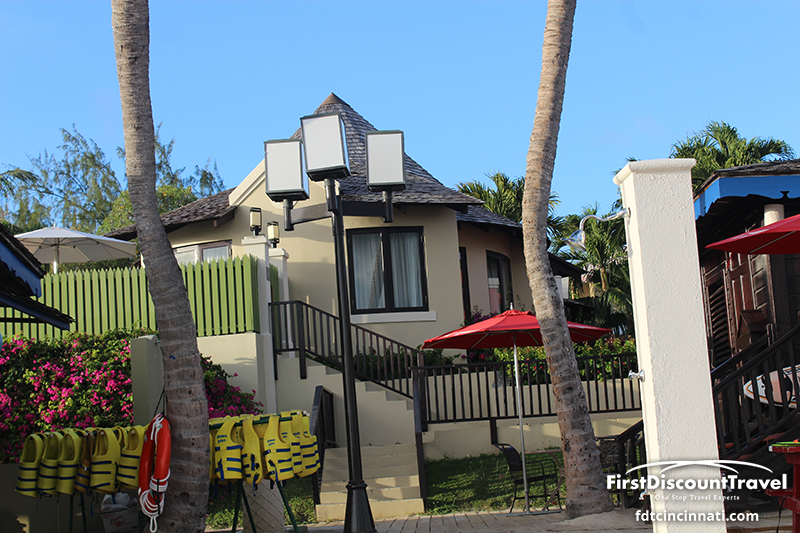 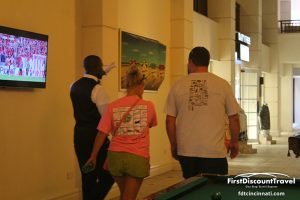 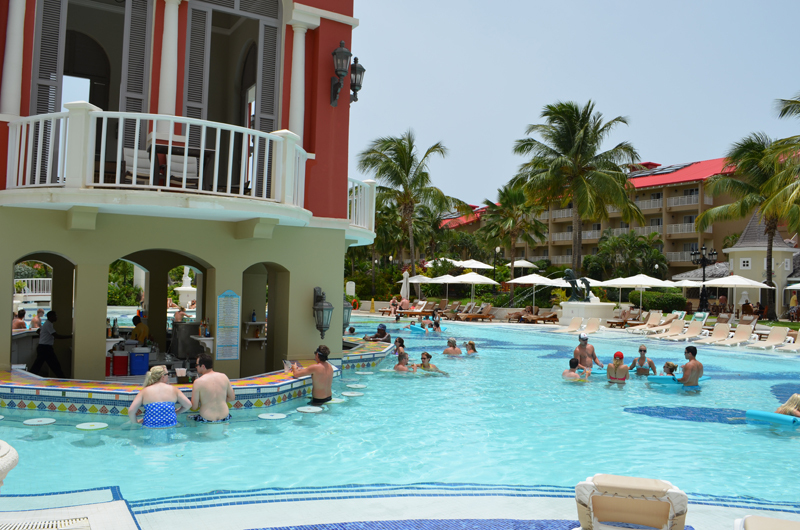 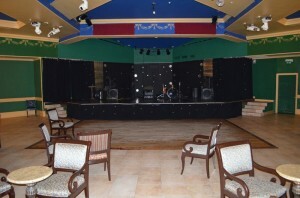 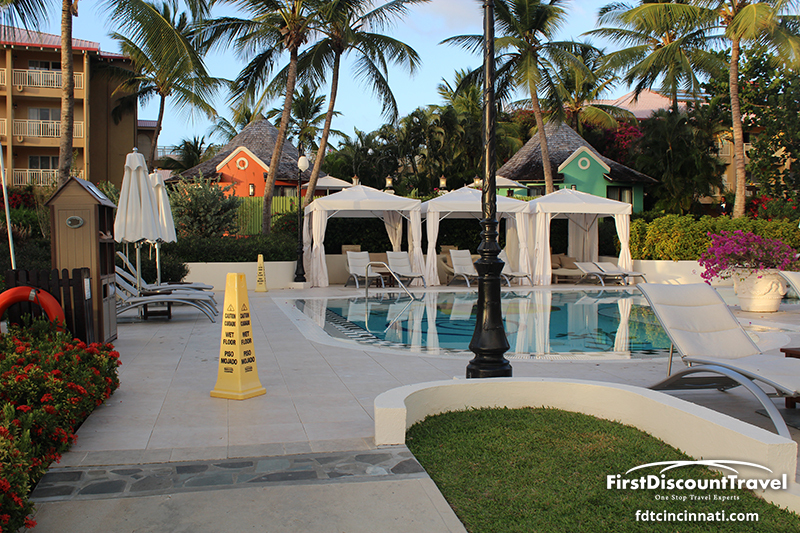 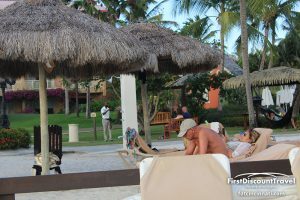 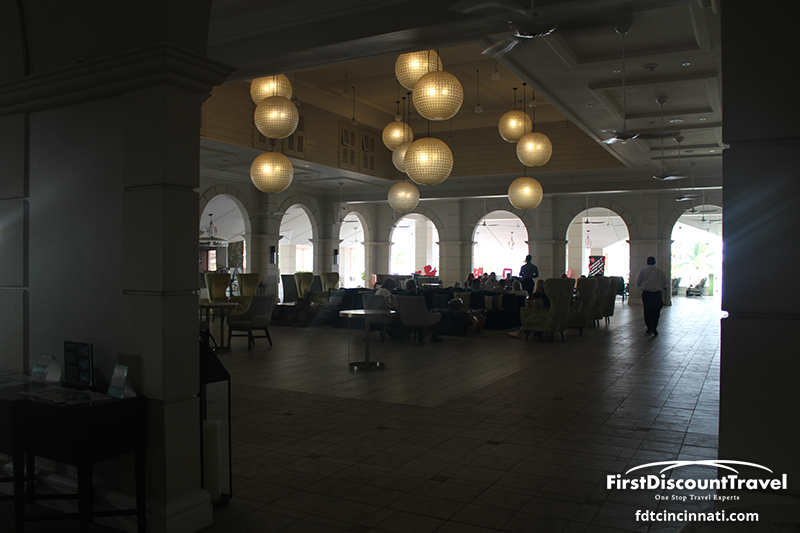 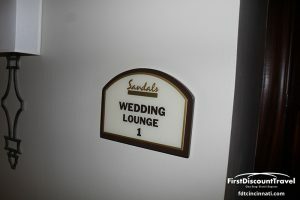 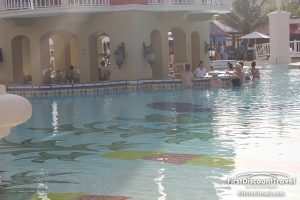 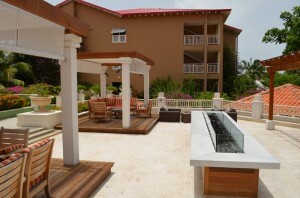 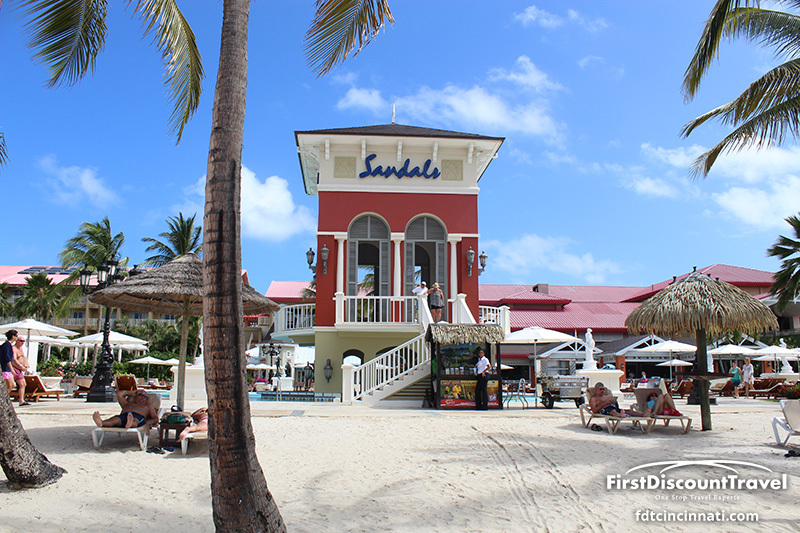 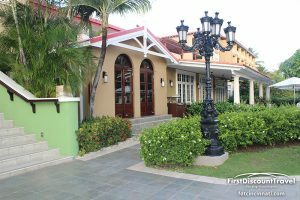 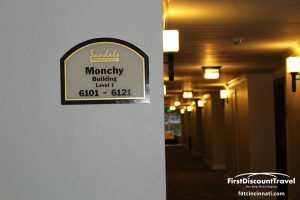 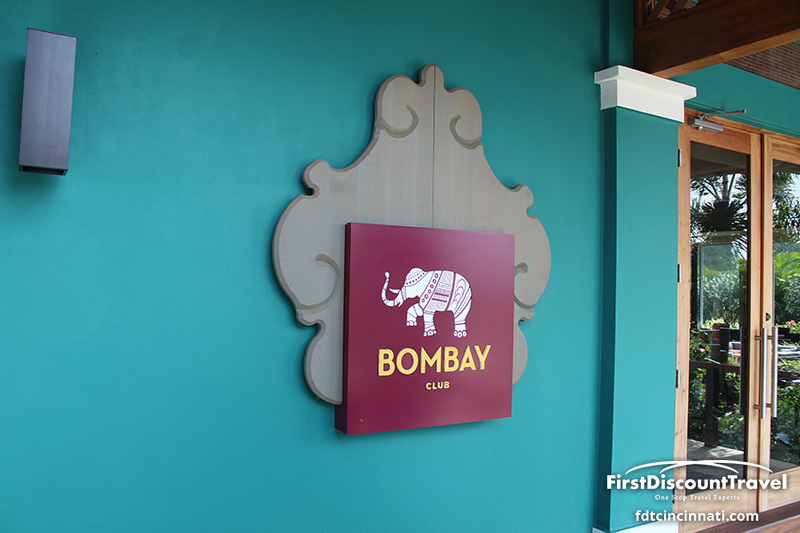 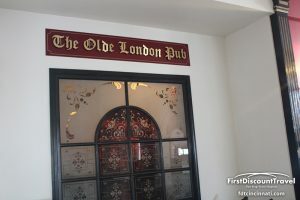 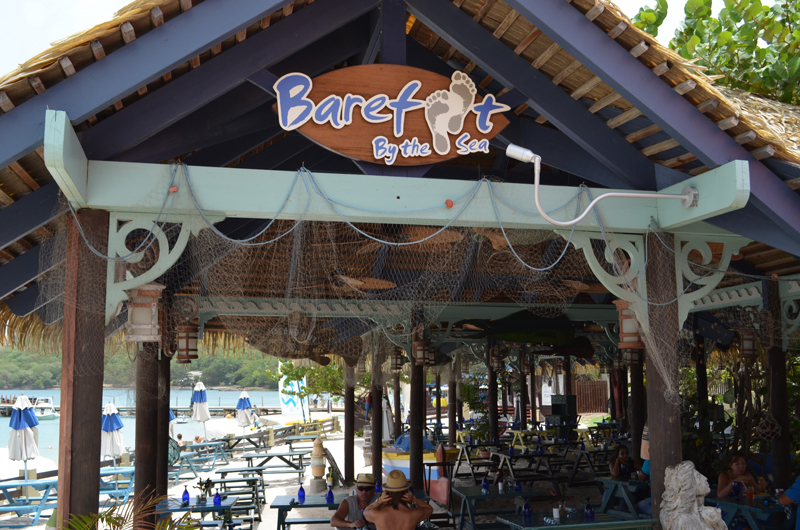 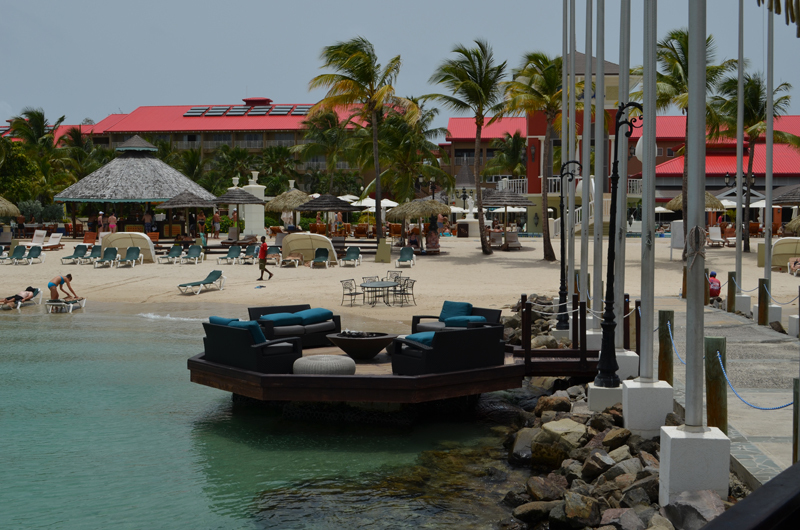 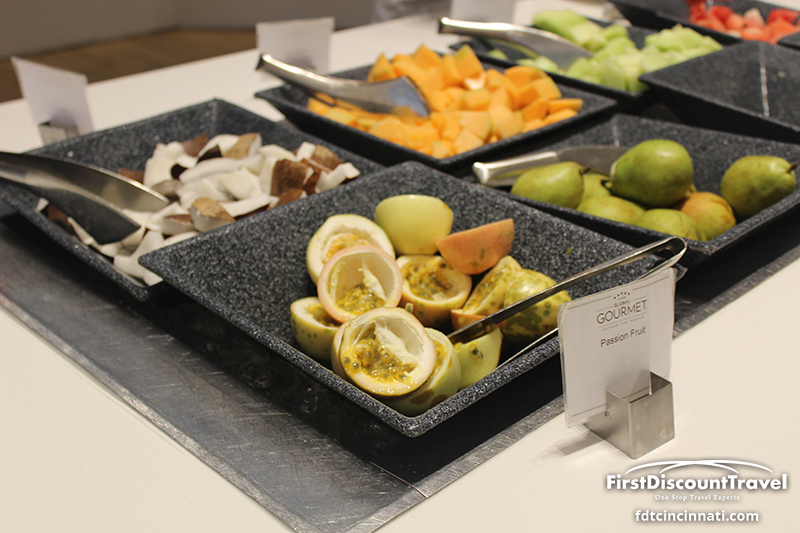 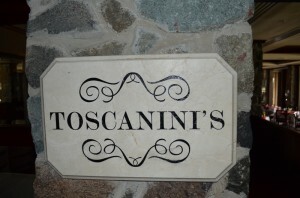 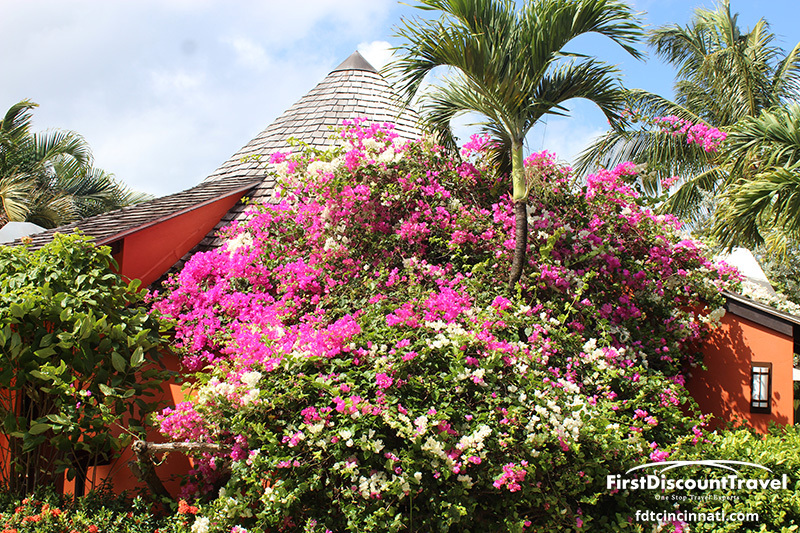 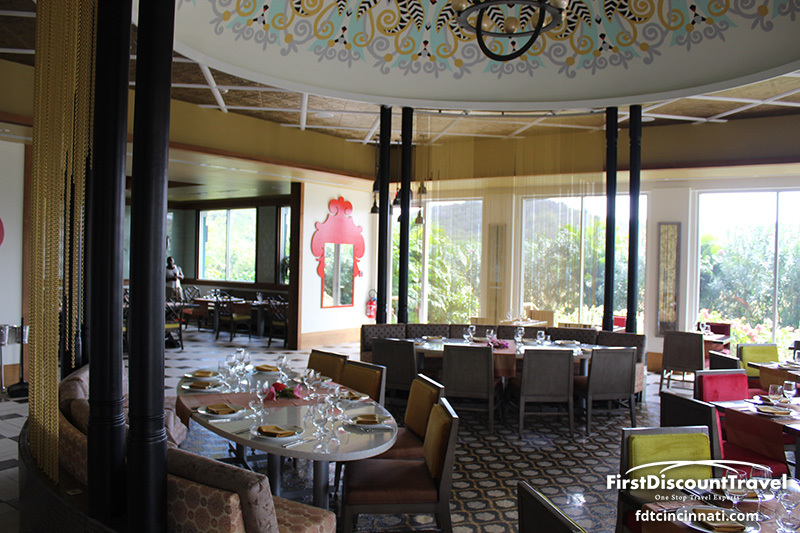 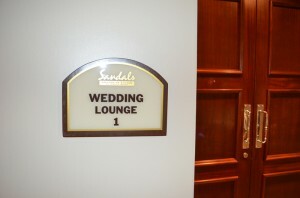 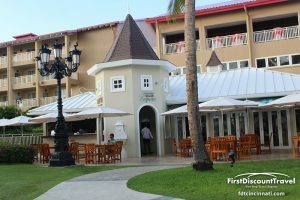 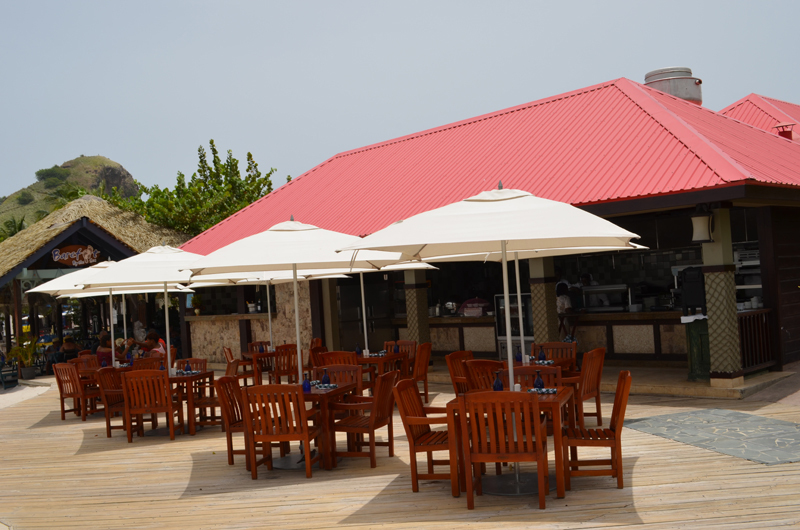 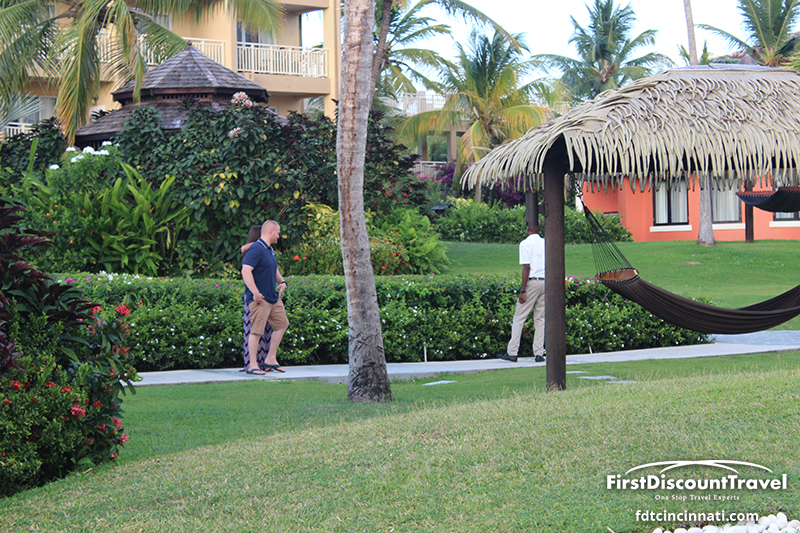 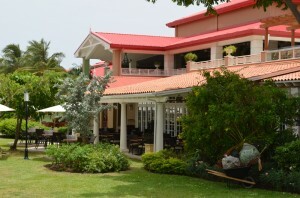 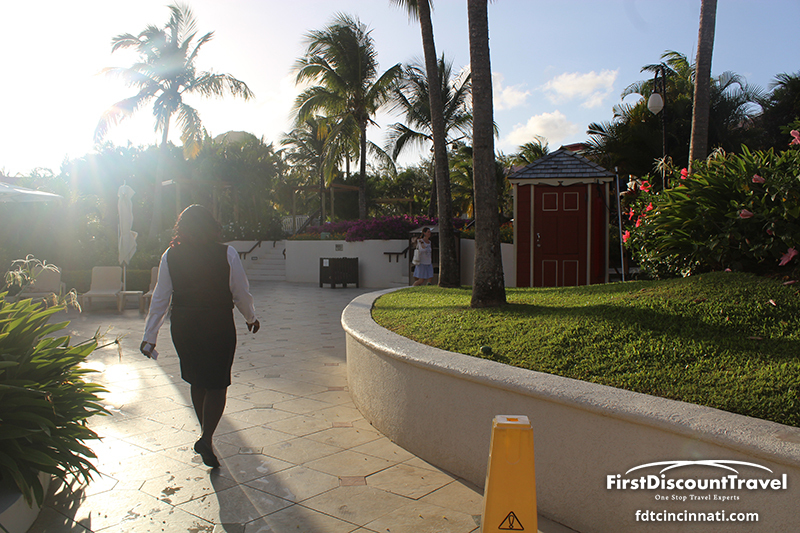 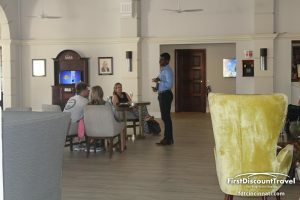 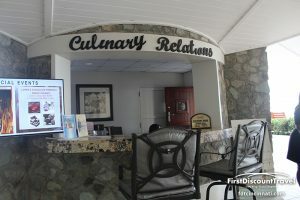 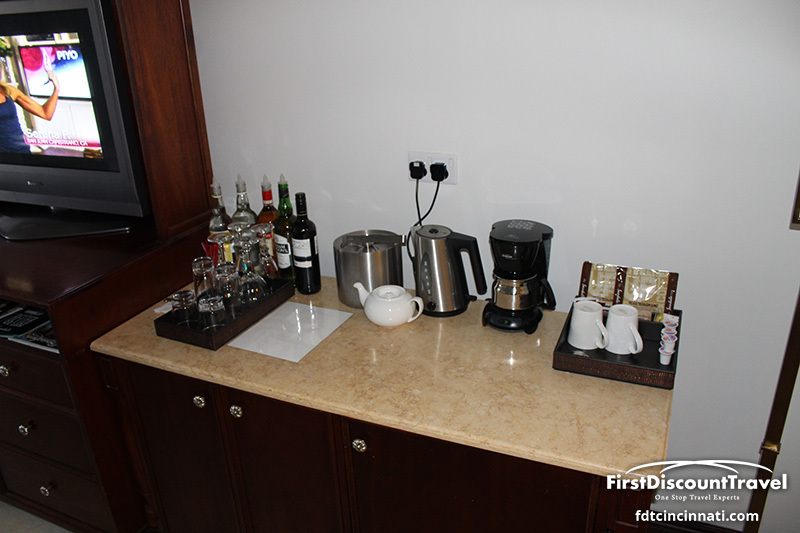 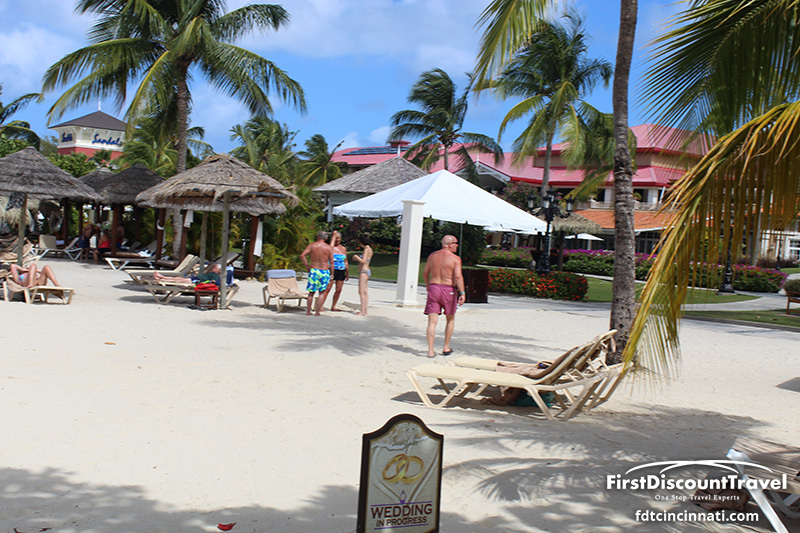 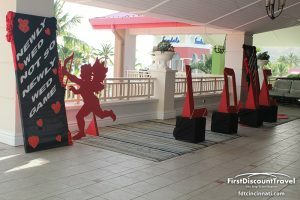 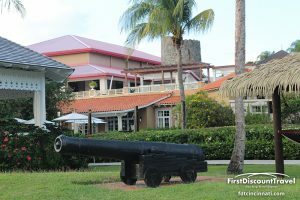 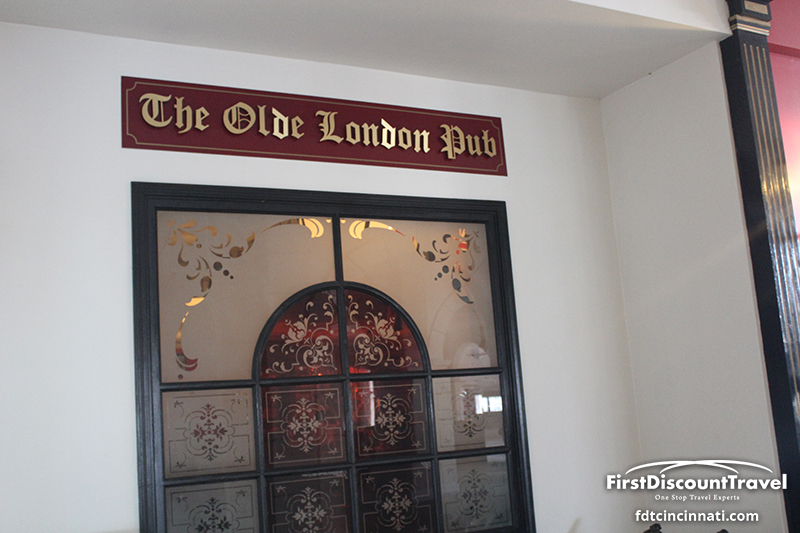 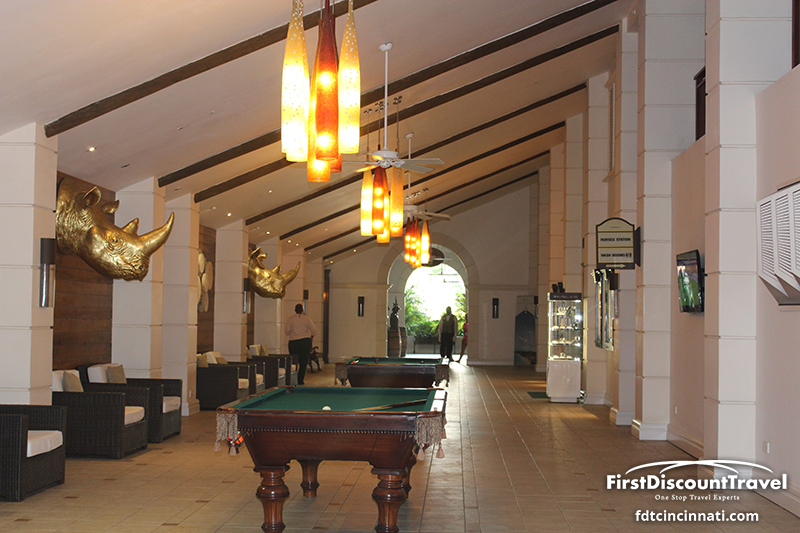 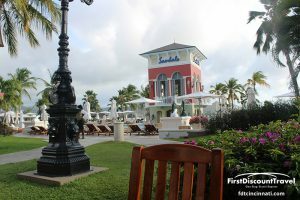 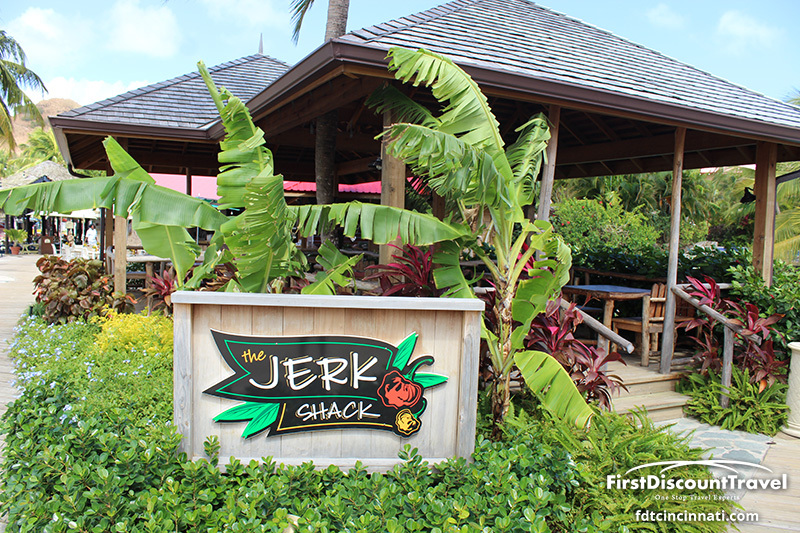 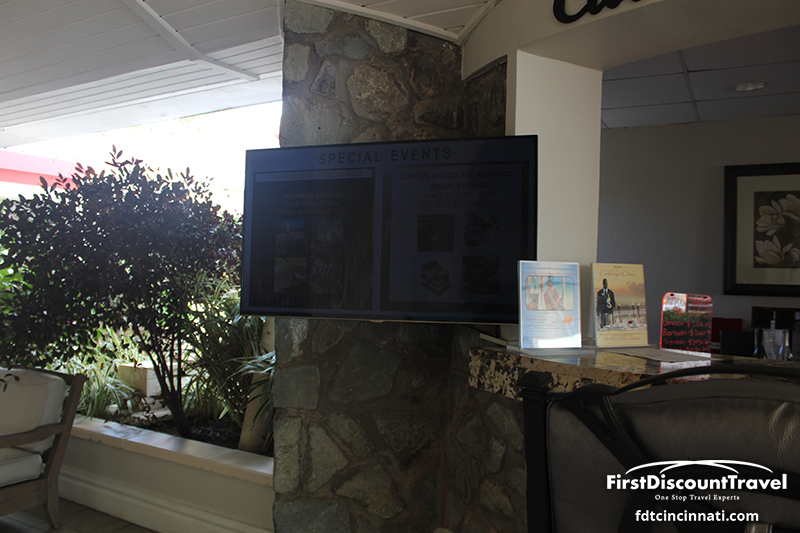 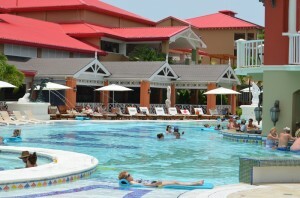 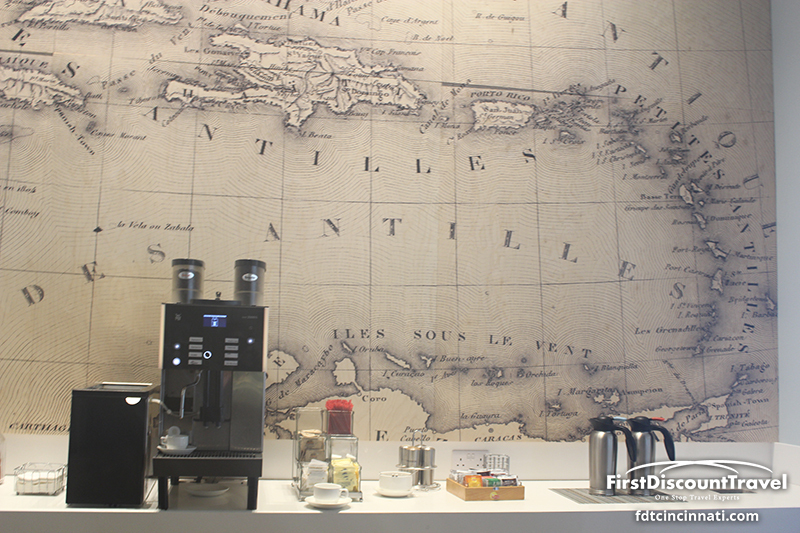 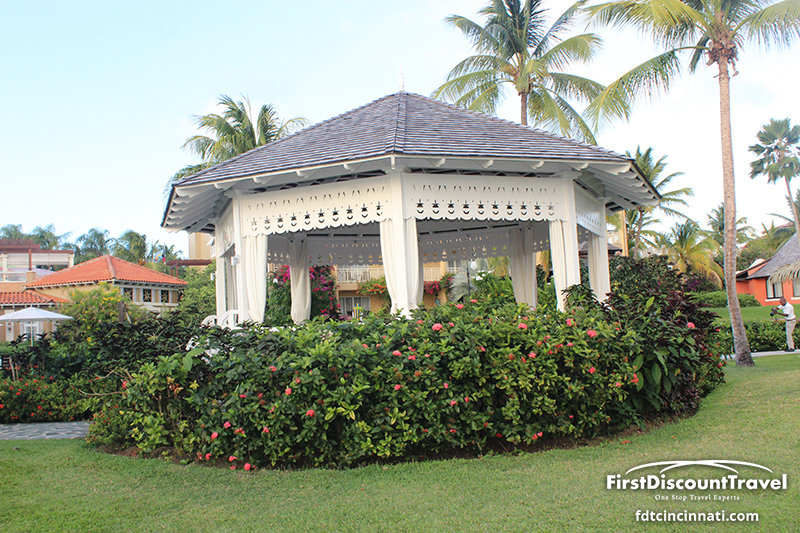 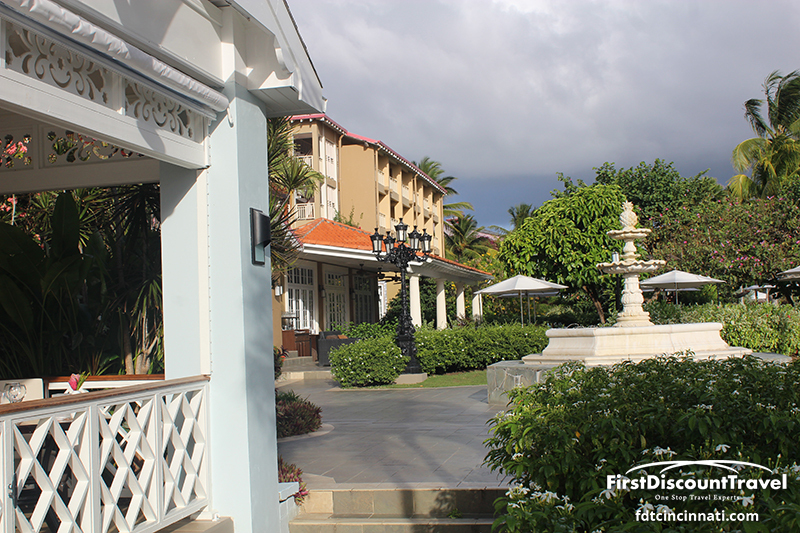 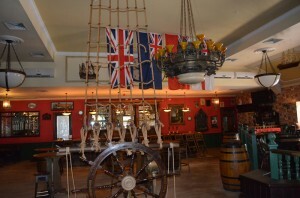 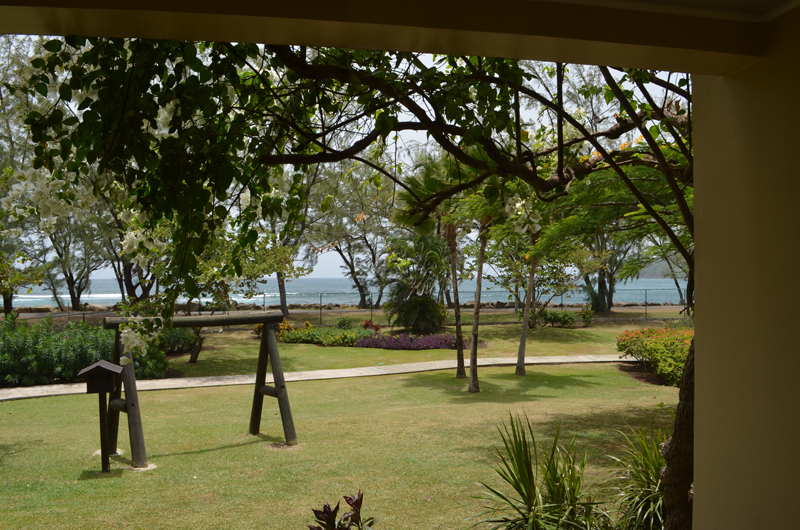 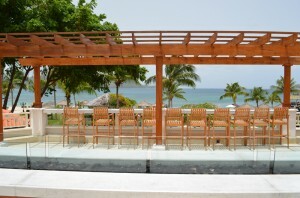 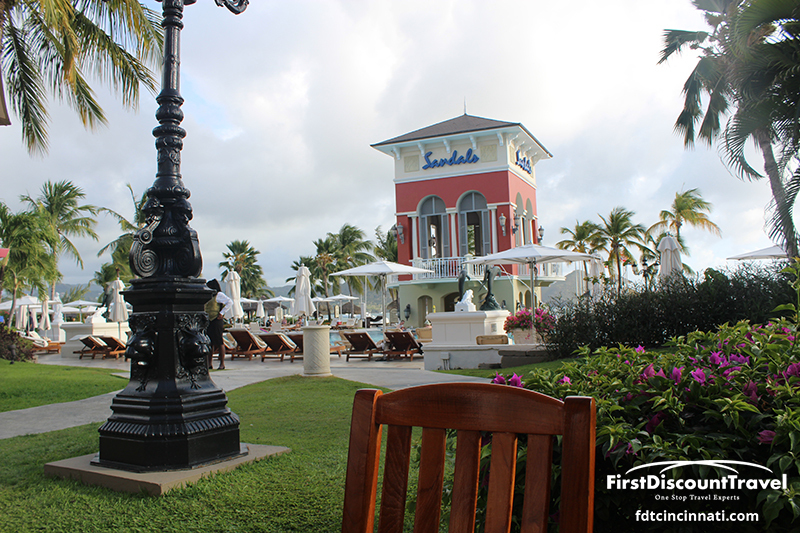 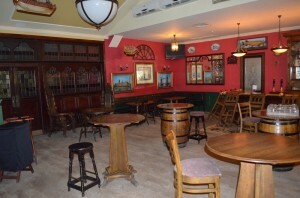 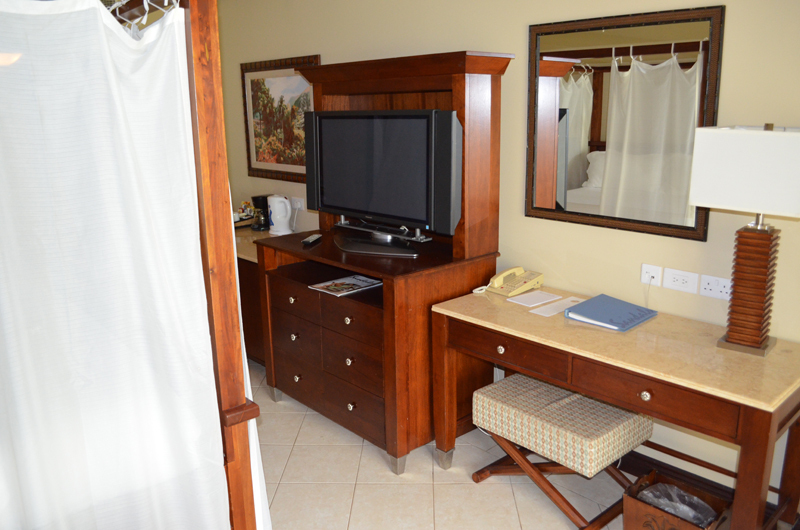 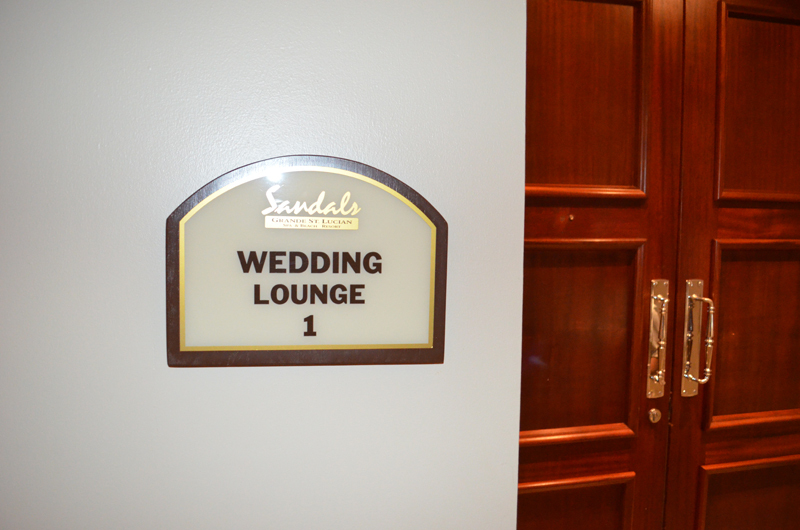 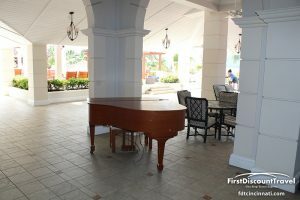 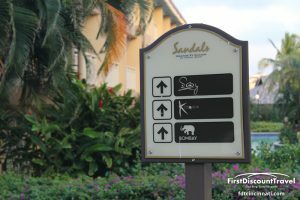 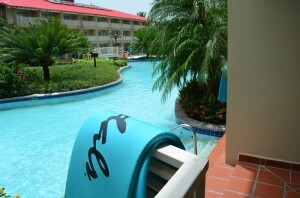 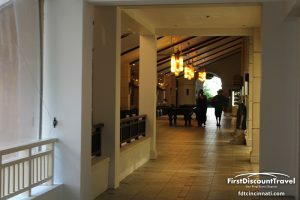 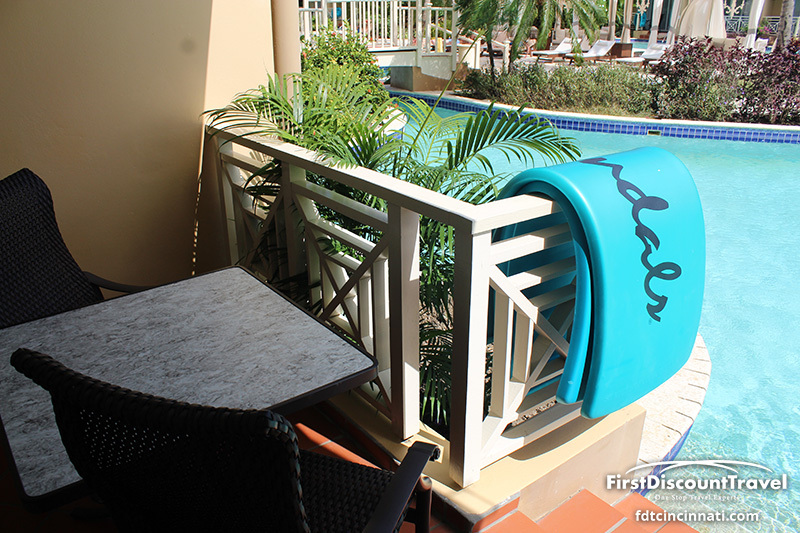 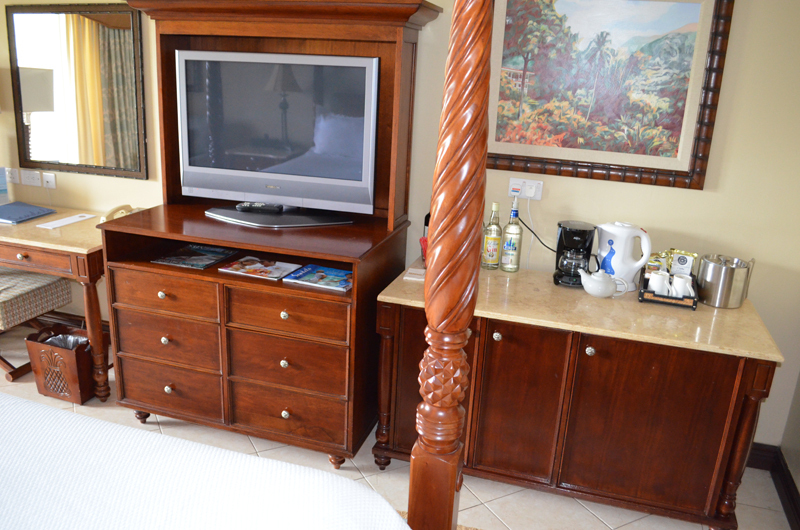 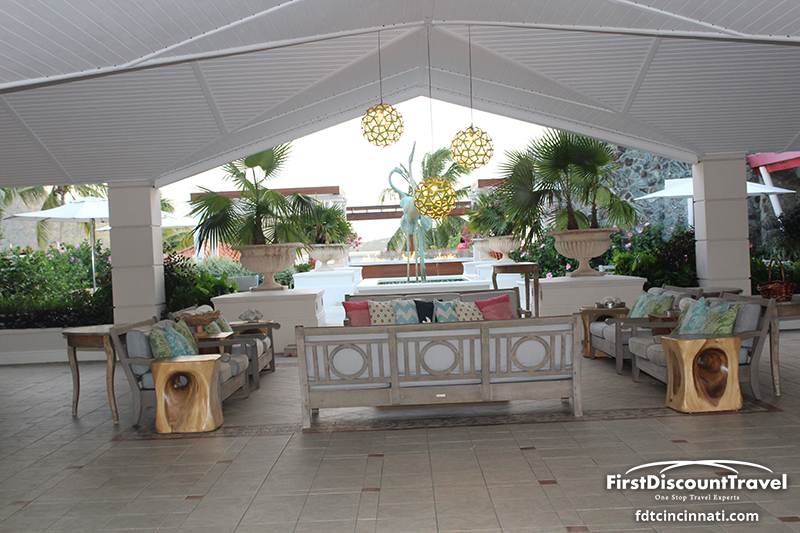 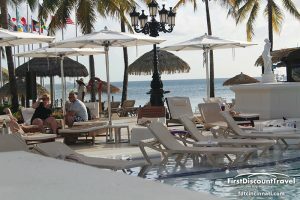 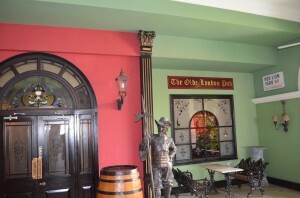 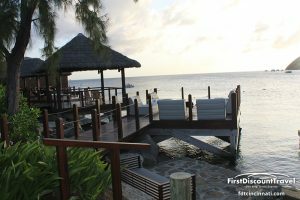 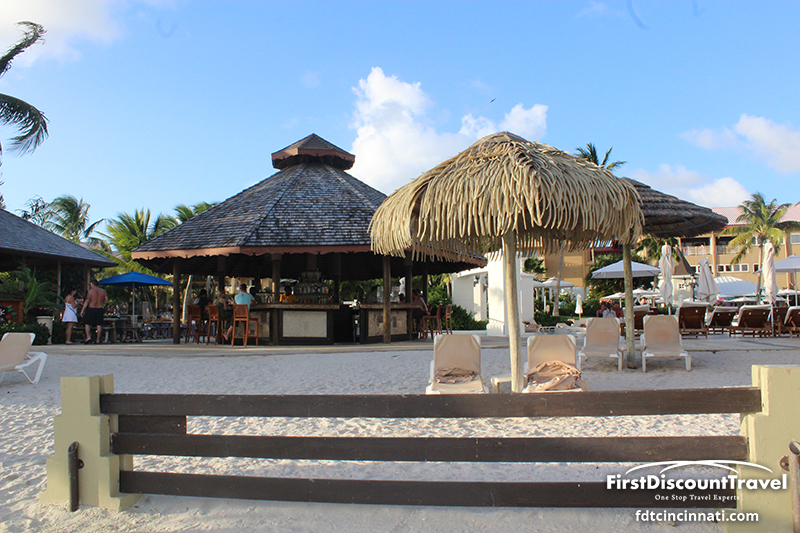 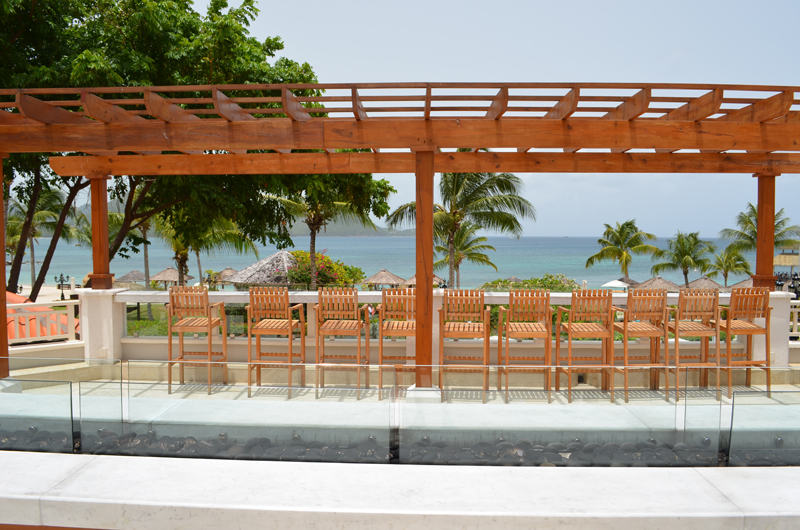 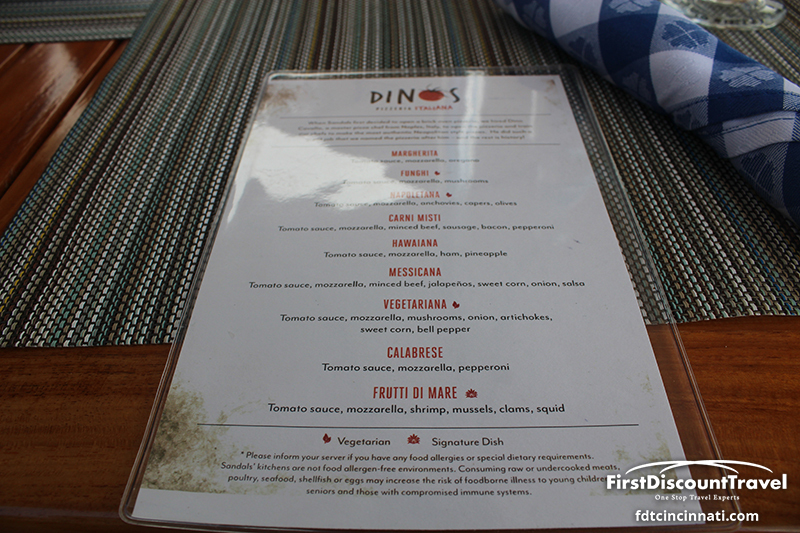 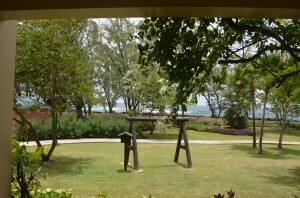 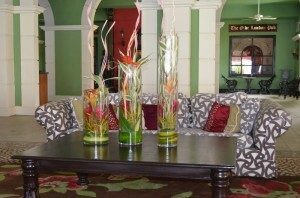 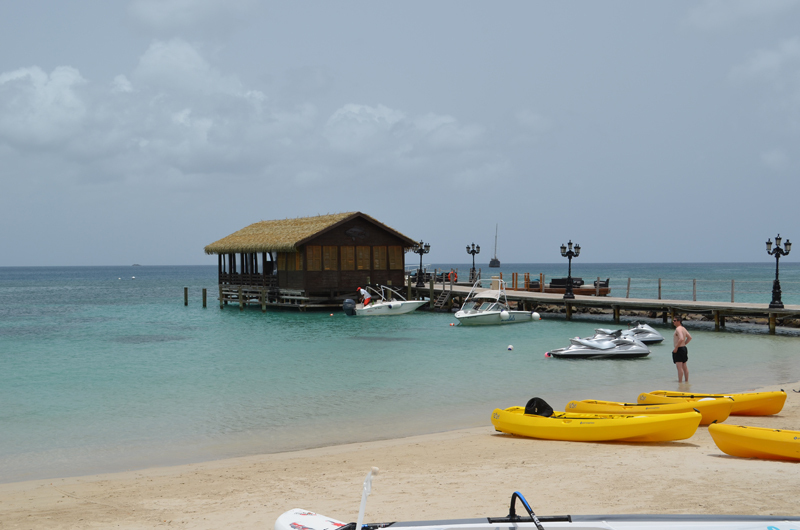 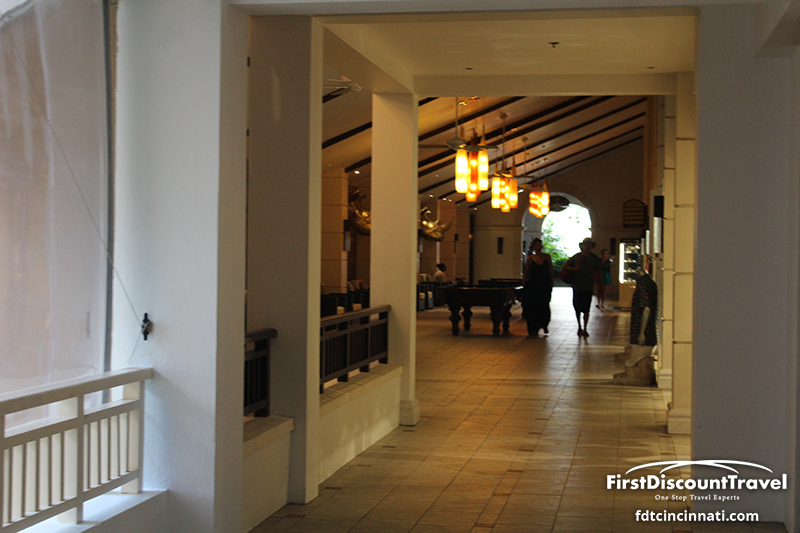 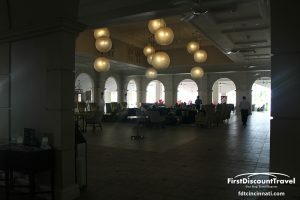 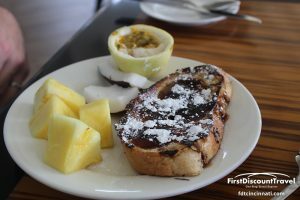 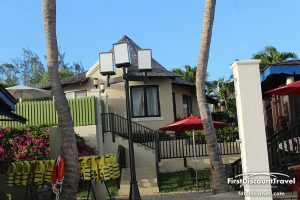 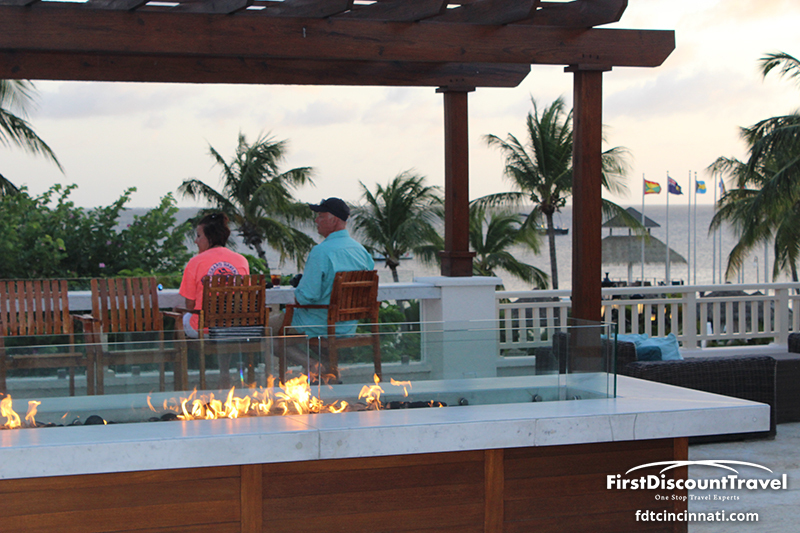 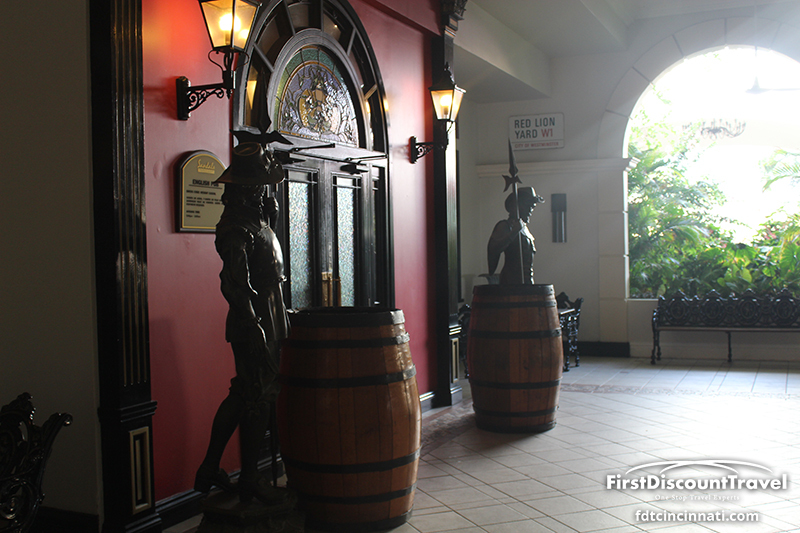 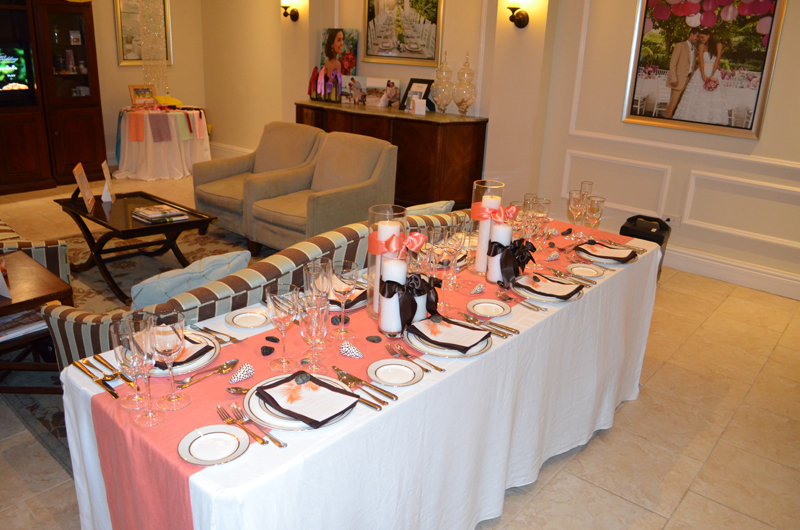 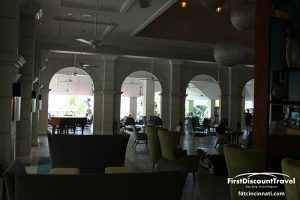 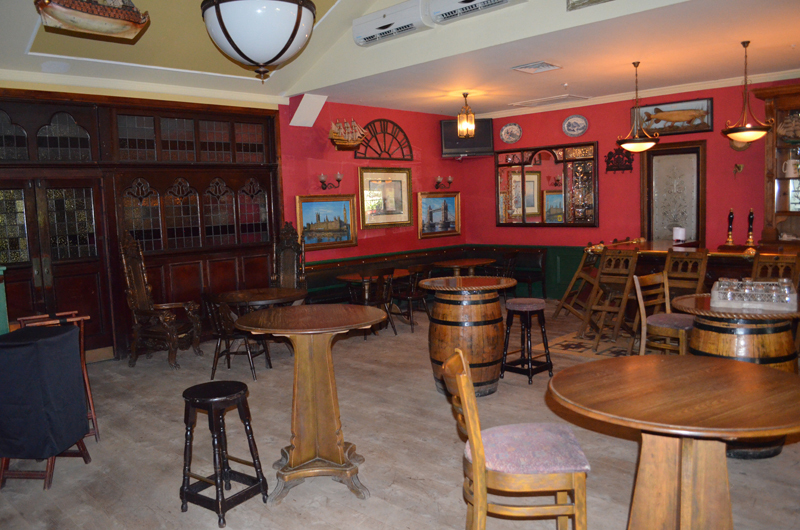 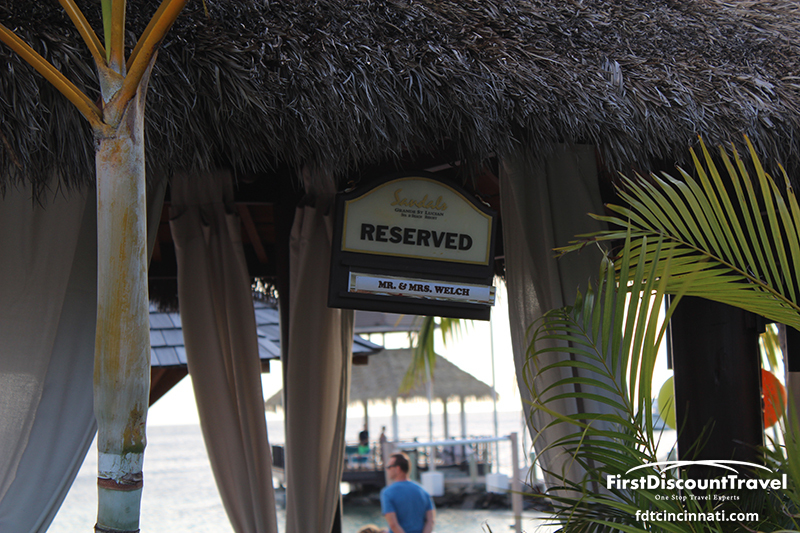 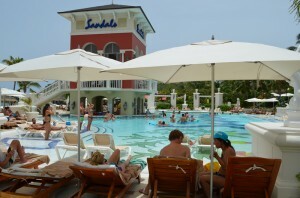 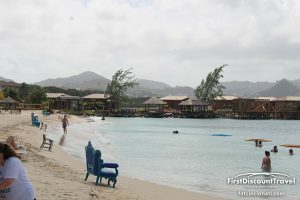 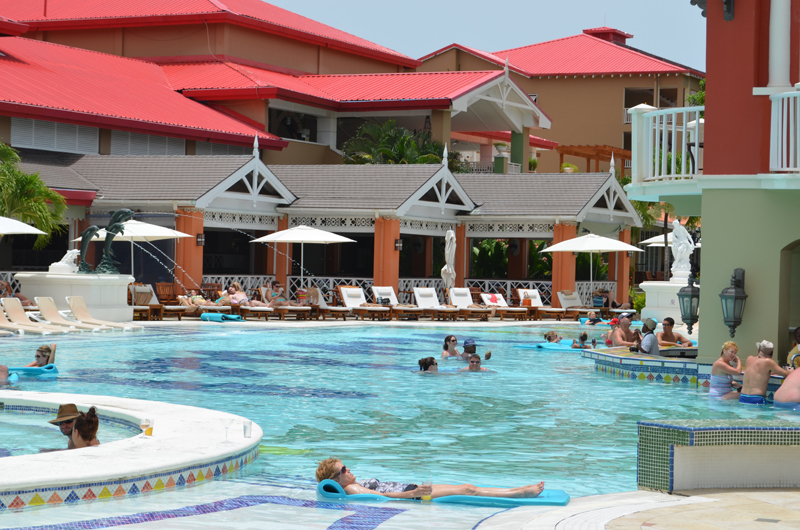 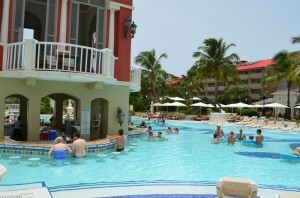 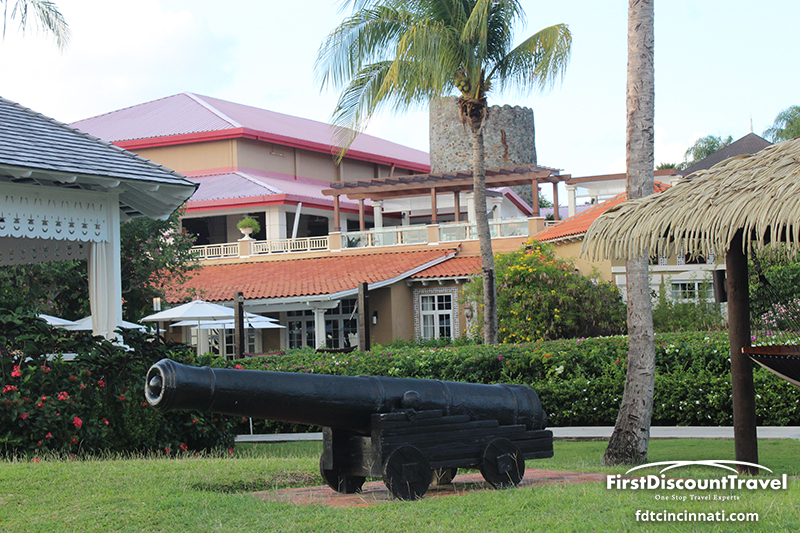 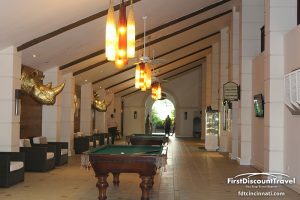 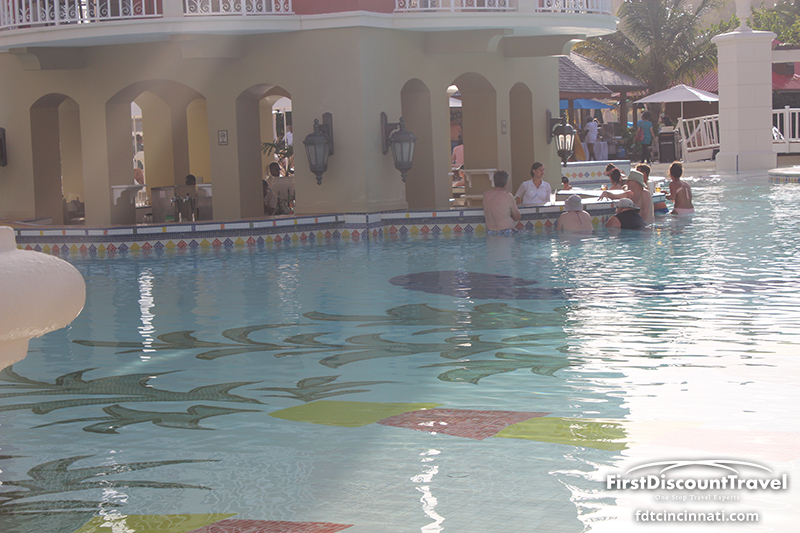 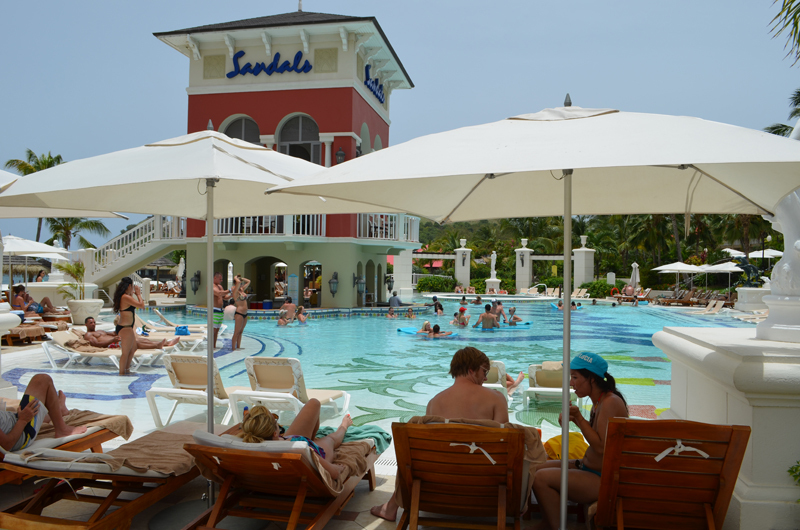 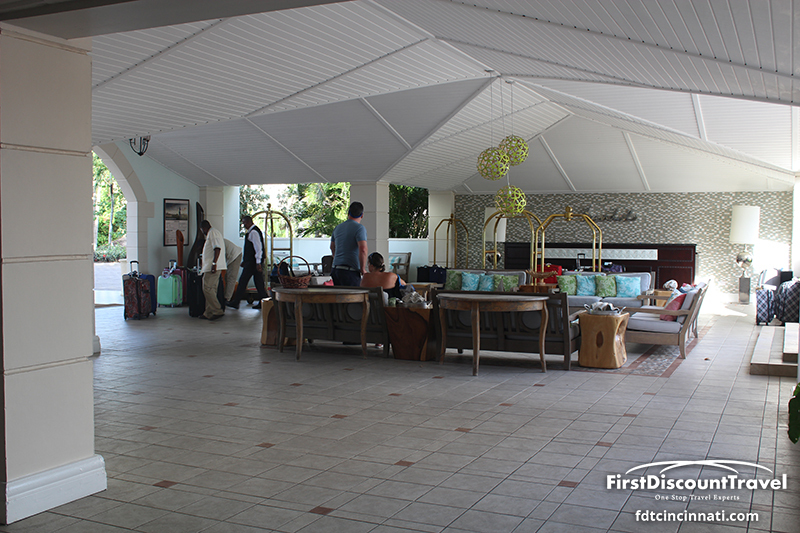 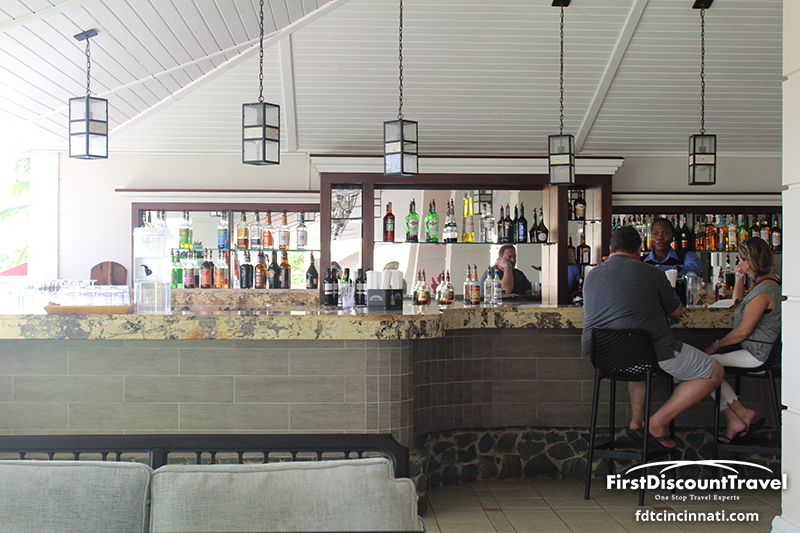 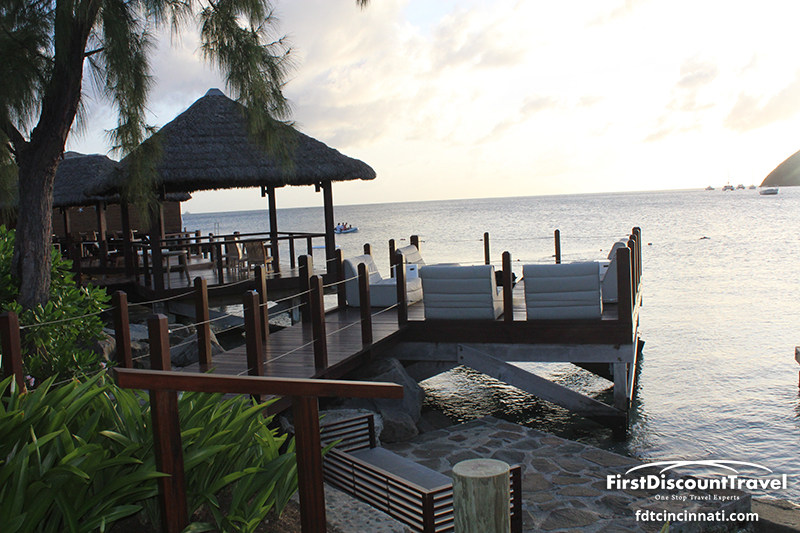 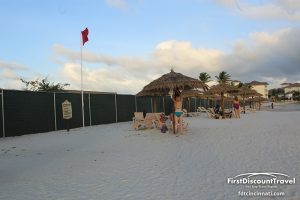 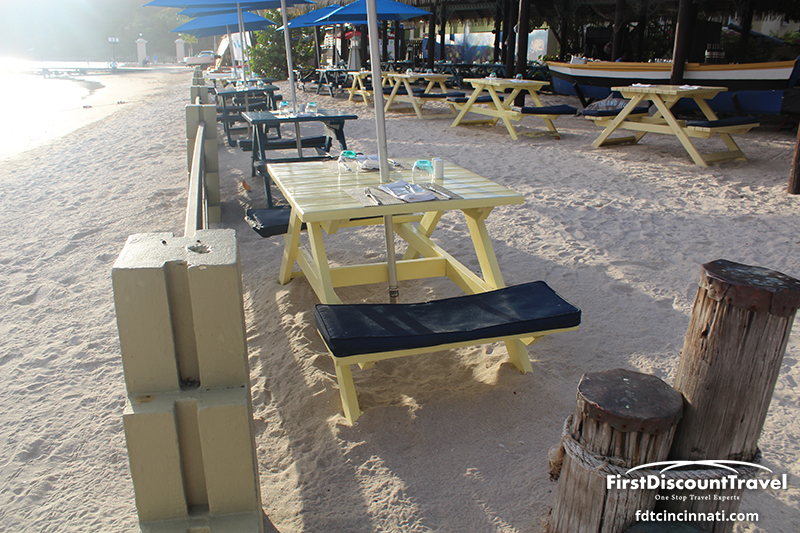 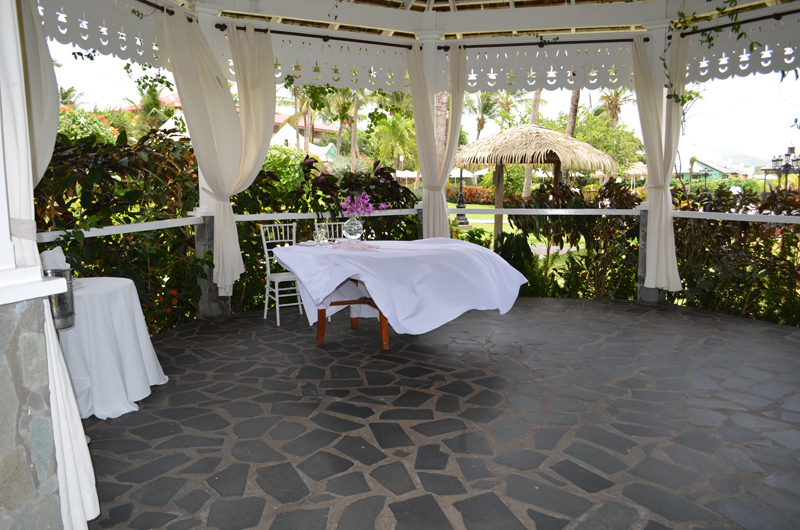 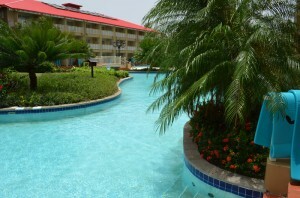 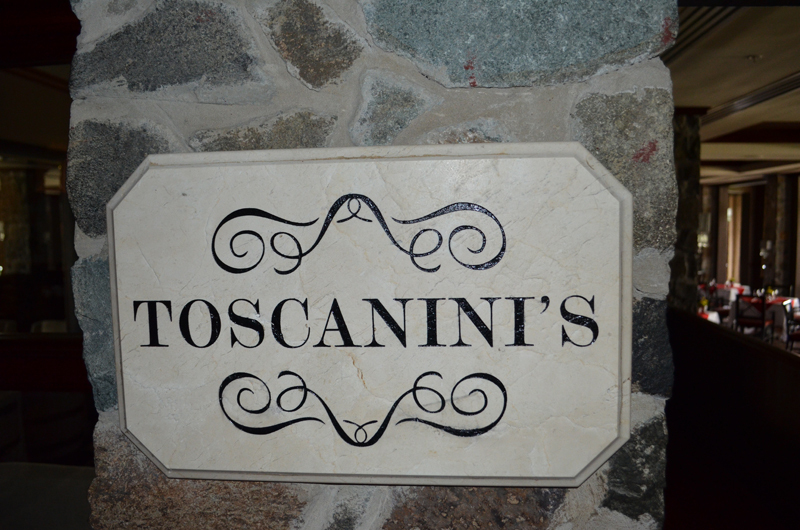 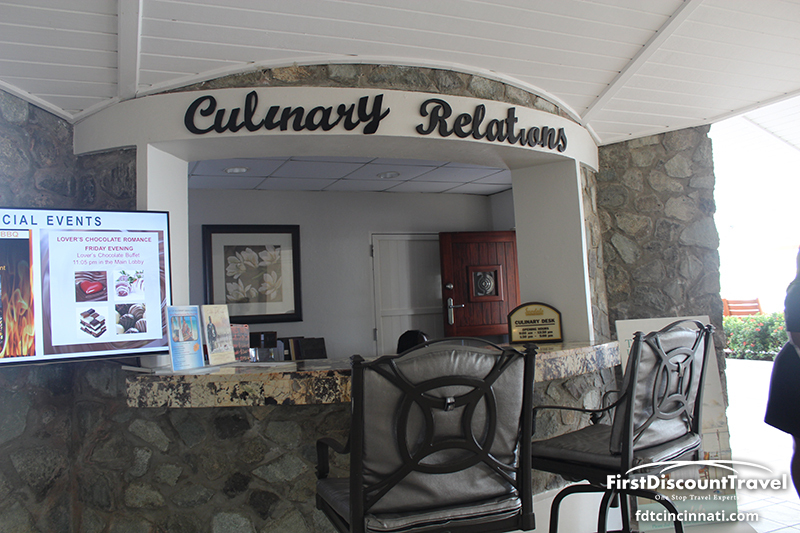 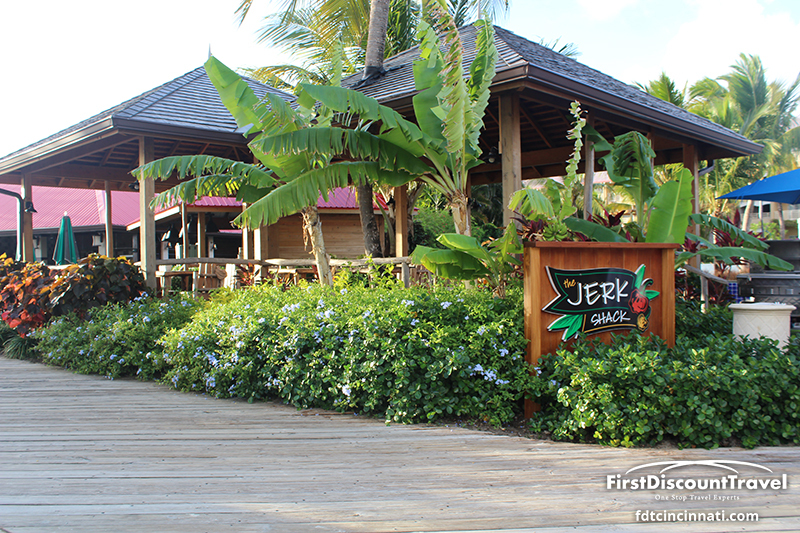 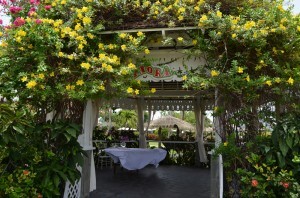 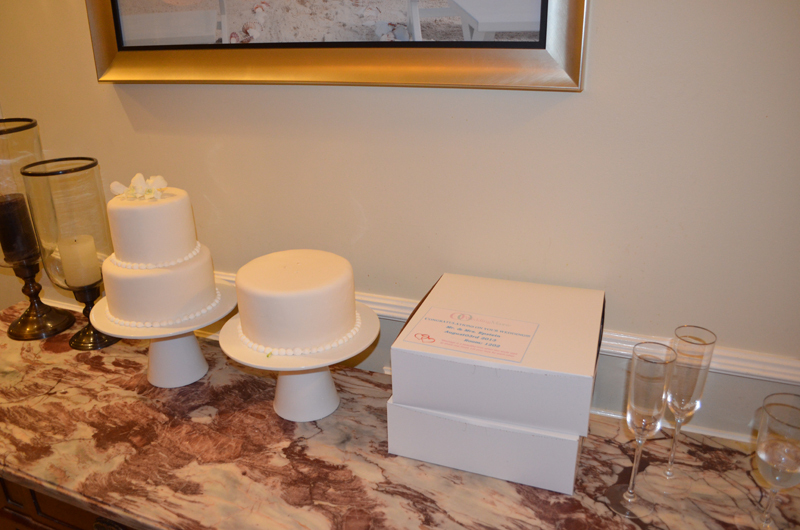 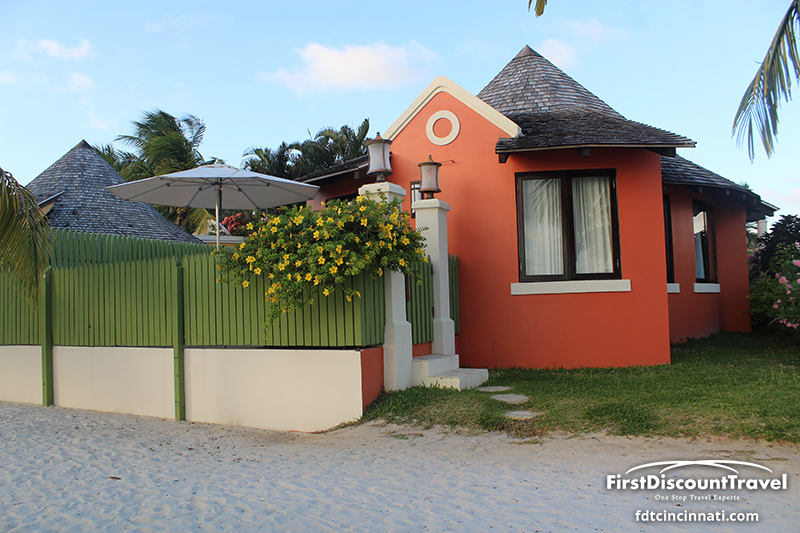 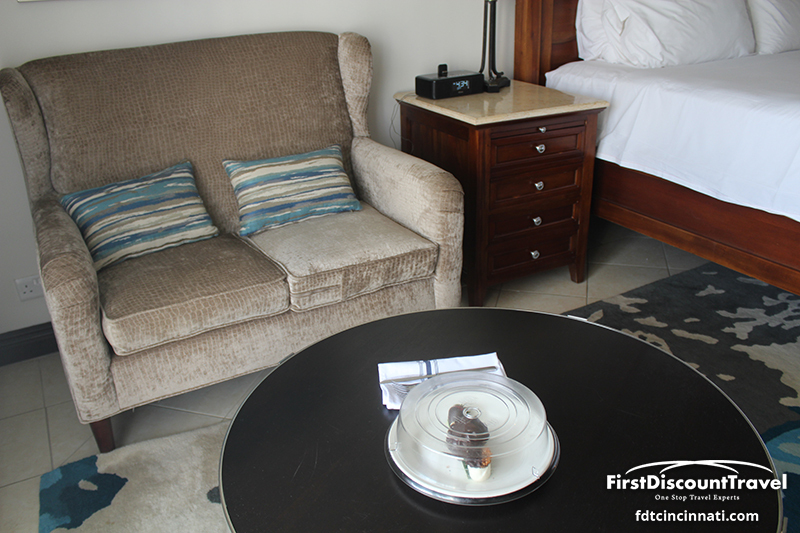 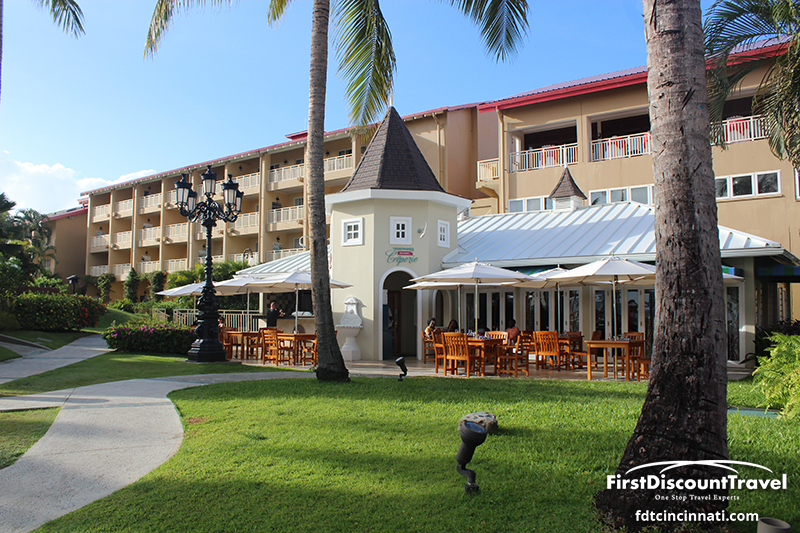 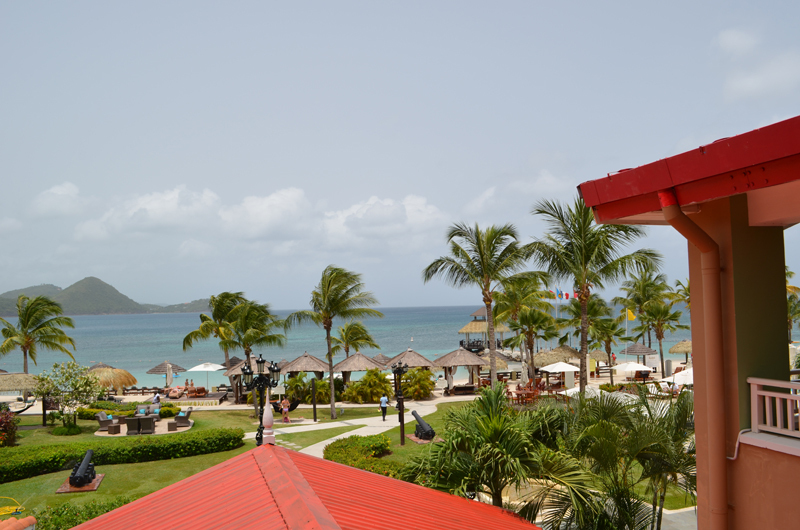 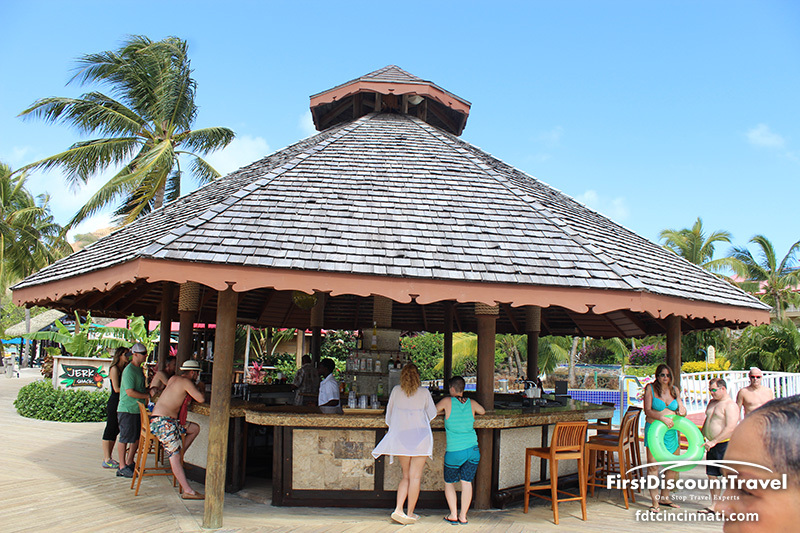 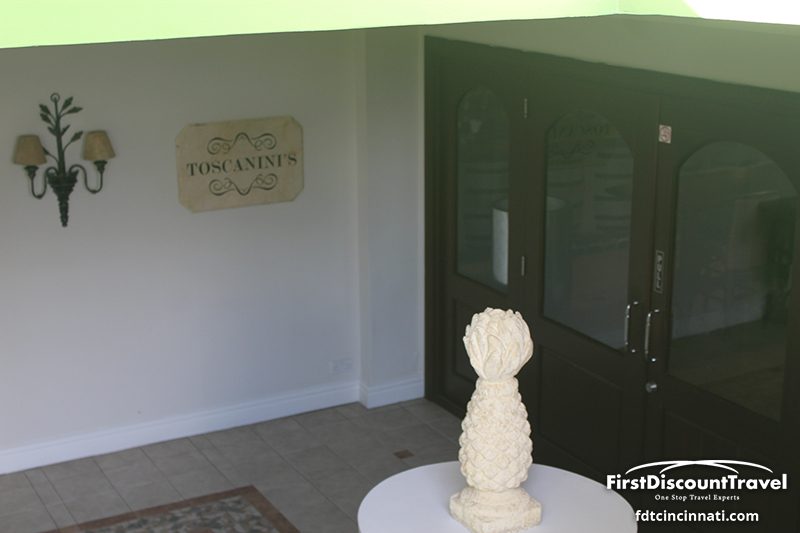 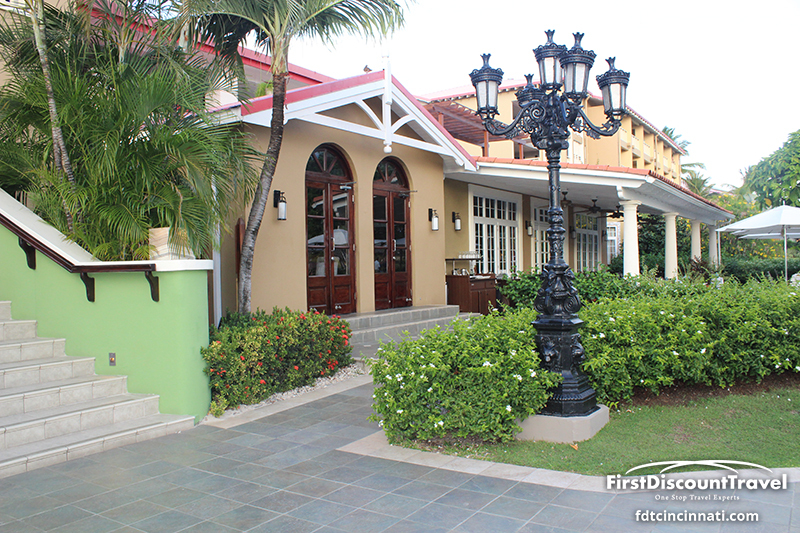 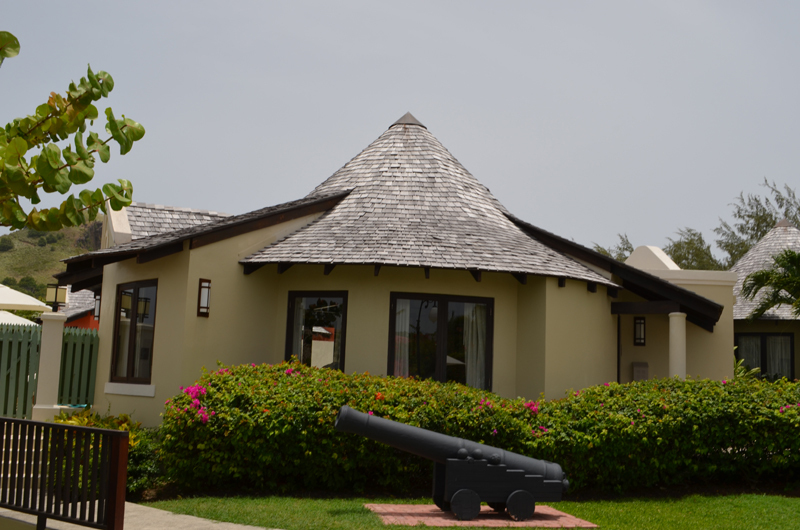 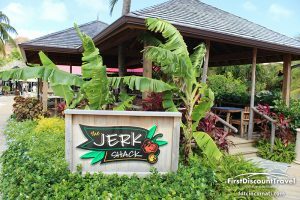 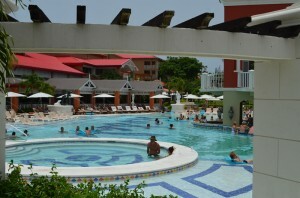 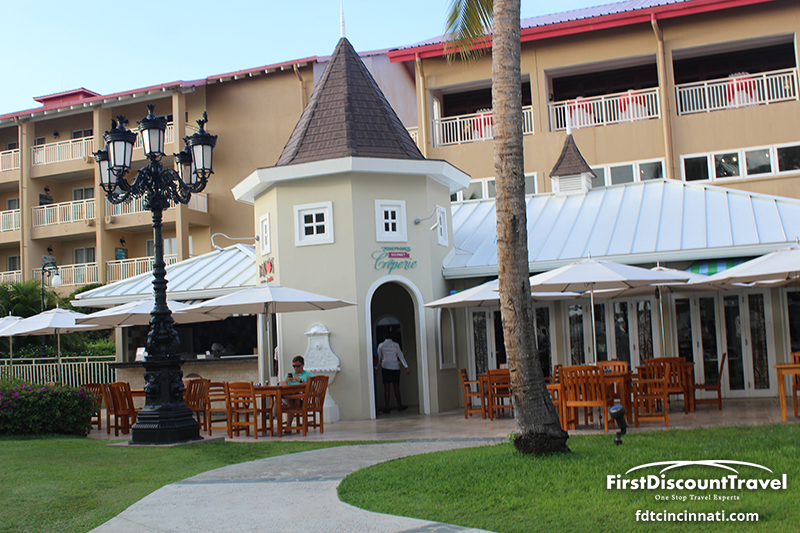 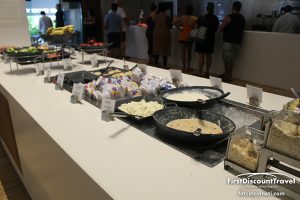 There are eight restaurants onsite with access to 16 additional restaurants at the other two Sandals properties. 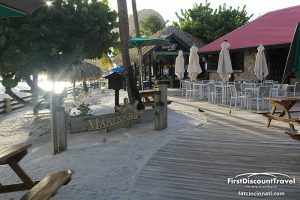 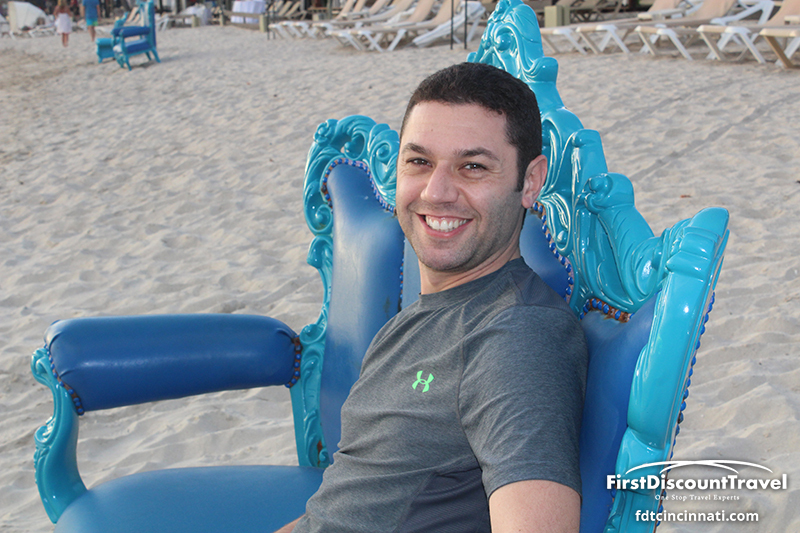 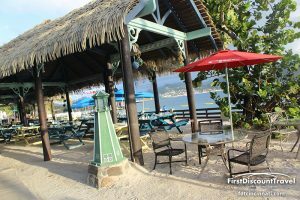 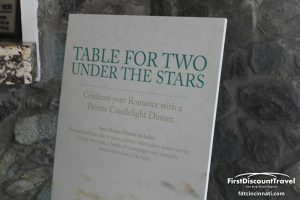 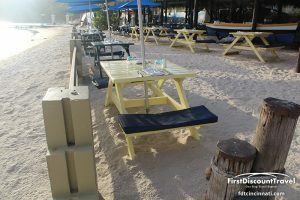 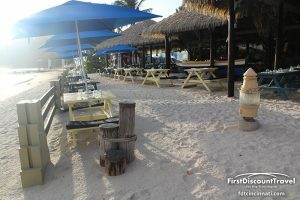 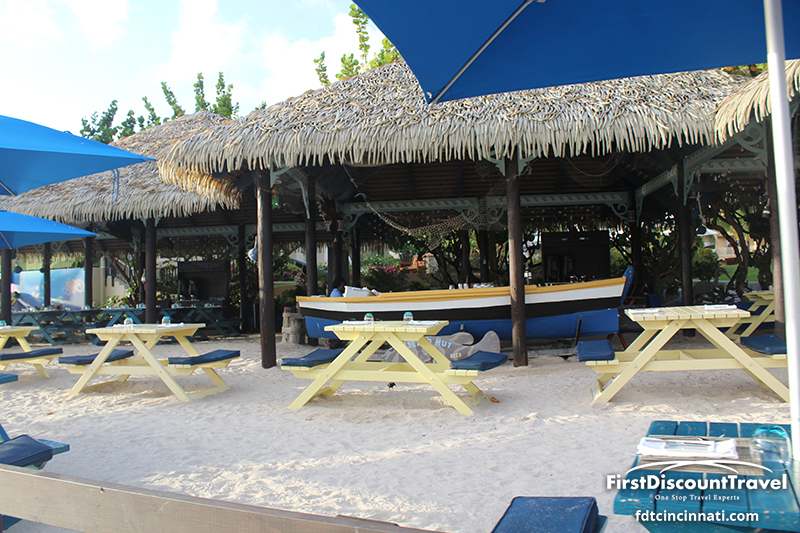 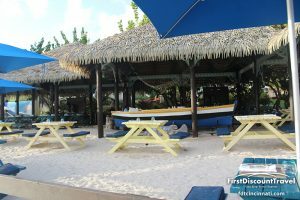 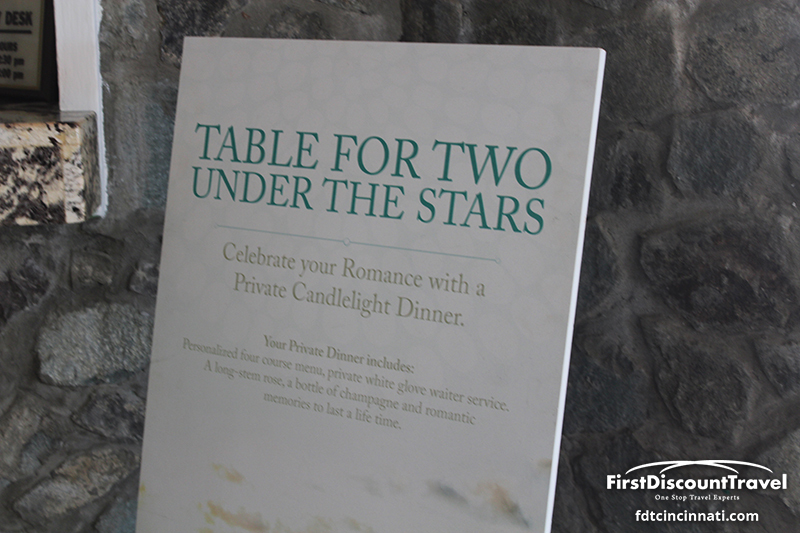 My favorite restaurant was Barefoot by the Sea (outdoor picnic table setting serving gourmet seafood). 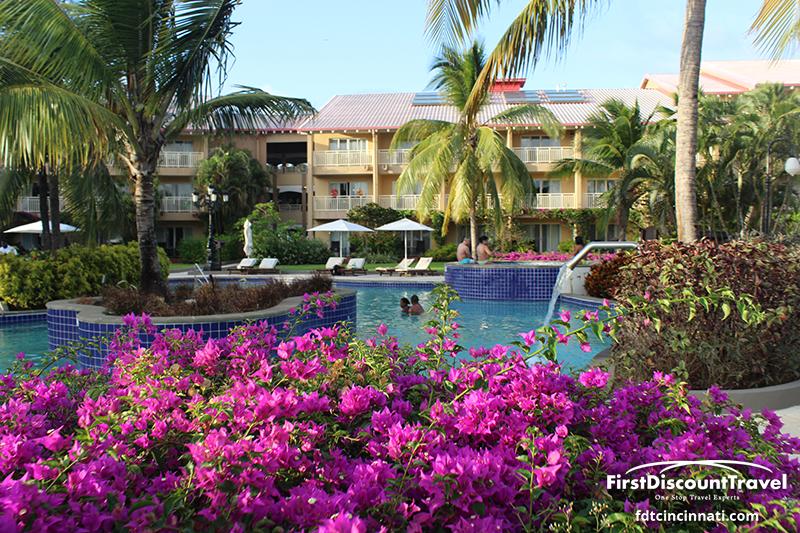 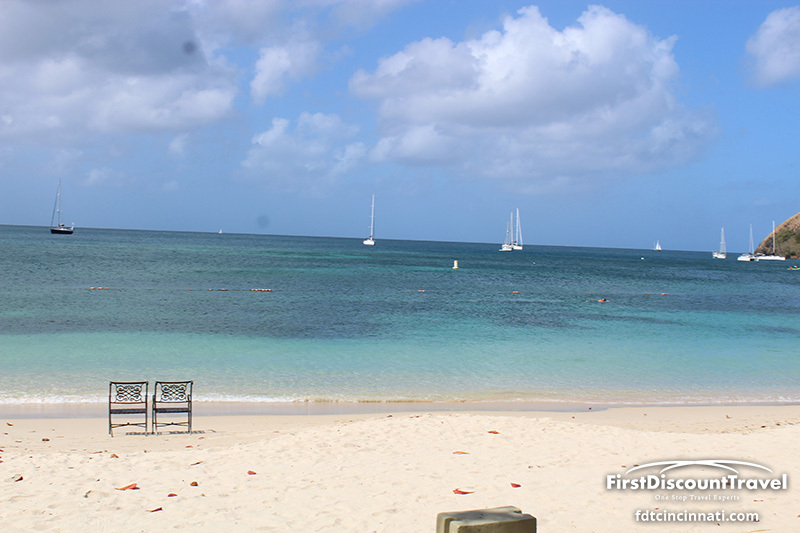 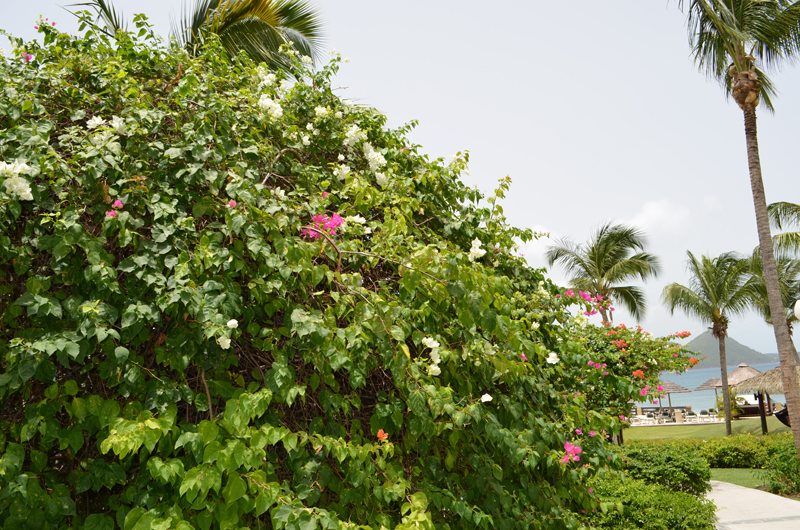 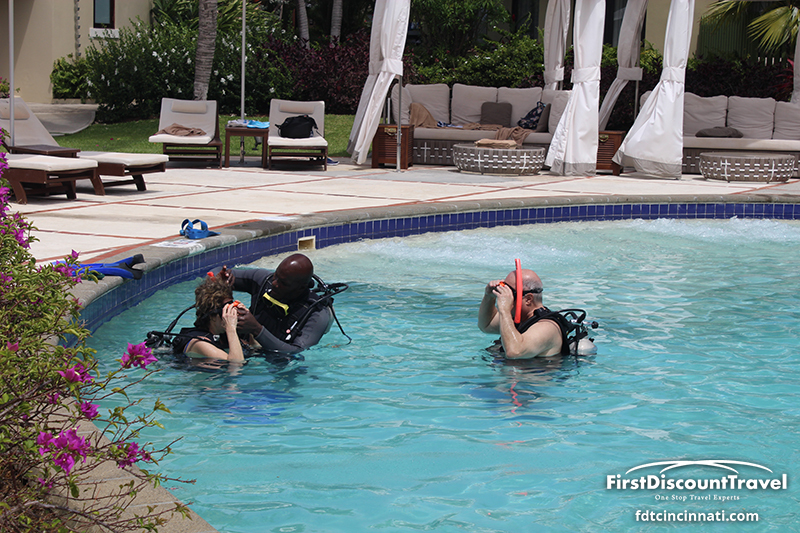 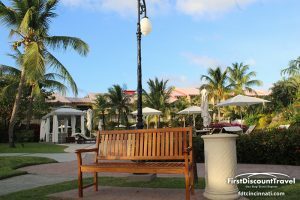 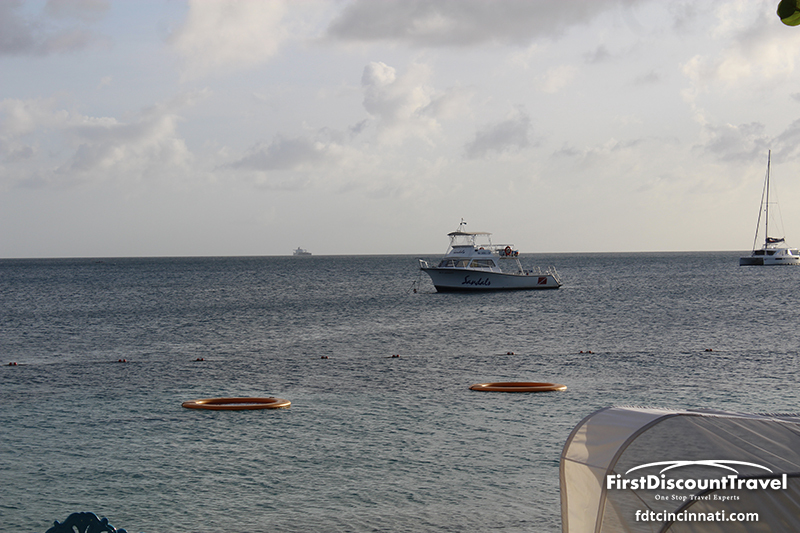 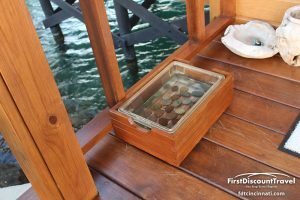 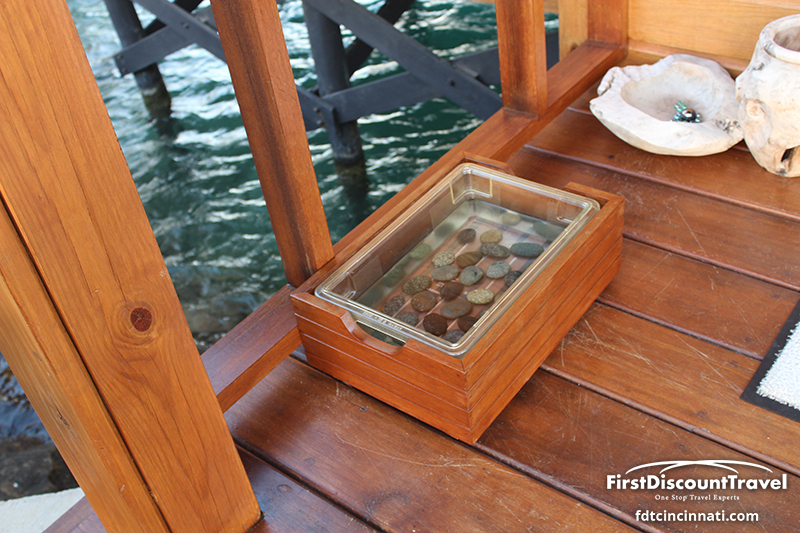 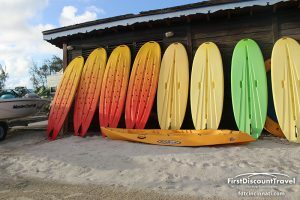 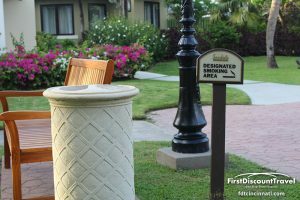 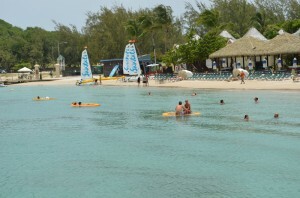 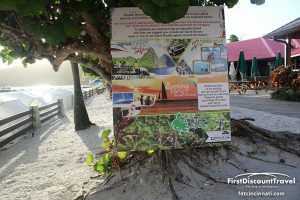 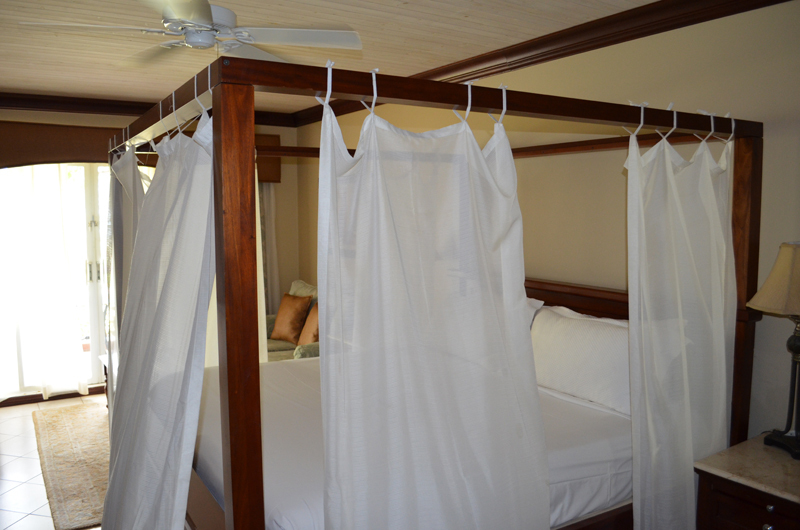 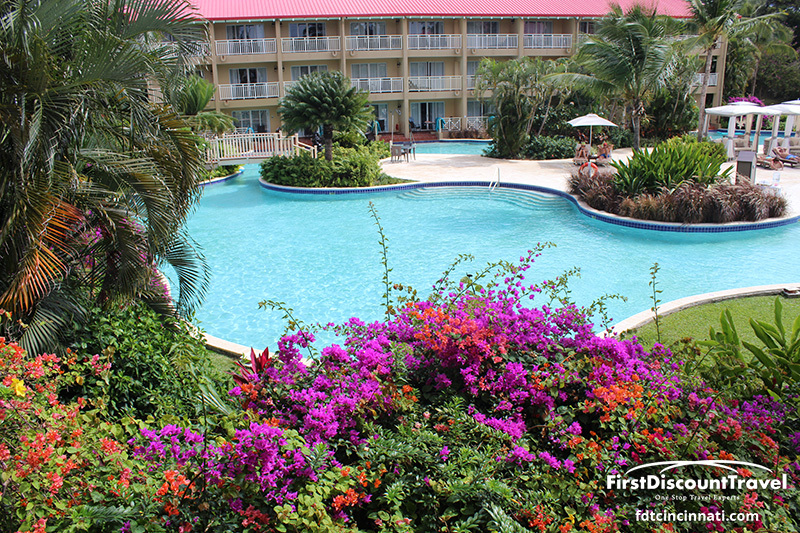 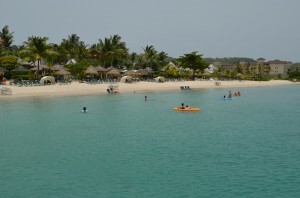 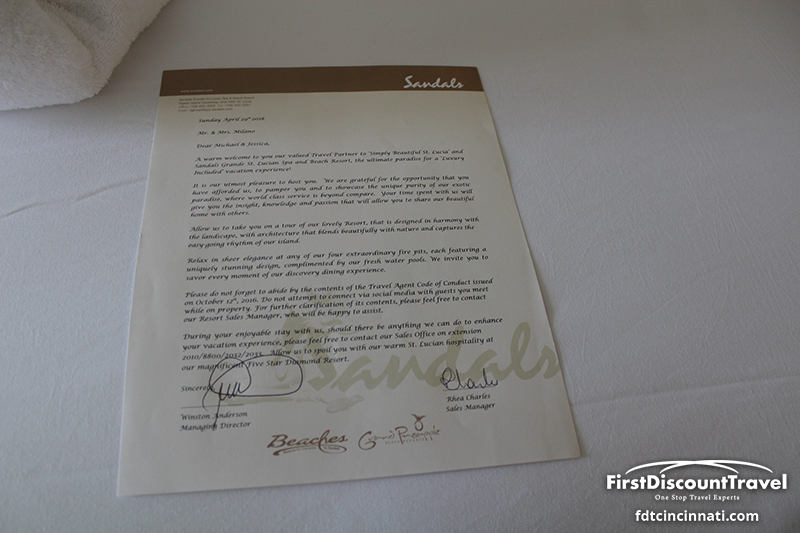 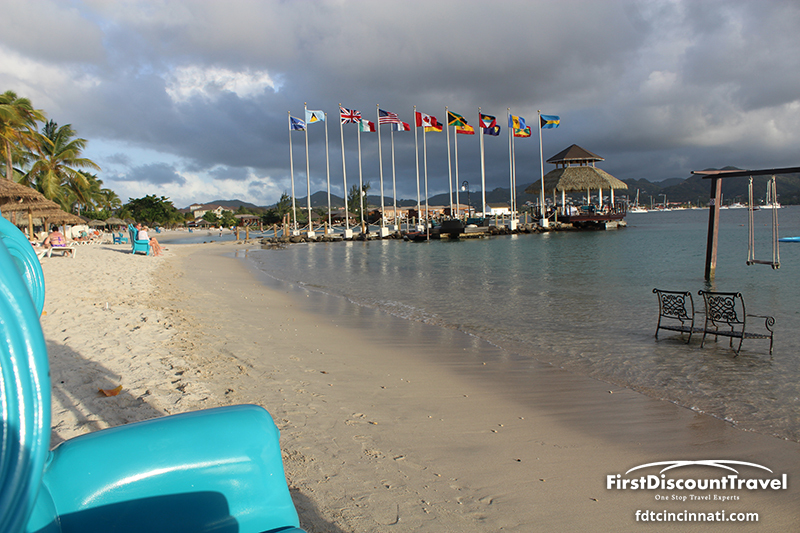 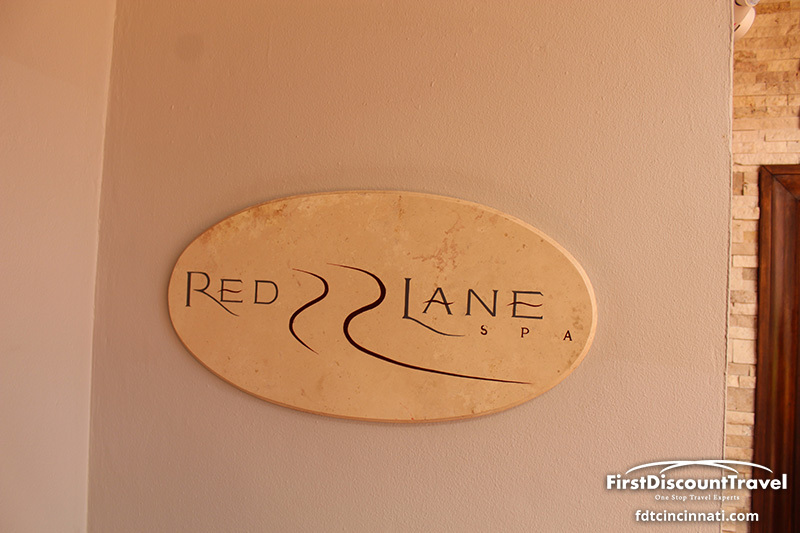 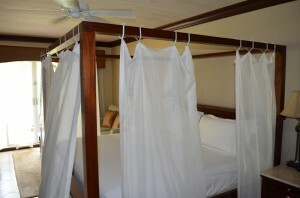 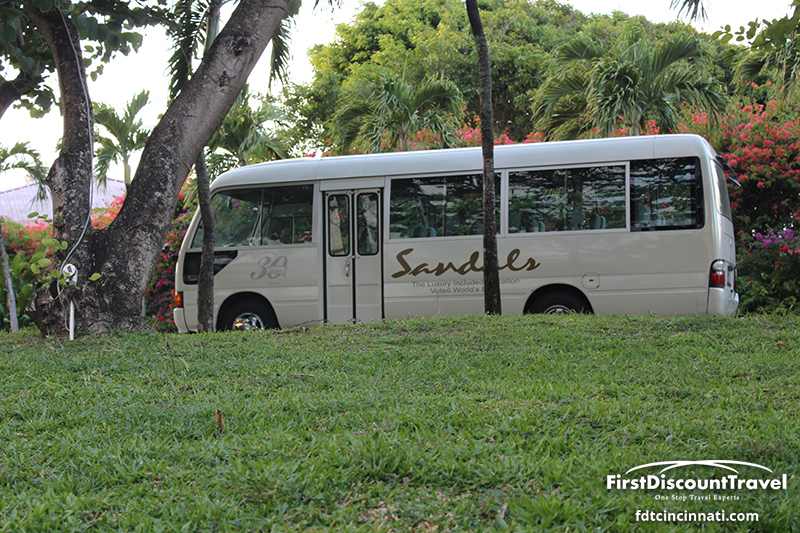 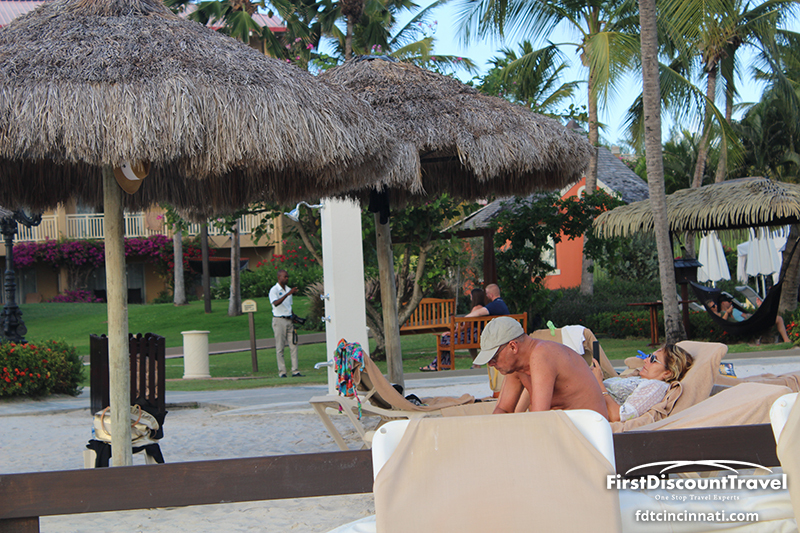 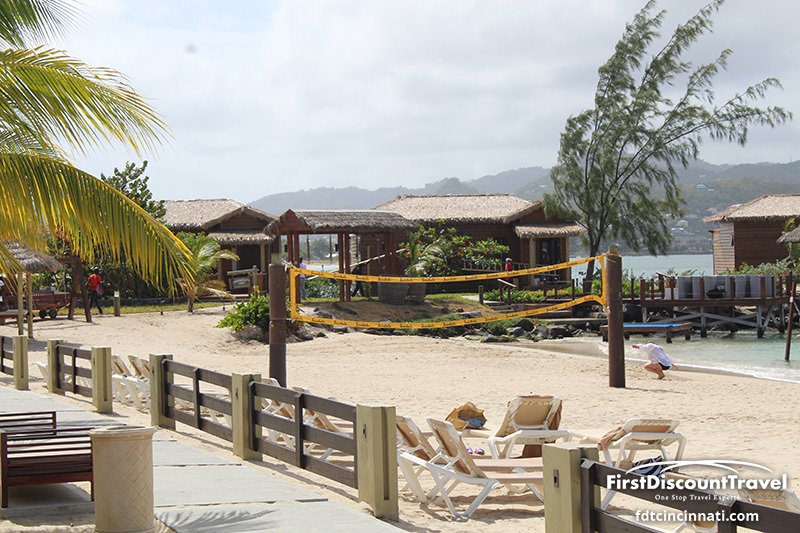 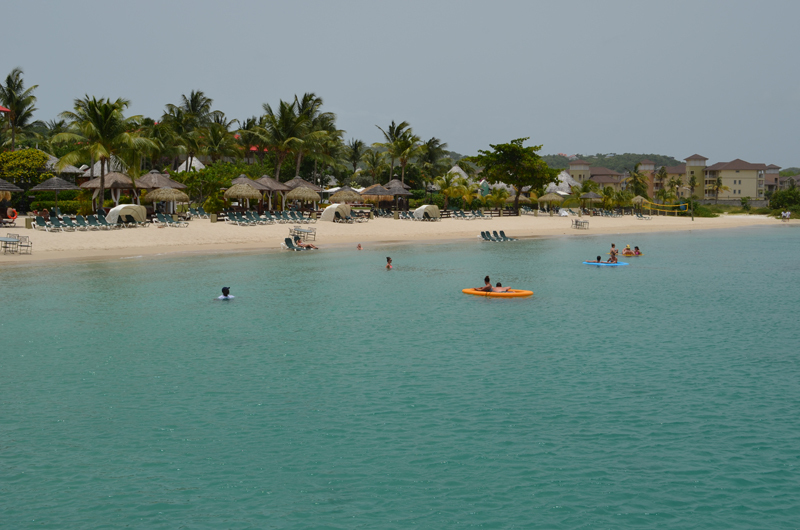 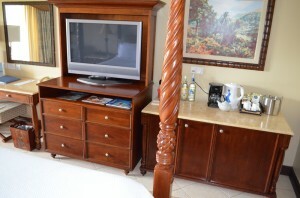 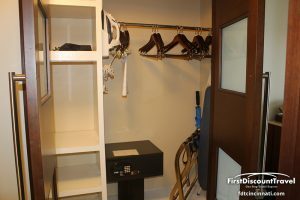 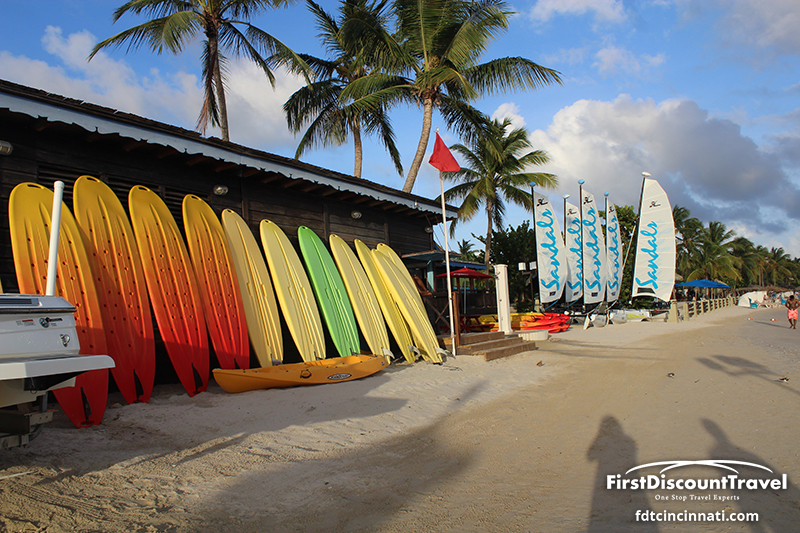 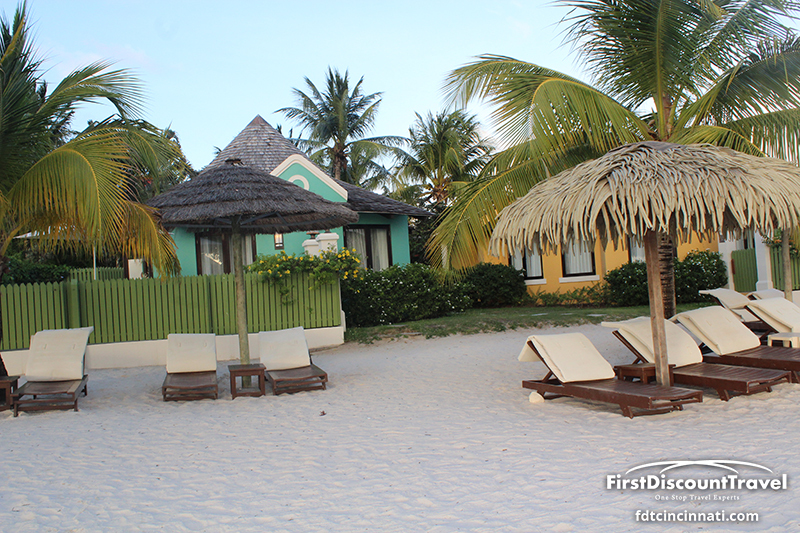 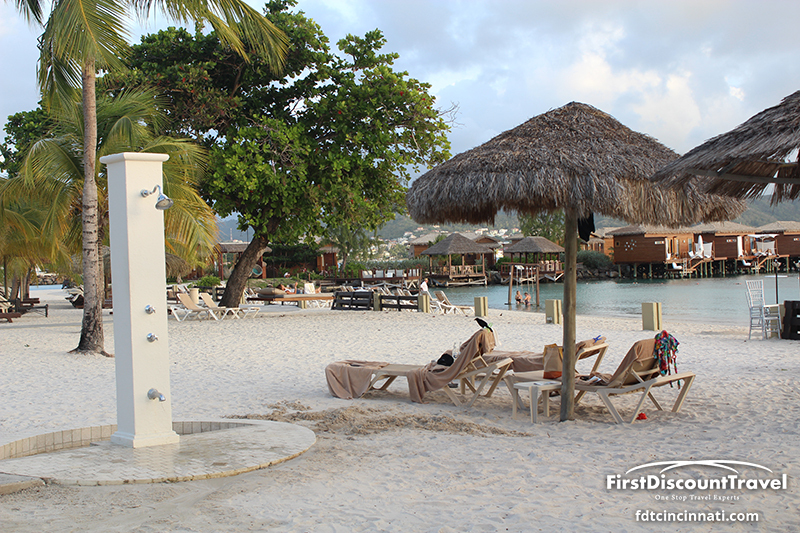 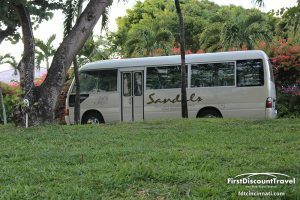 A complimentary shuttle provides transportation to the other two Sandals with full exchange privileges. 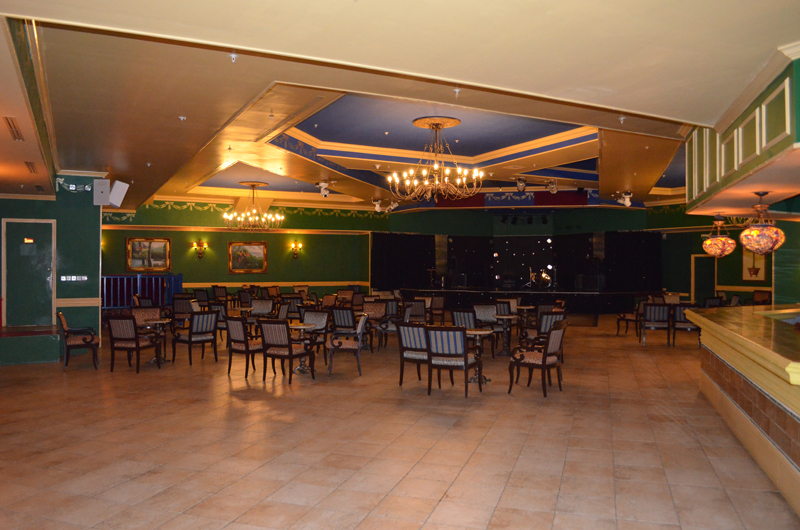 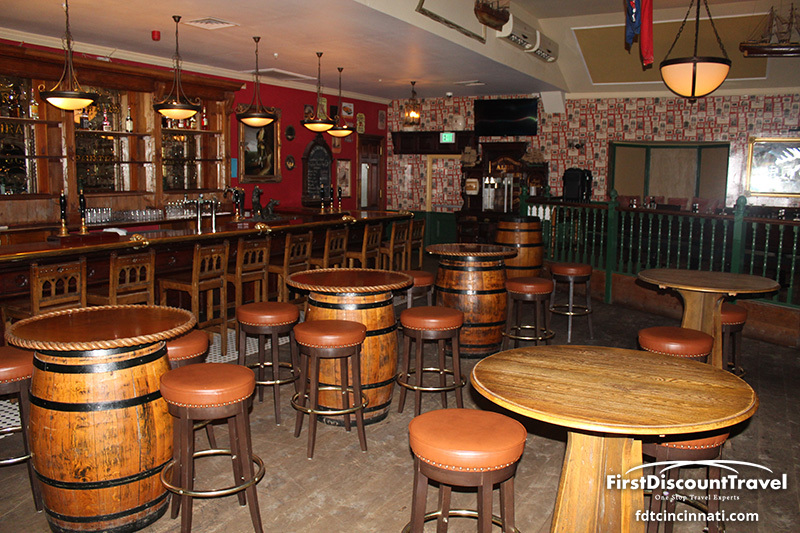 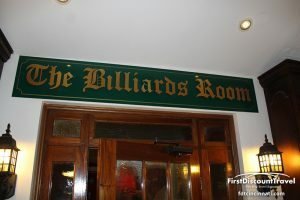 The atmosphere is social, high energy, and fun! 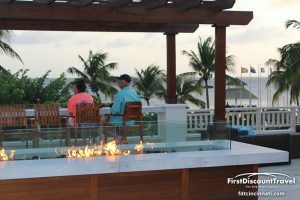 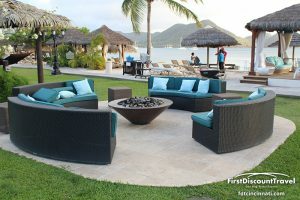 I love the fire pits, especially the over the water one. 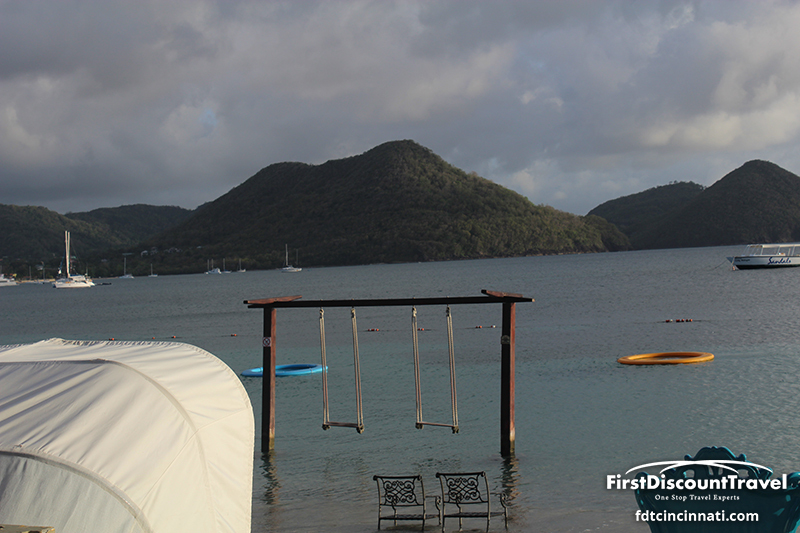 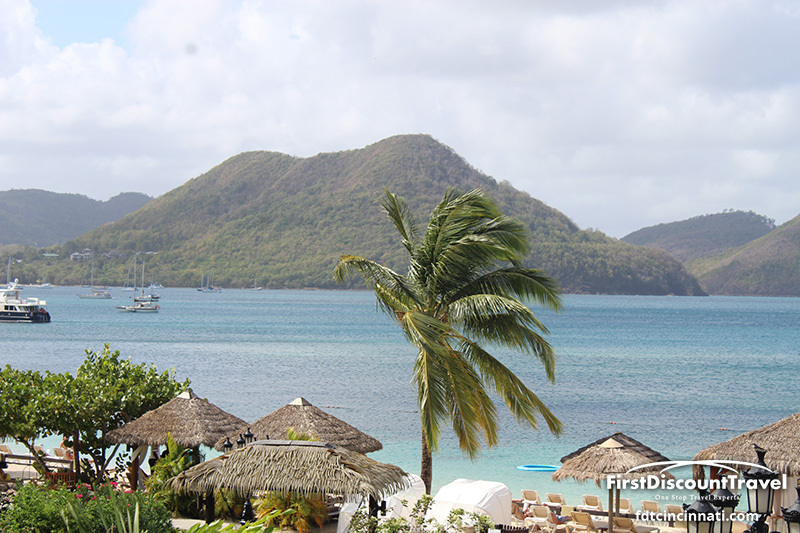 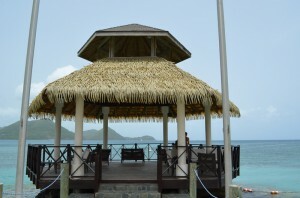 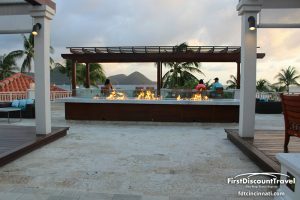 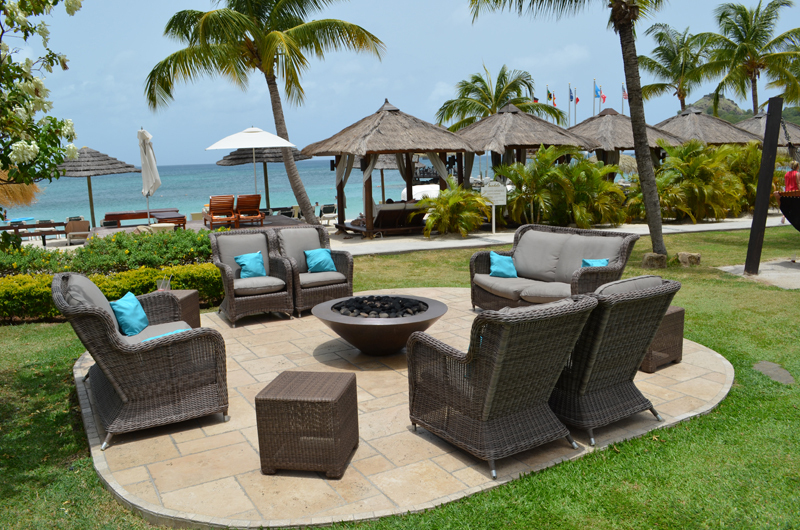 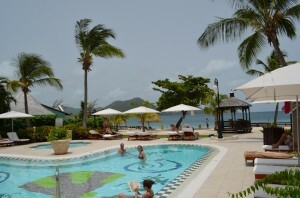 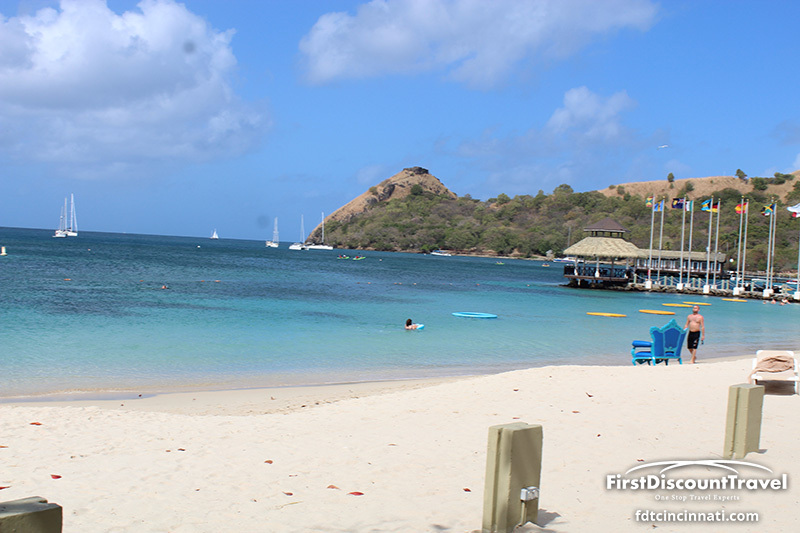 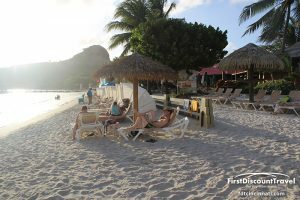 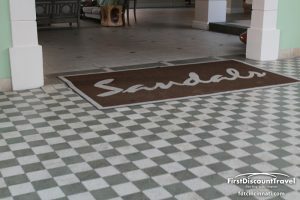 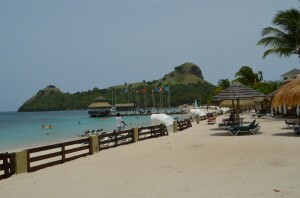 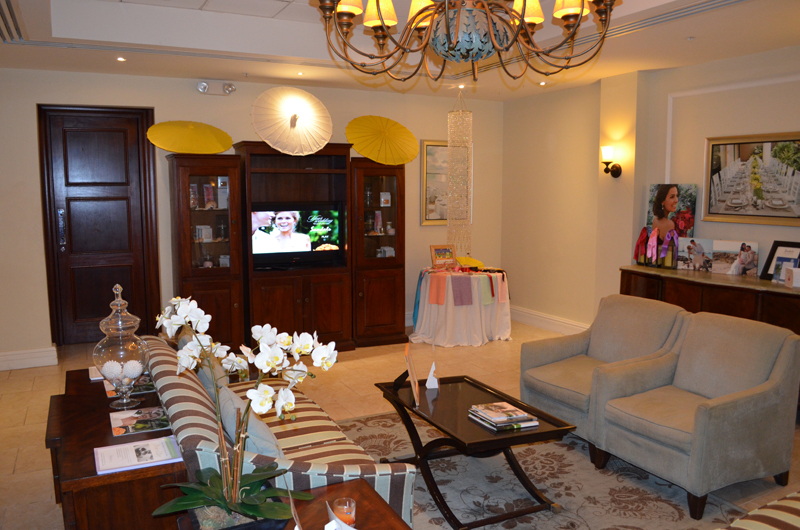 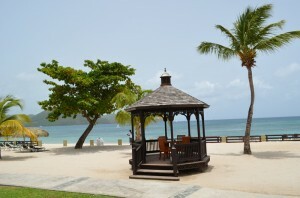 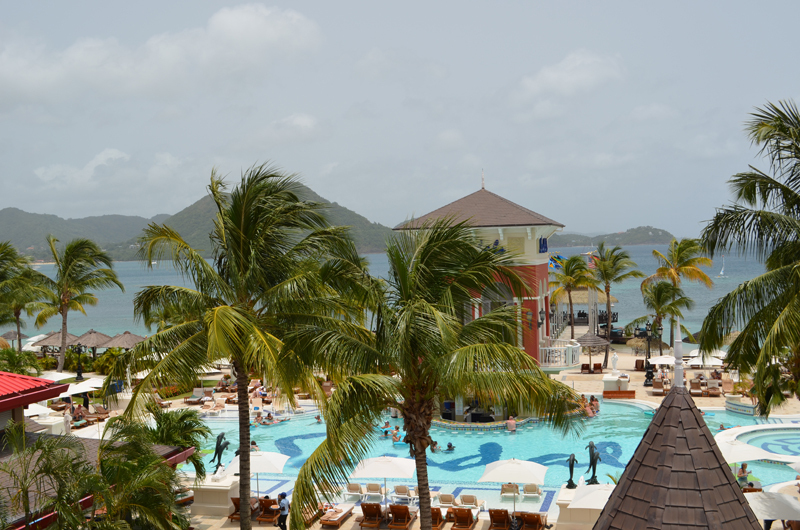 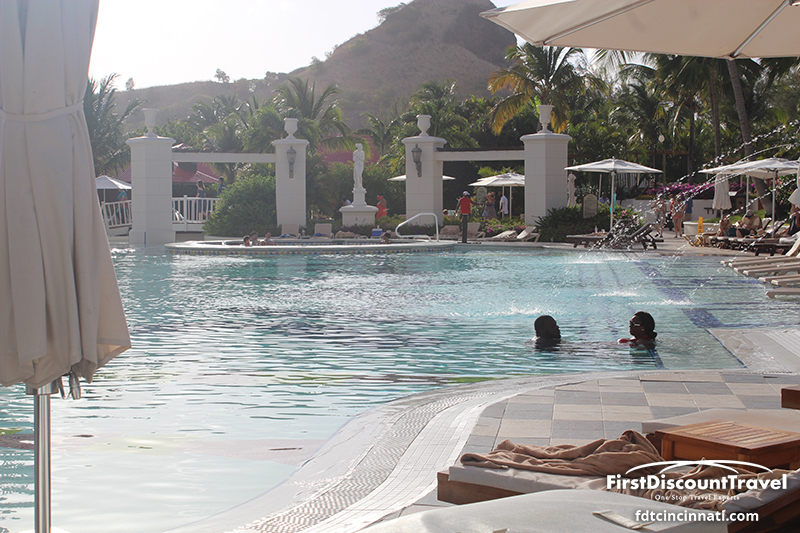 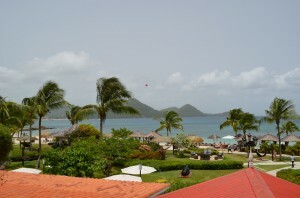 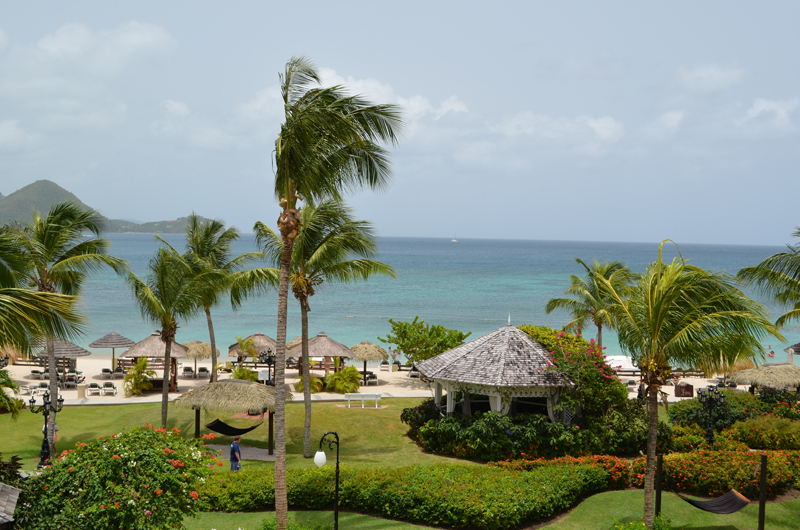 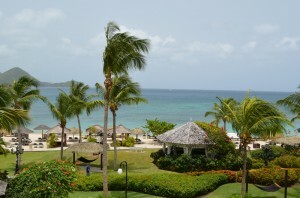 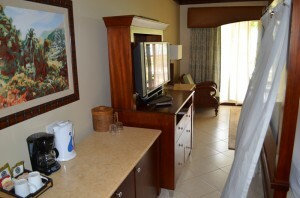 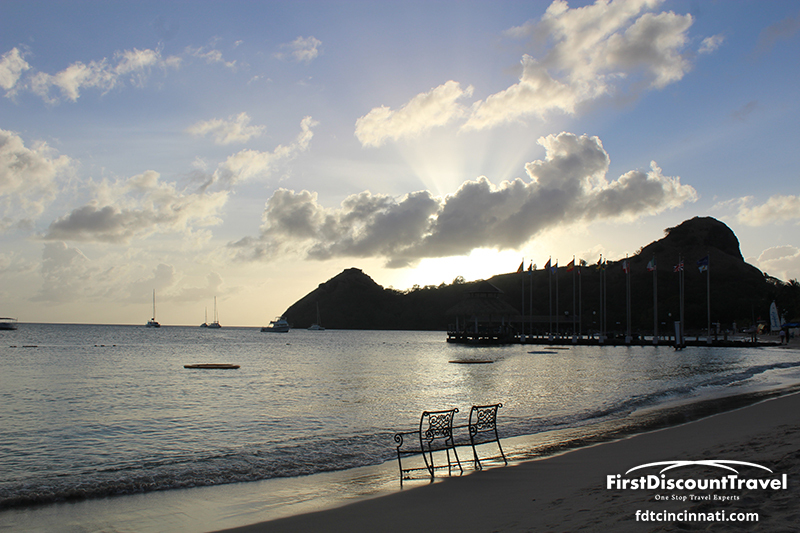 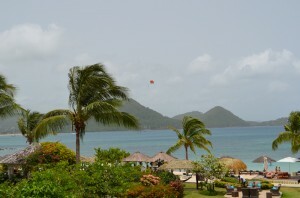 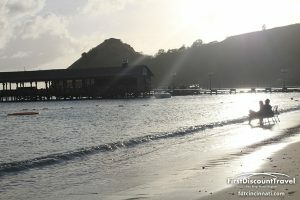 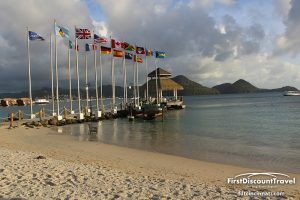 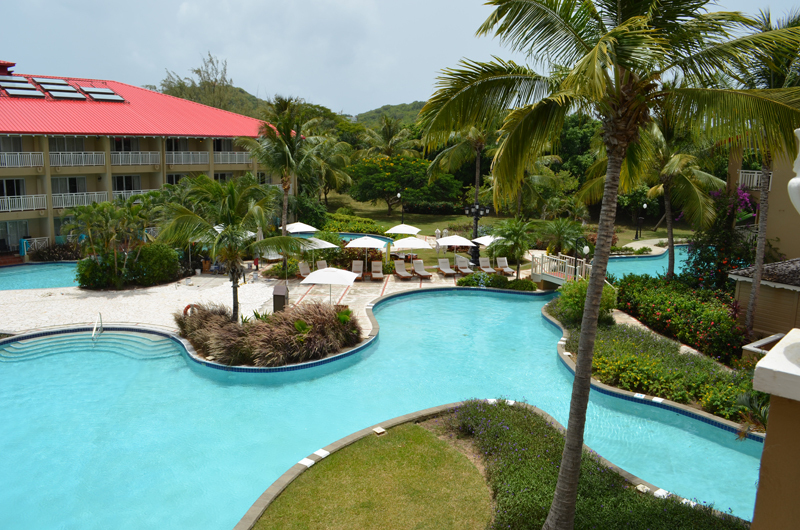 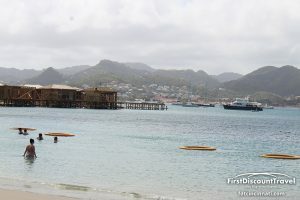 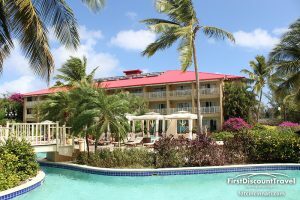 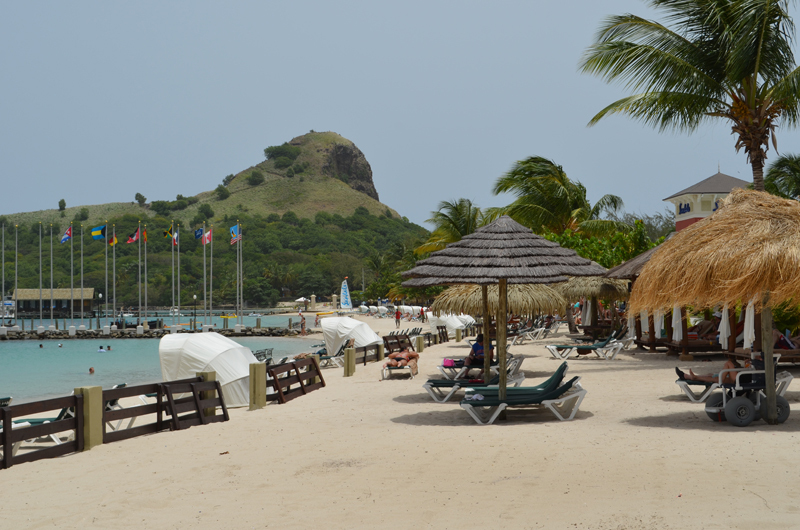 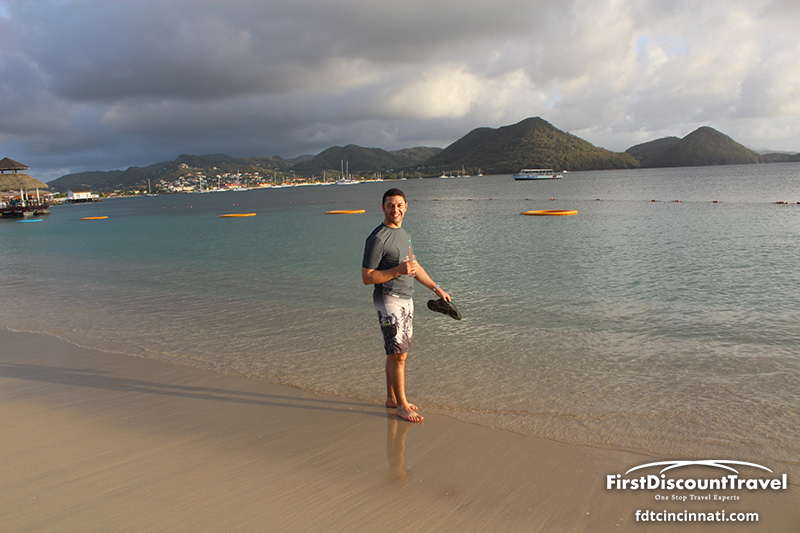 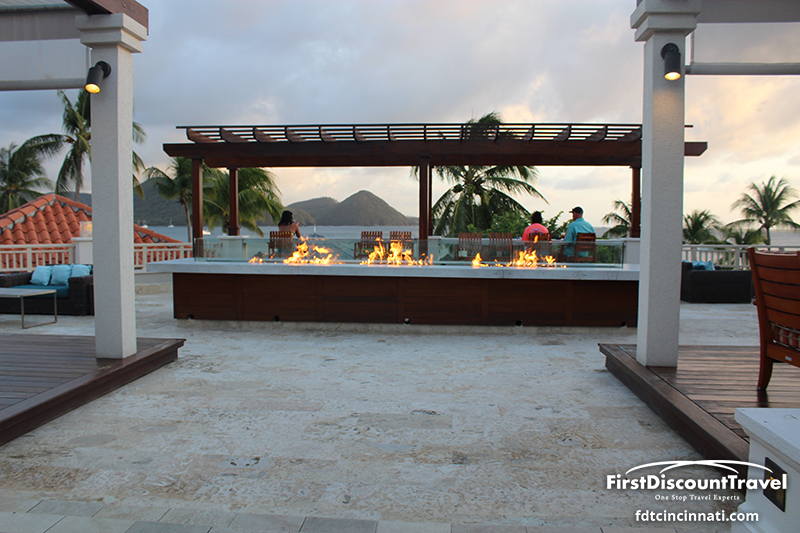 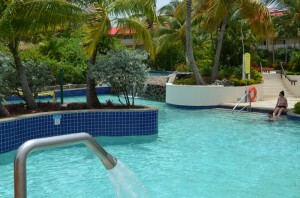 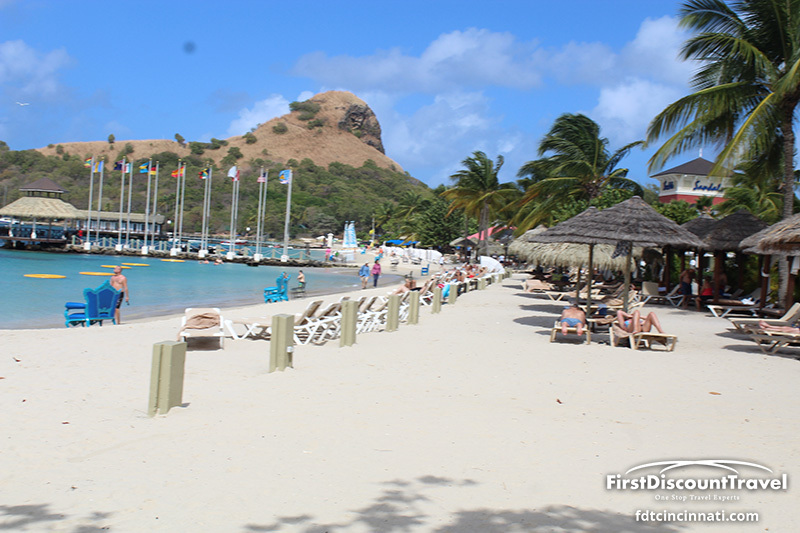 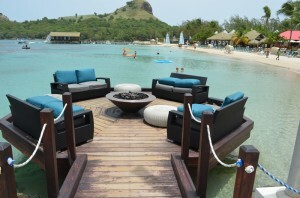 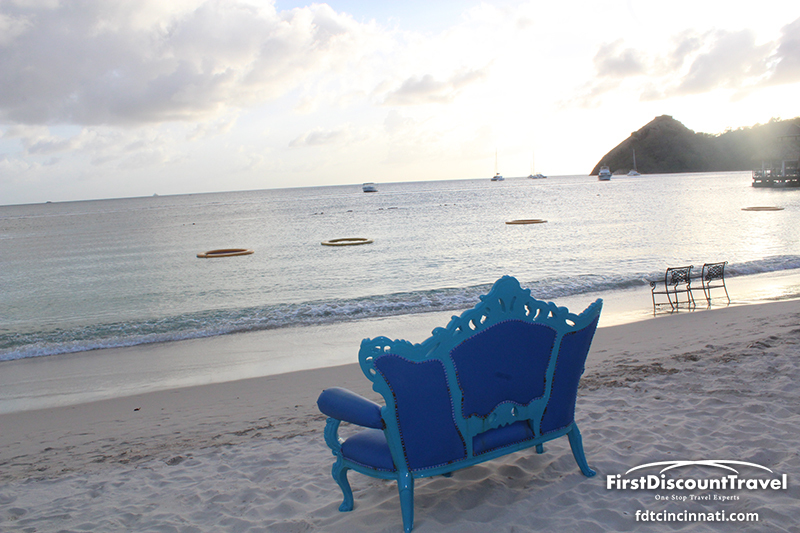 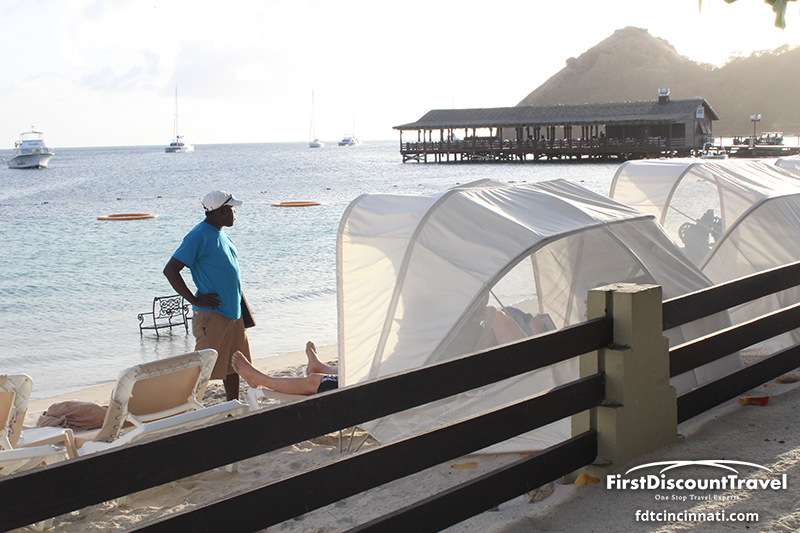 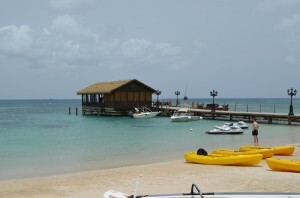 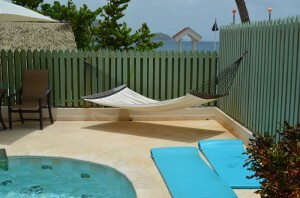 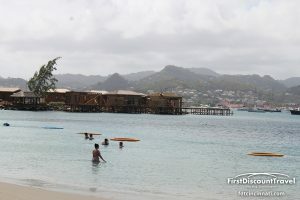 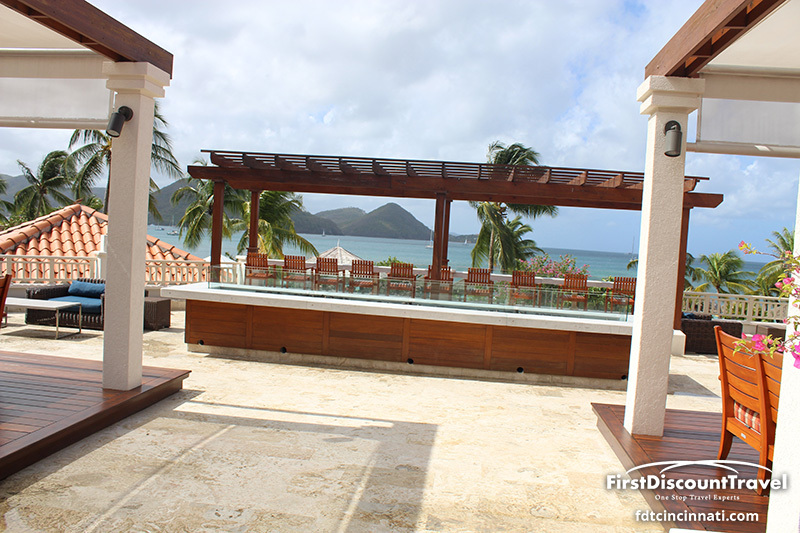 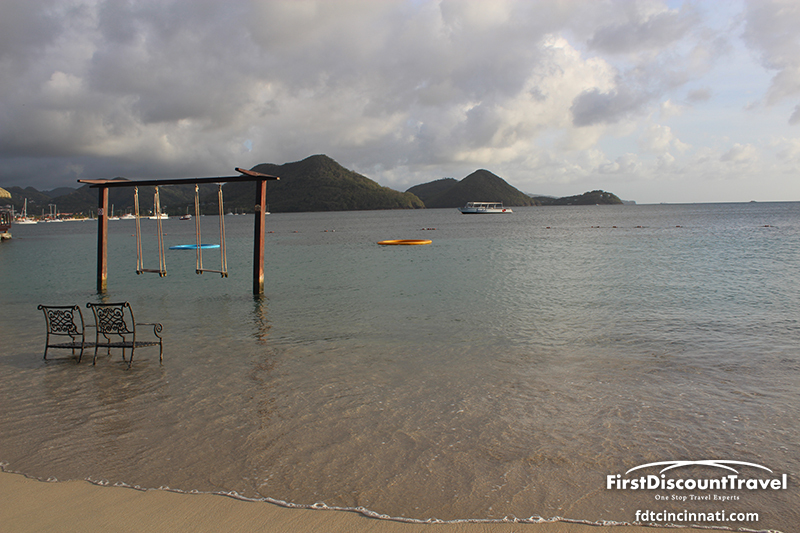 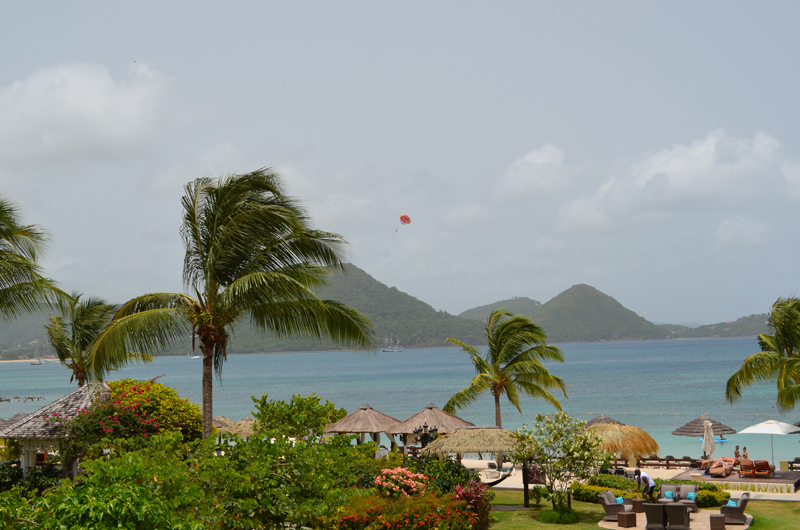 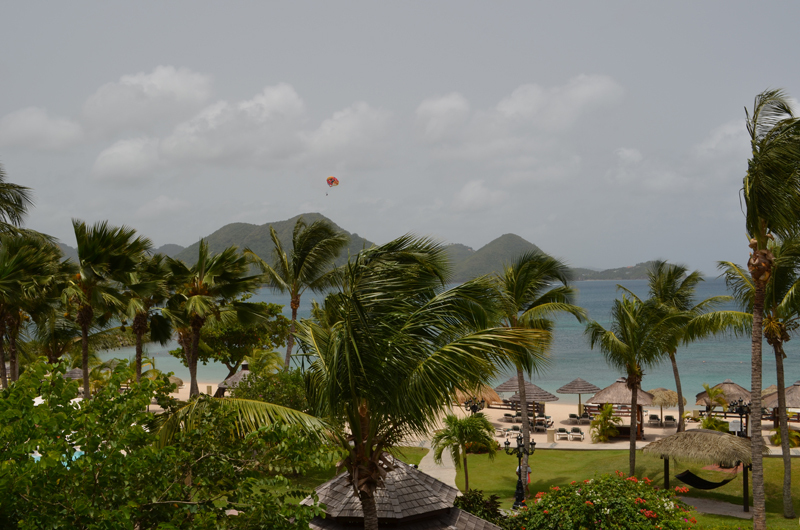 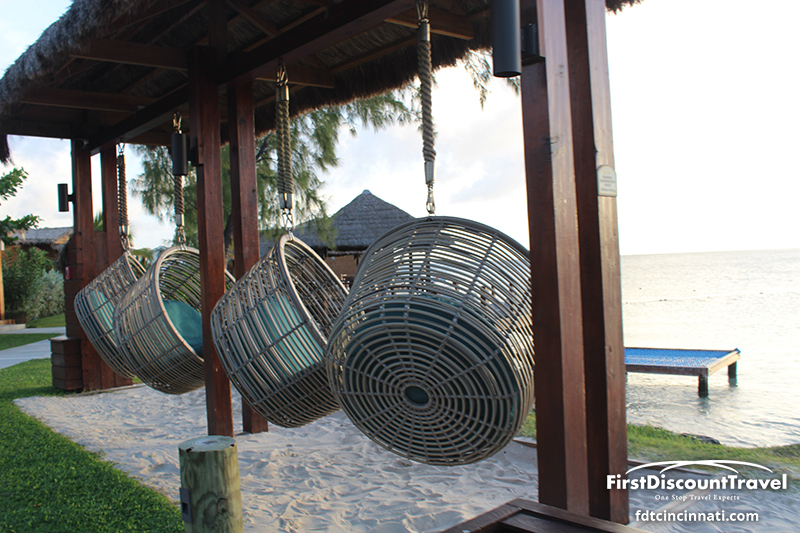 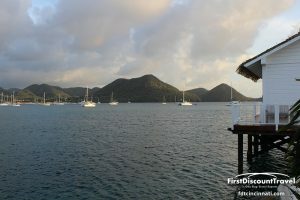 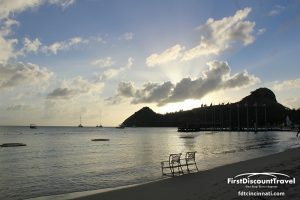 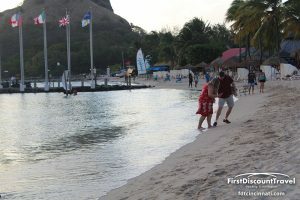 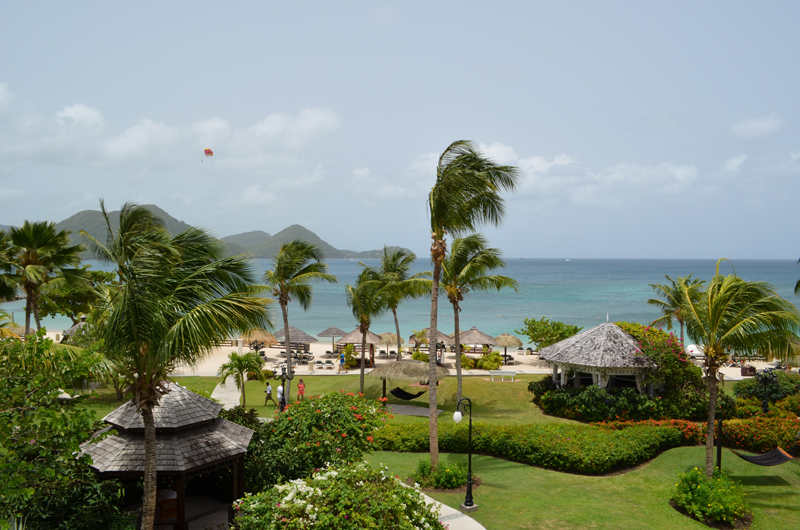 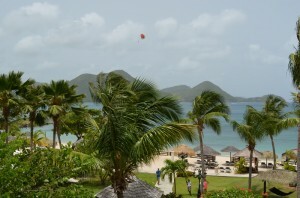 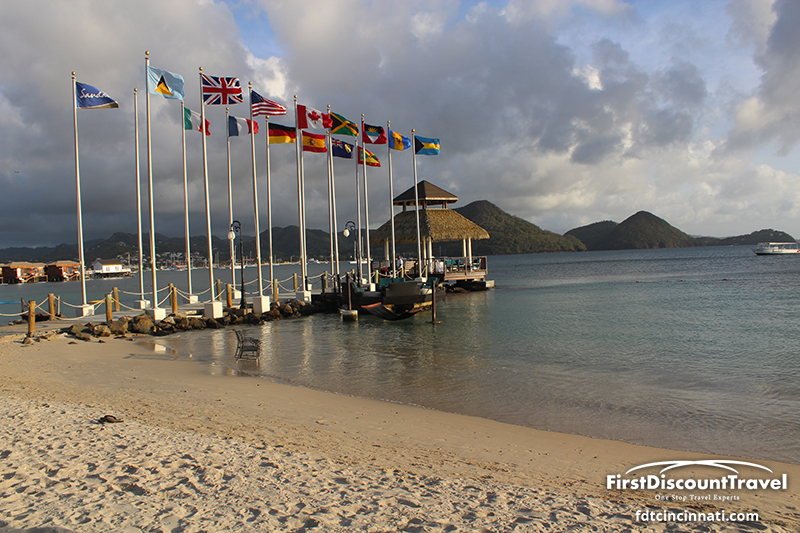 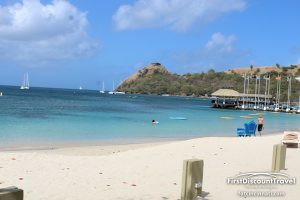 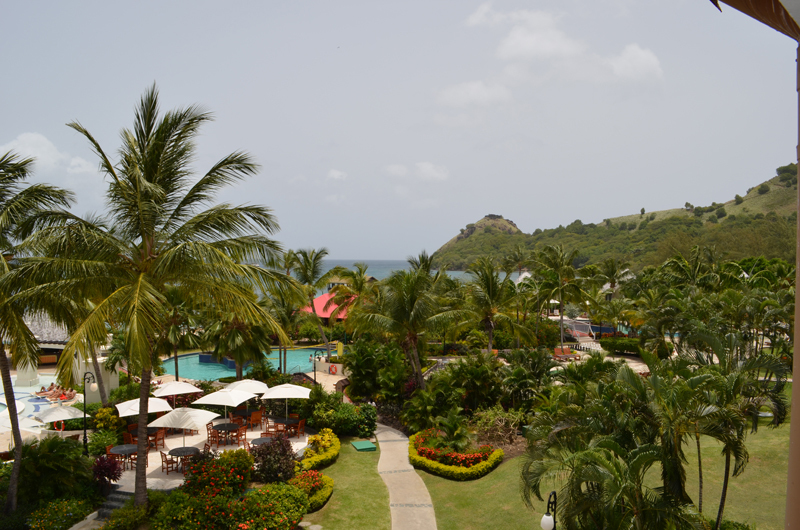 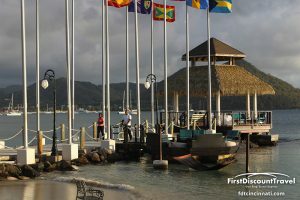 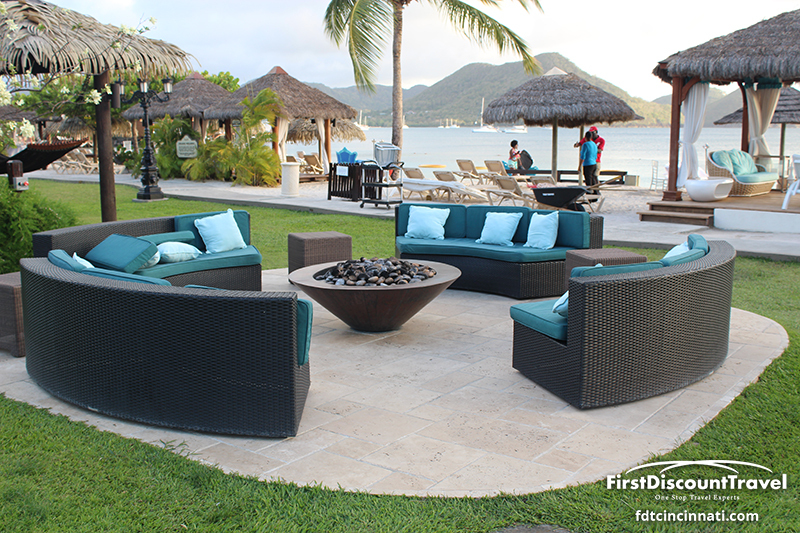 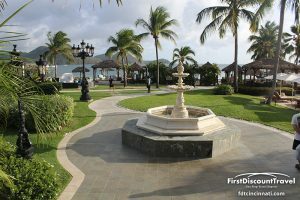 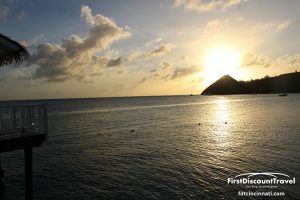 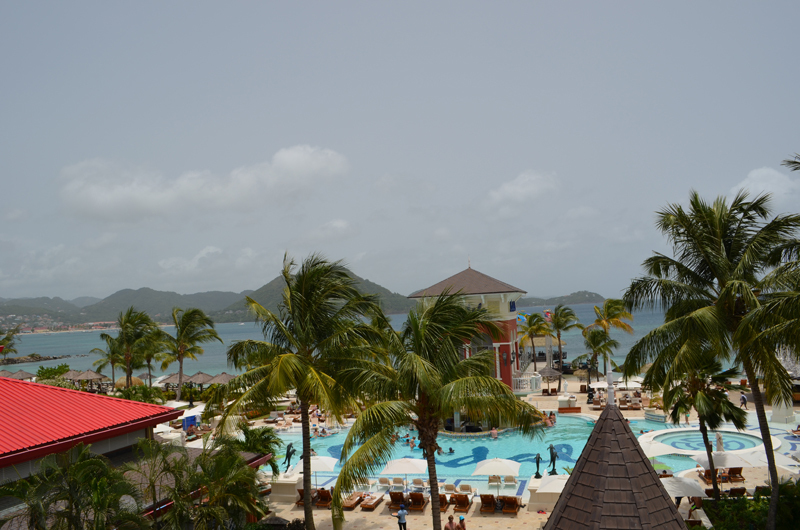 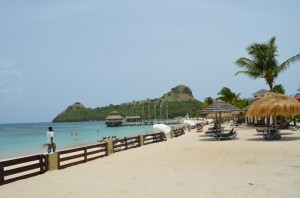 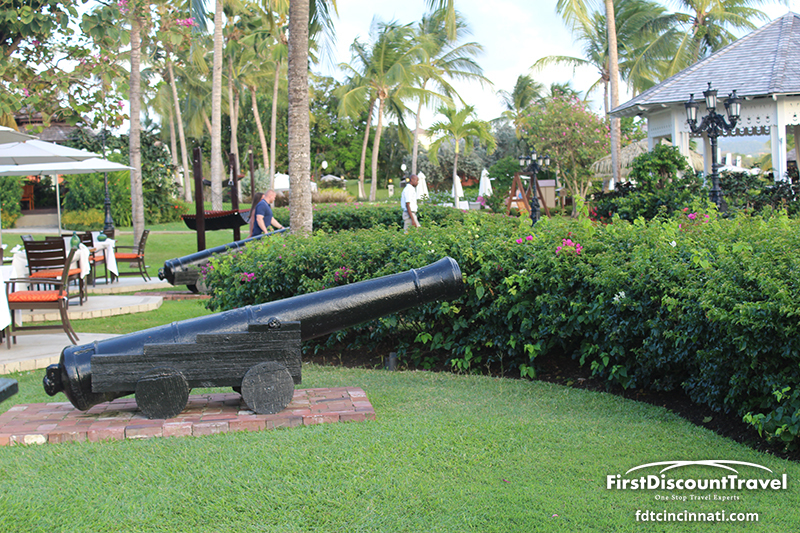 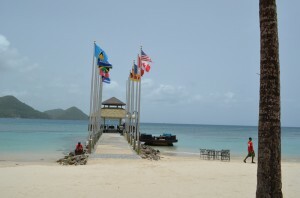 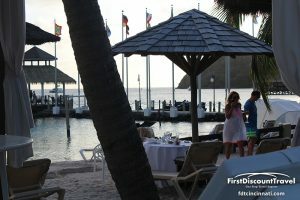 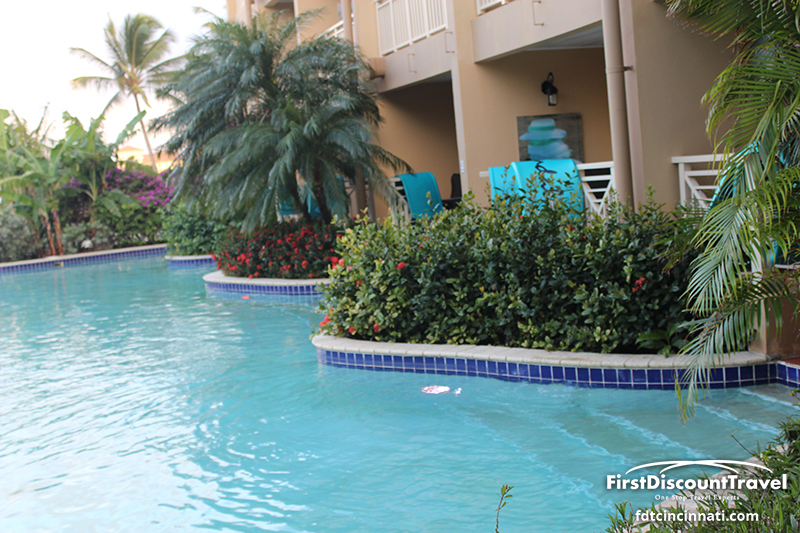 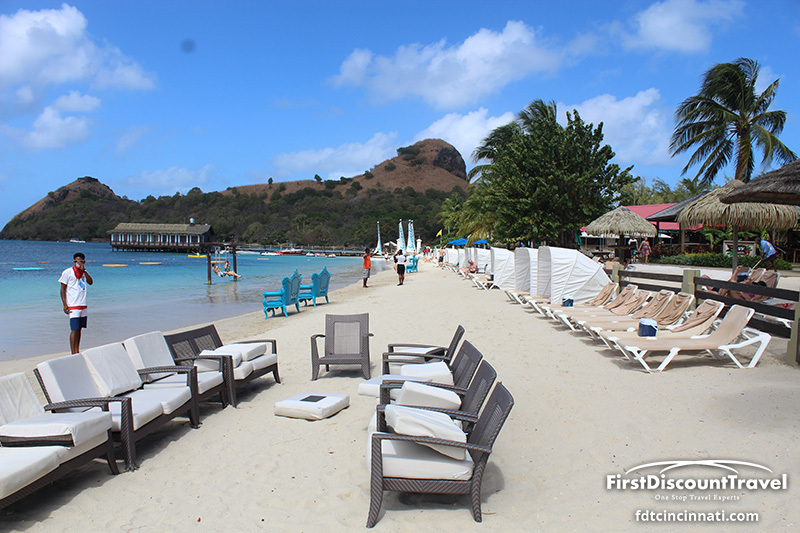 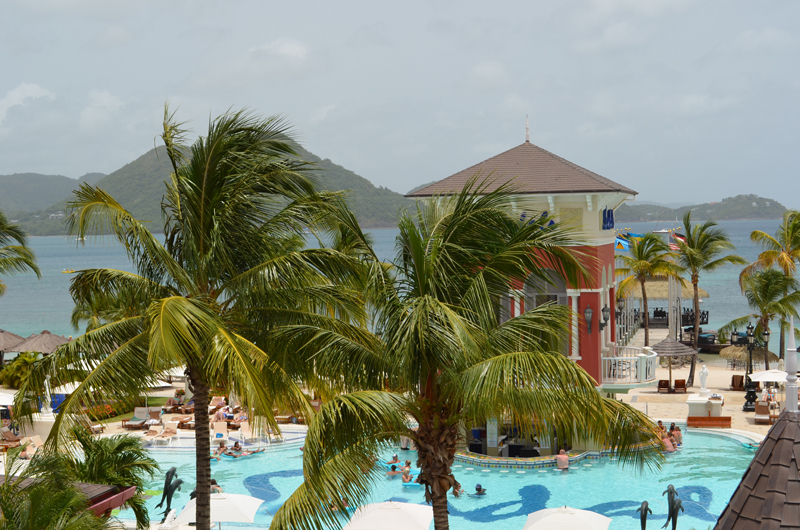 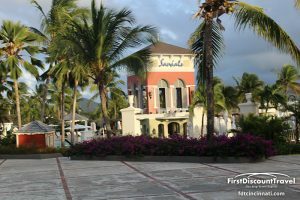 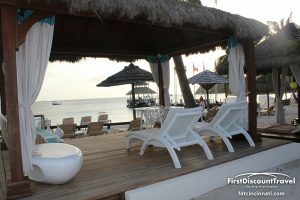 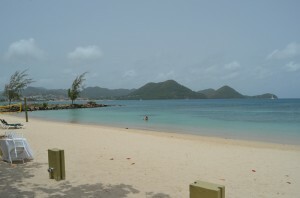 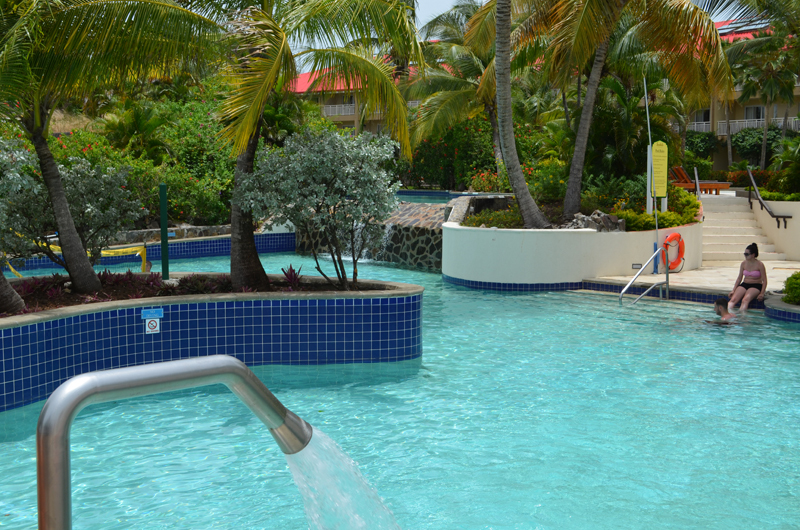 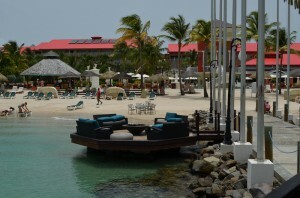 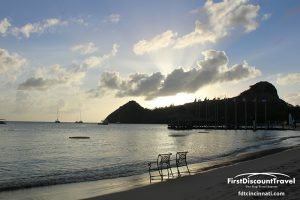 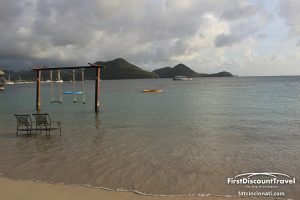 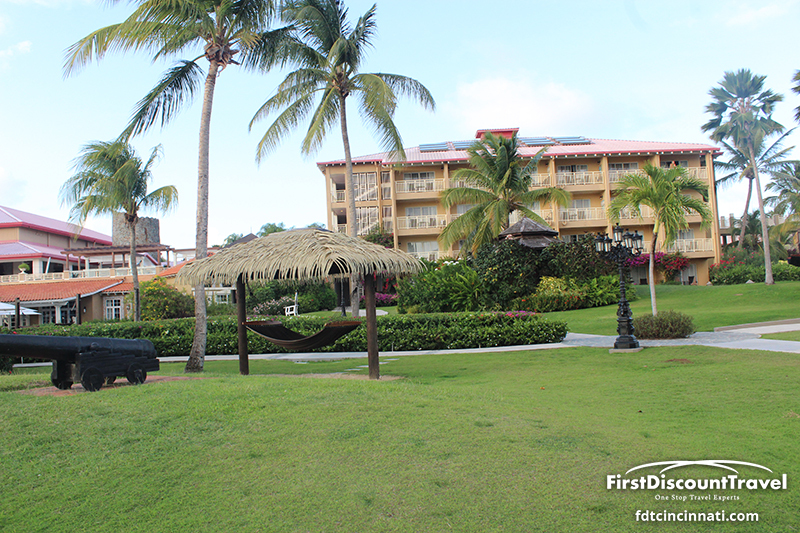 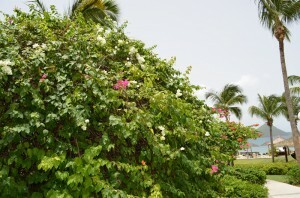 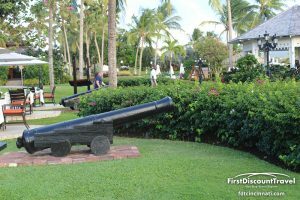 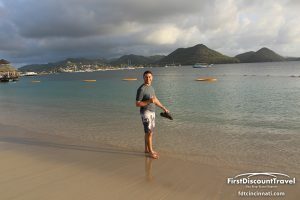 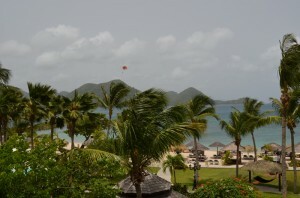 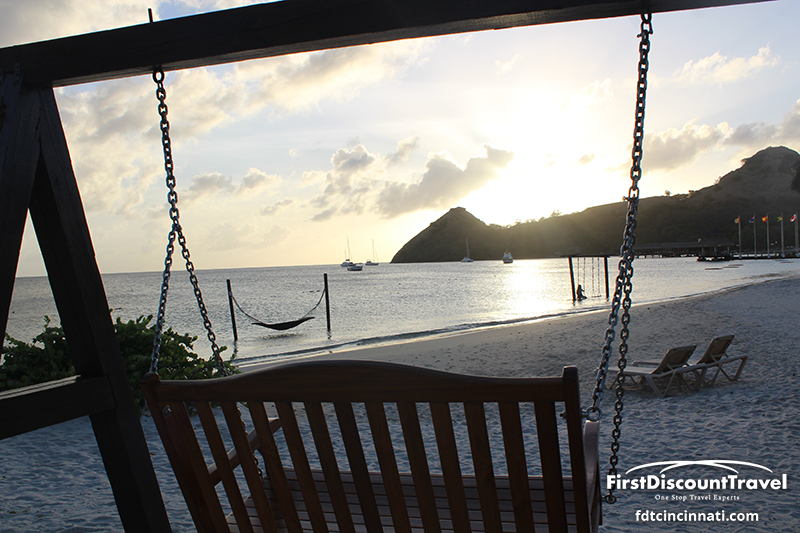 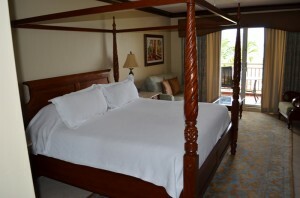 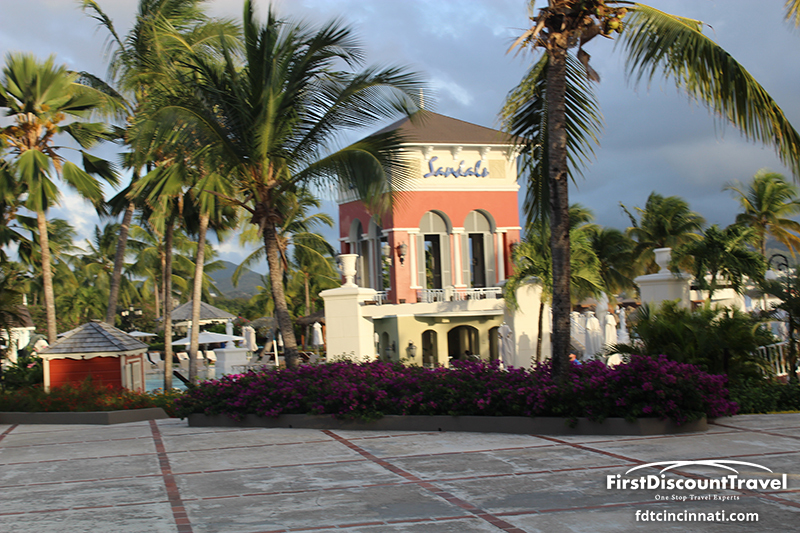 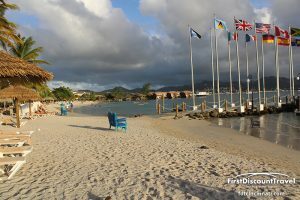 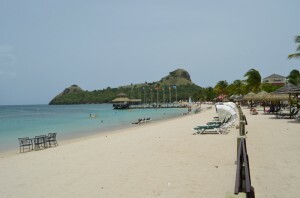 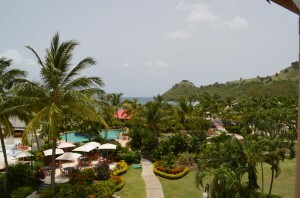 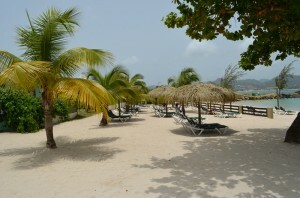 Sandals Grande St Lucian is my favorite resort in St Lucia! 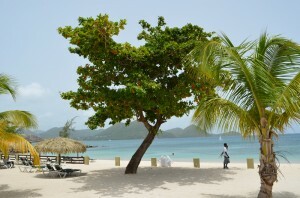 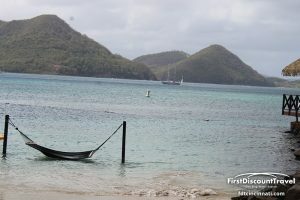 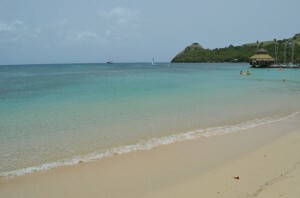 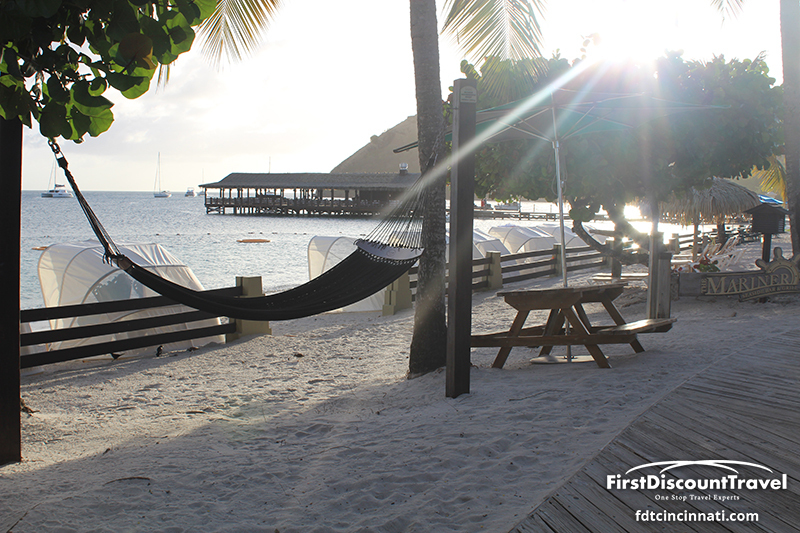 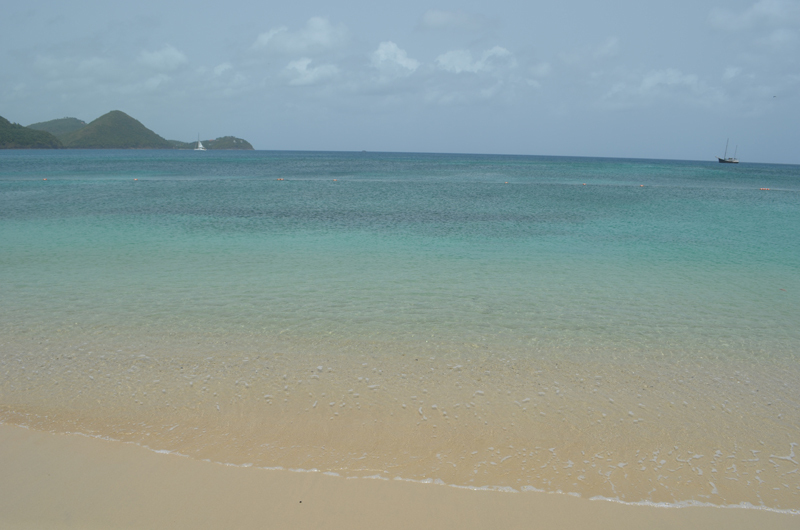 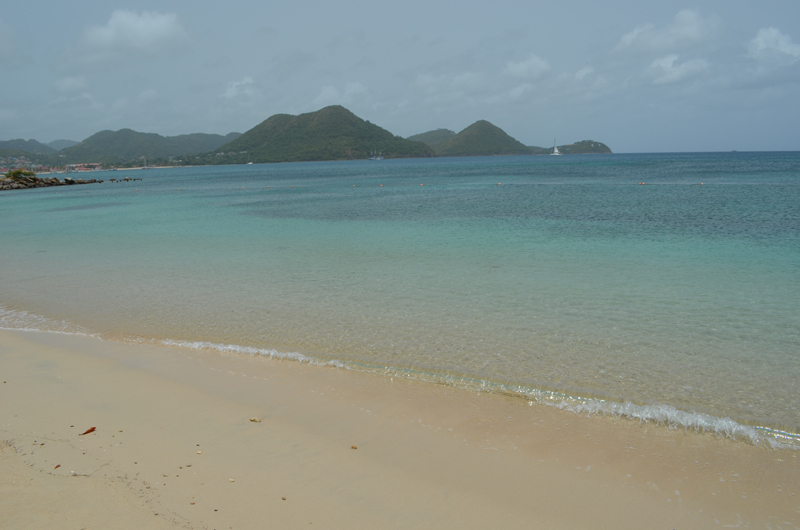 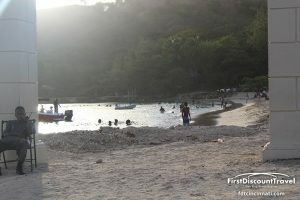 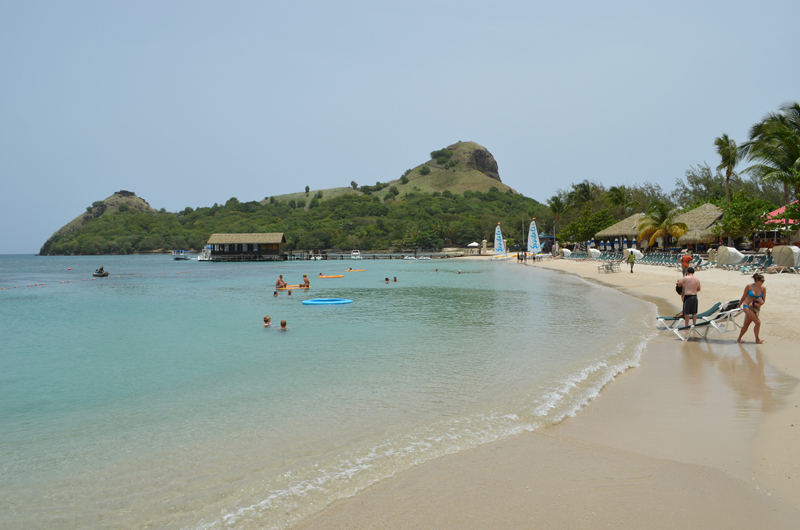 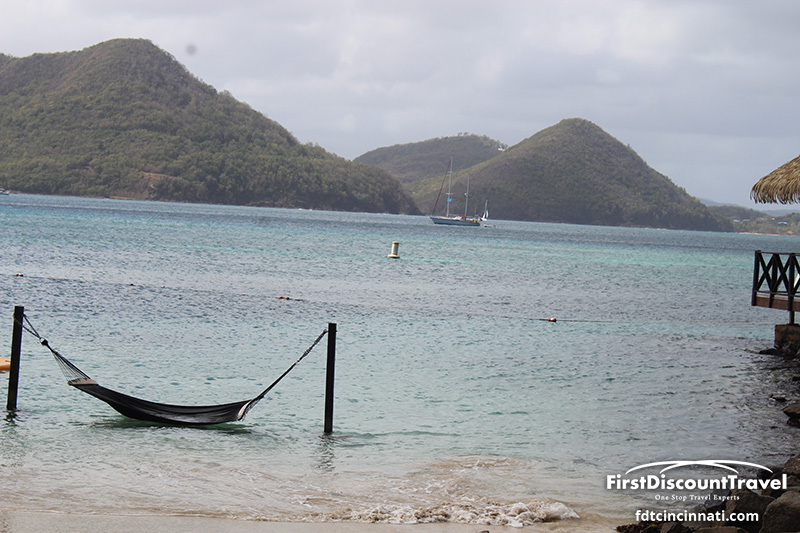 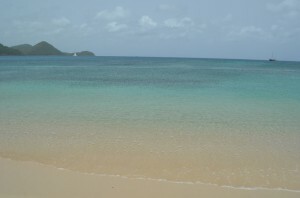 I’m a total beach snob and Sandals Grande St Lucian has an amazing one! 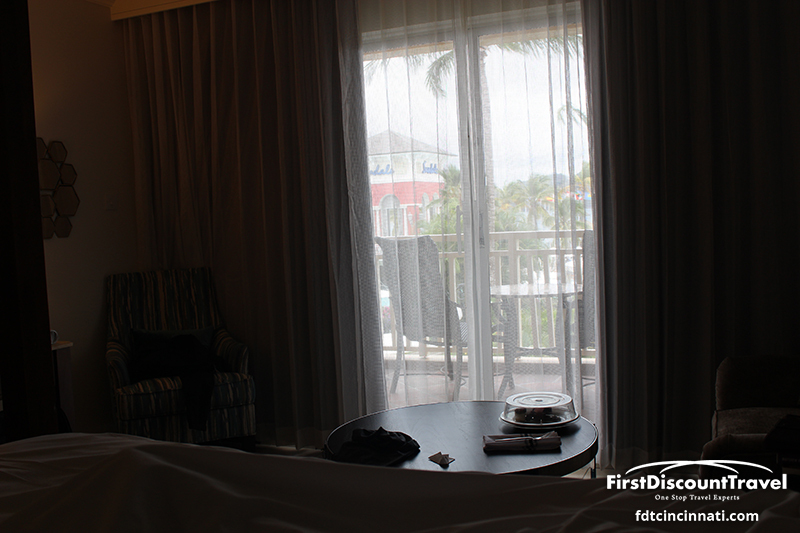 All of the rooms are nice and oversized and the views are to die for!